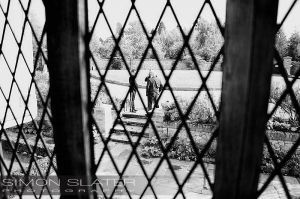 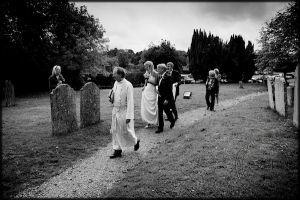 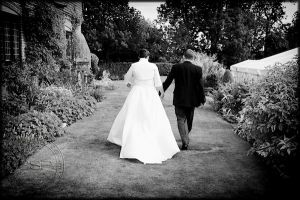 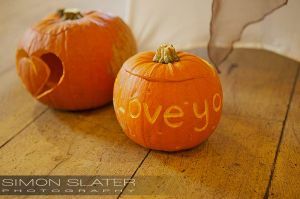 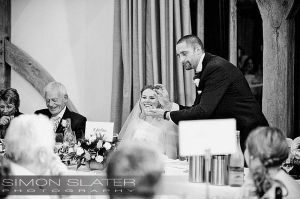 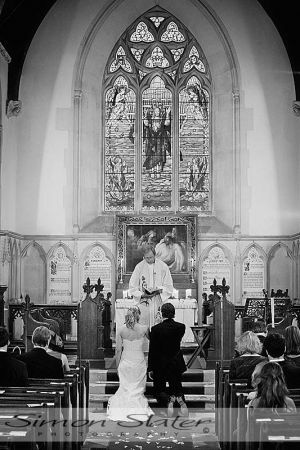 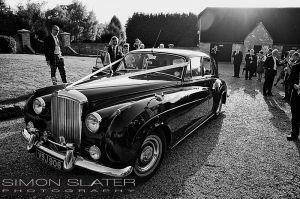 Towards the end of October I had he pleasure of photographing Sarah and Dan’s wedding at Cain Manor near Churt, Hampshire. 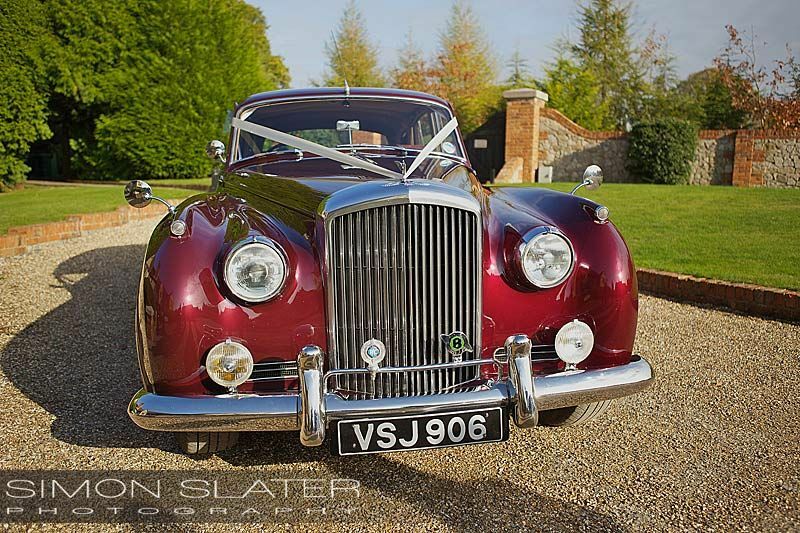 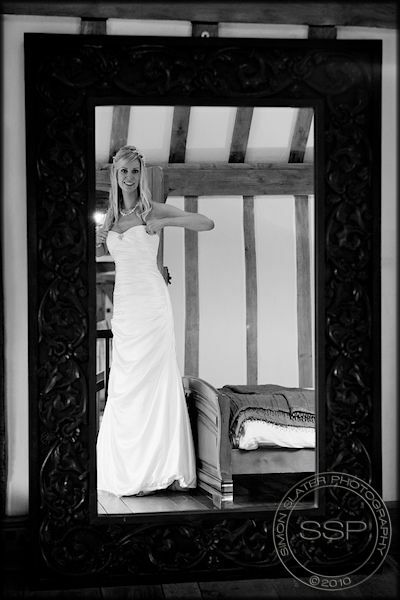 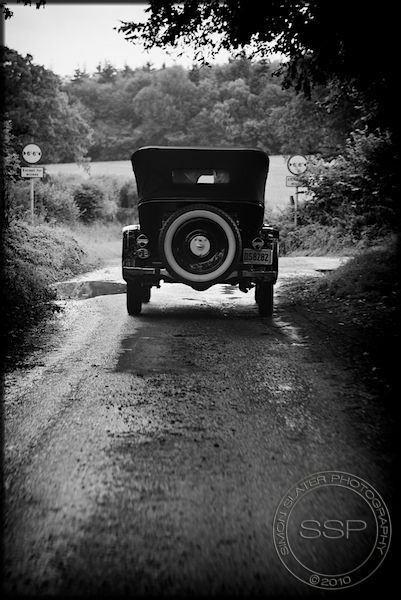 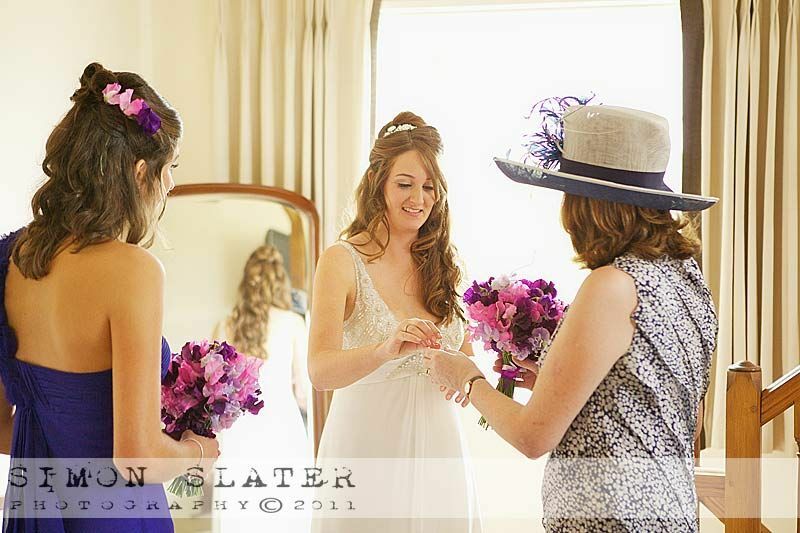 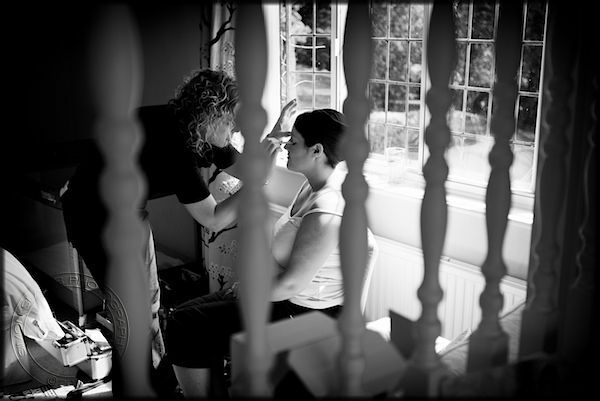 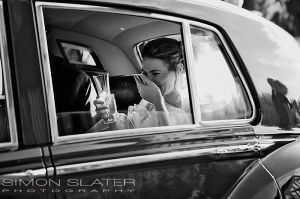 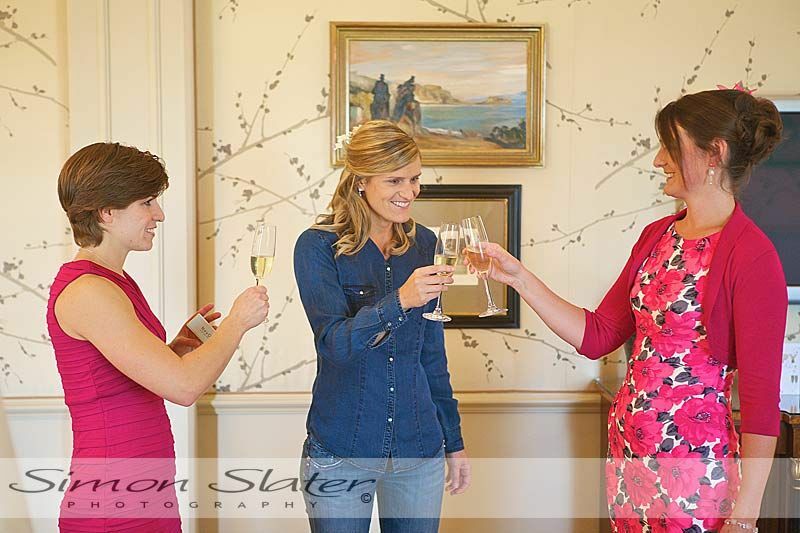 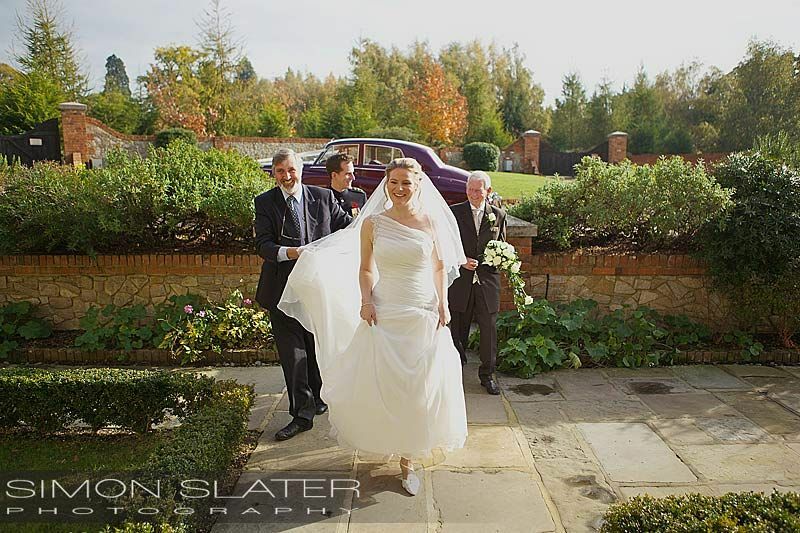 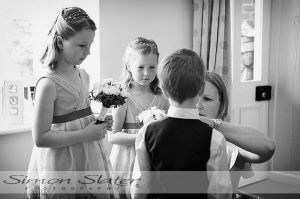 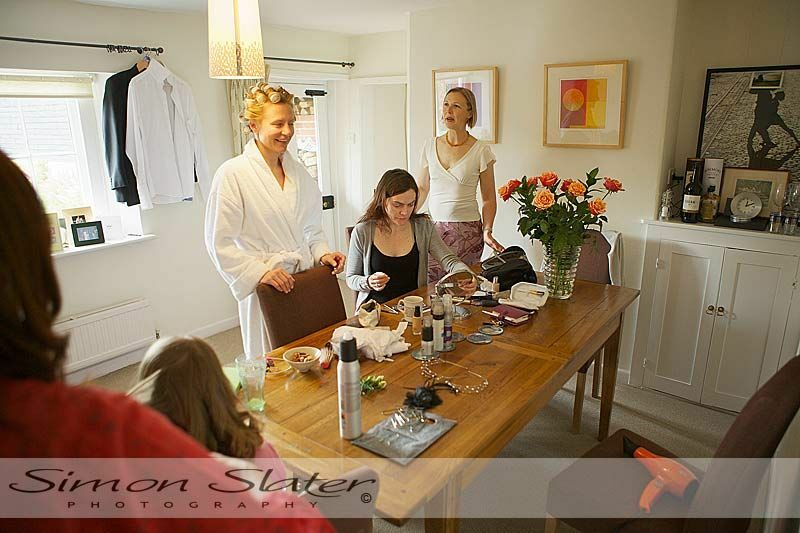 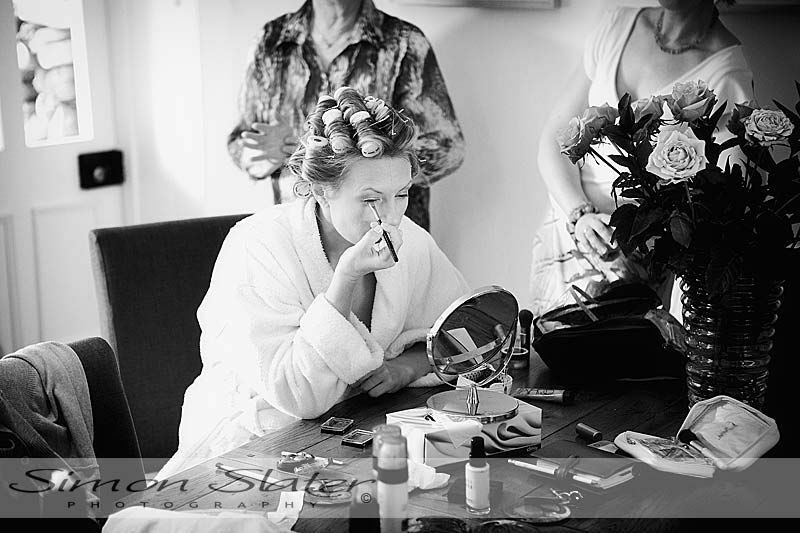 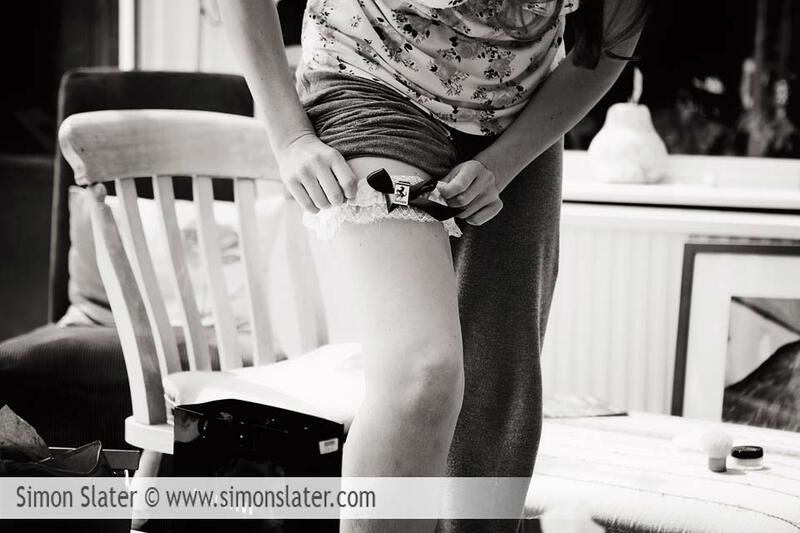 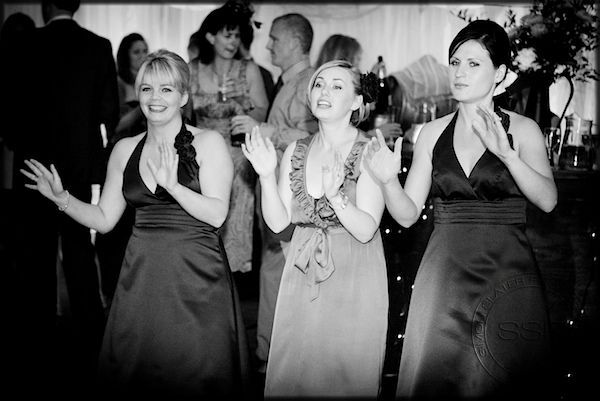 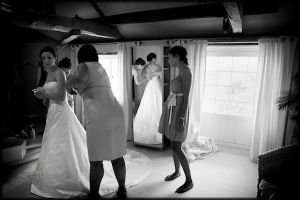 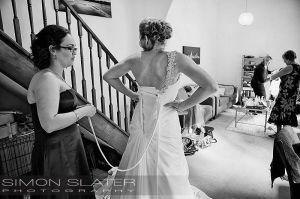 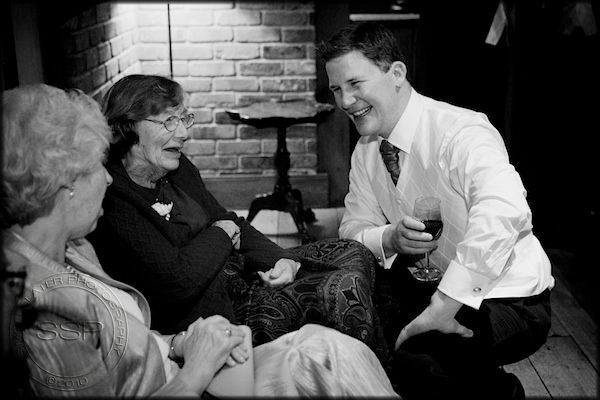 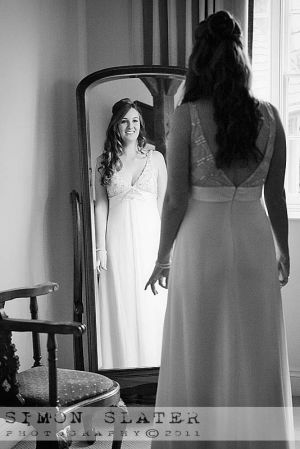 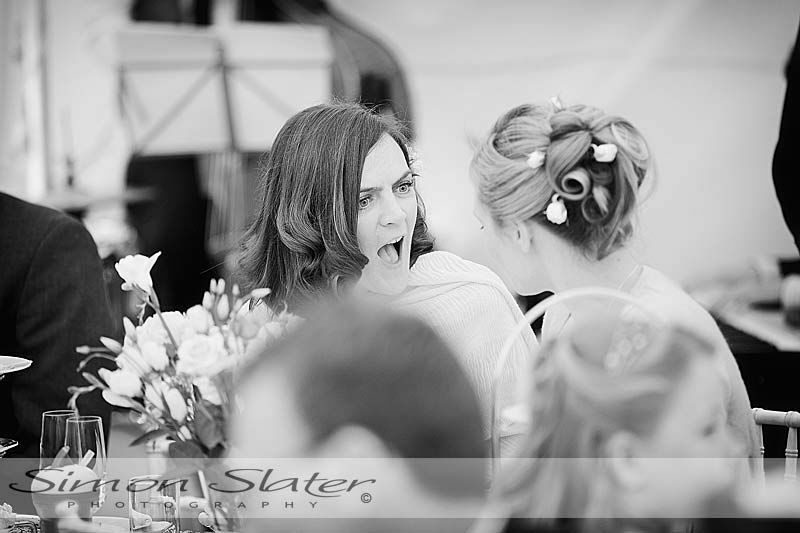 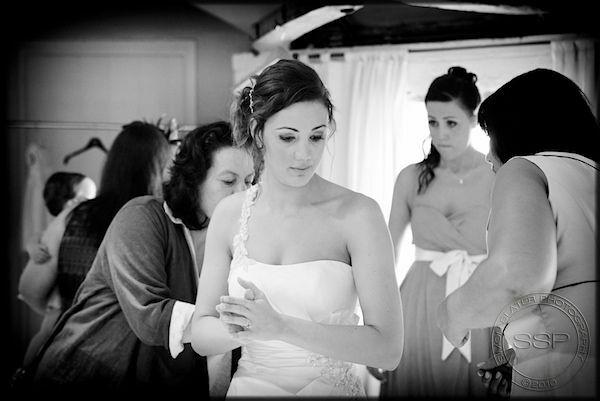 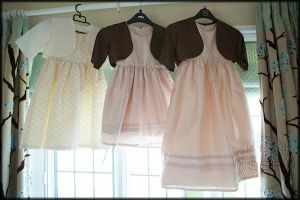 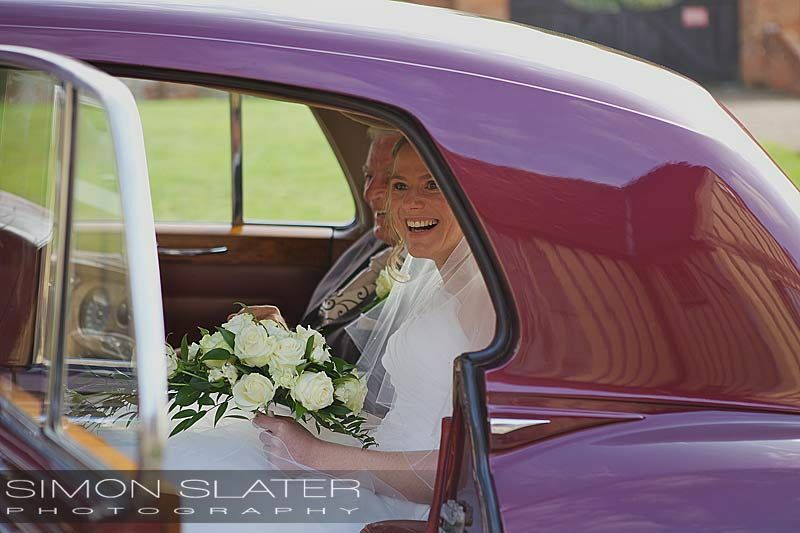 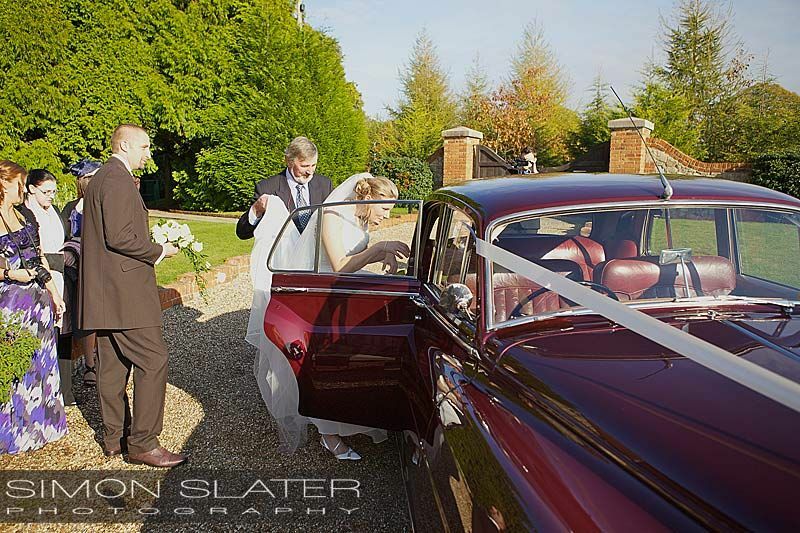 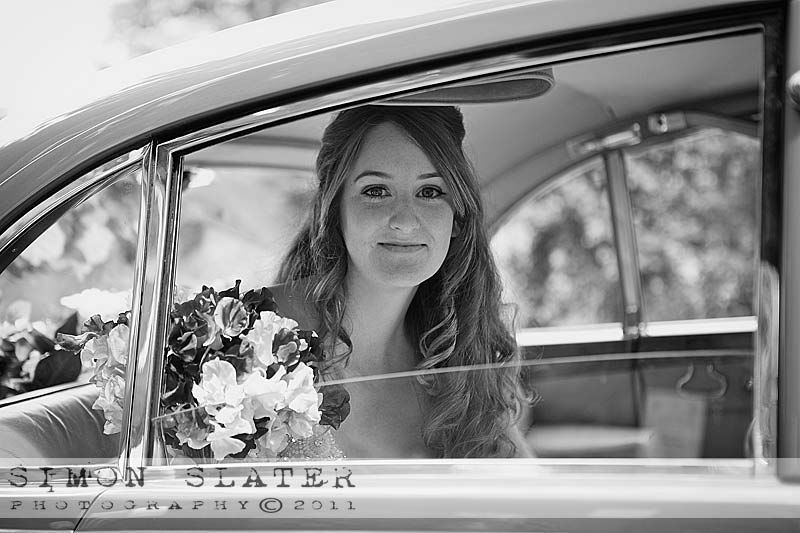 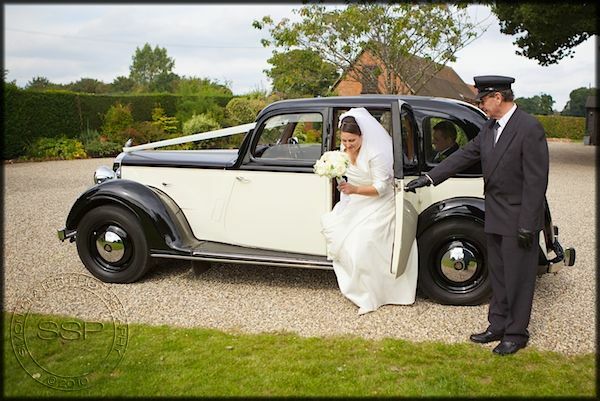 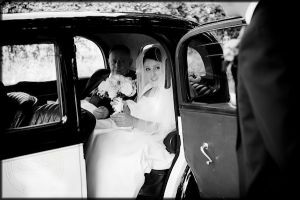 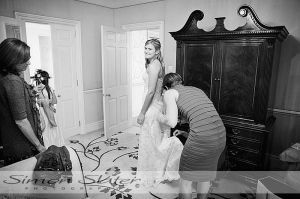 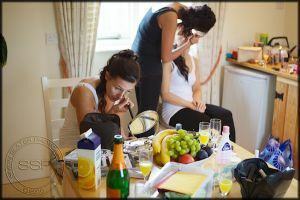 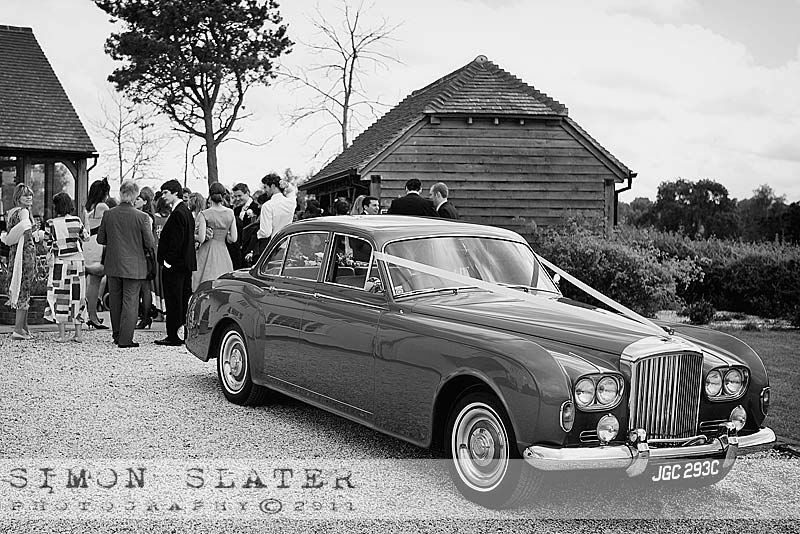 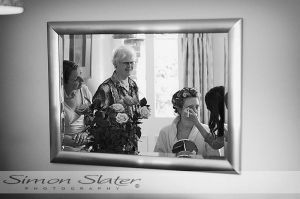 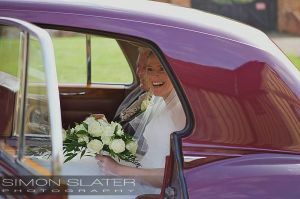 Sarah got ready at her home near Farnham with the help of her bridesmaids before being driven to Cain Manor in ‘Rebecca’, a classic burgundy Bentley S2 driven by David from The Classic & Vintage Car Company. 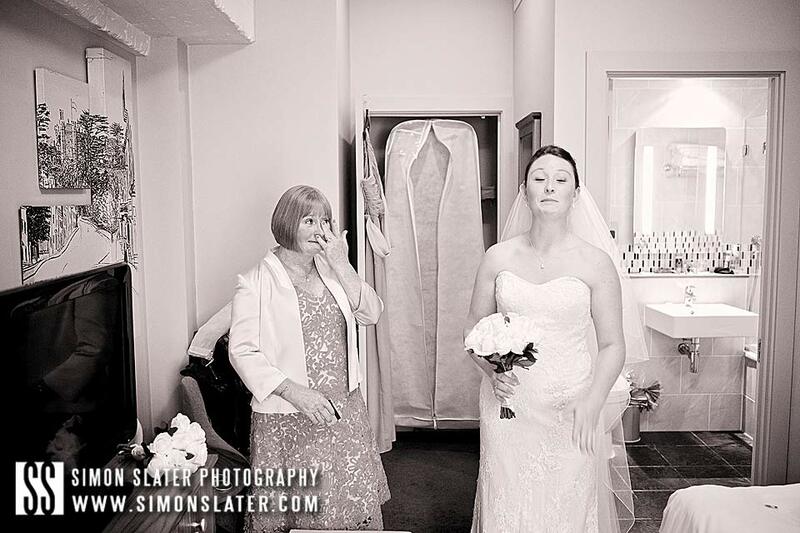 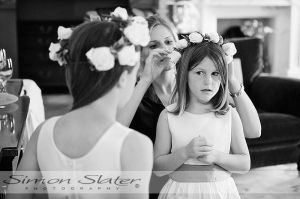 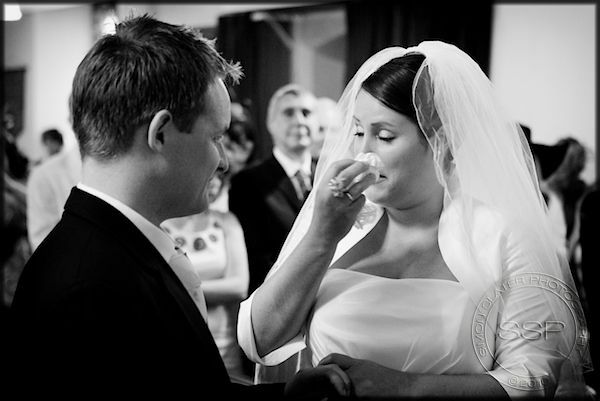 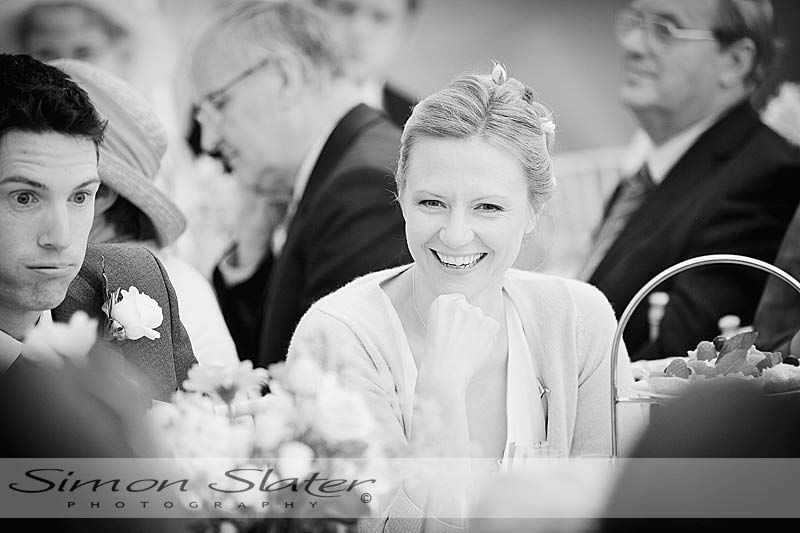 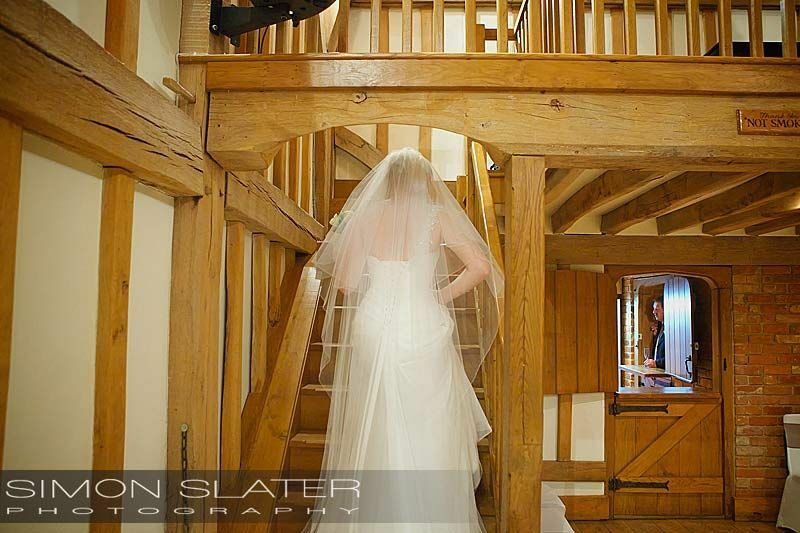 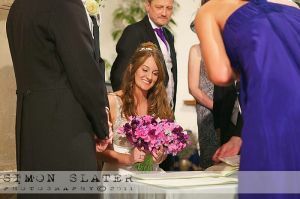 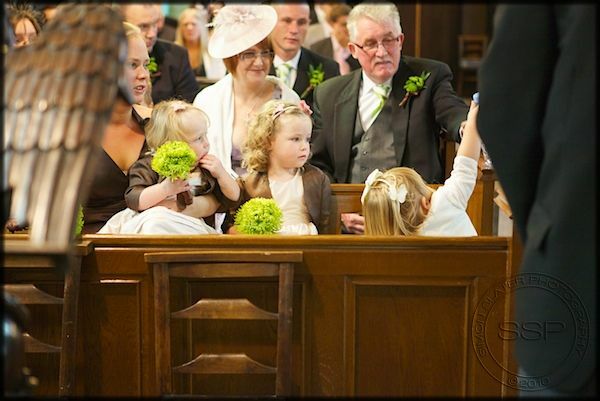 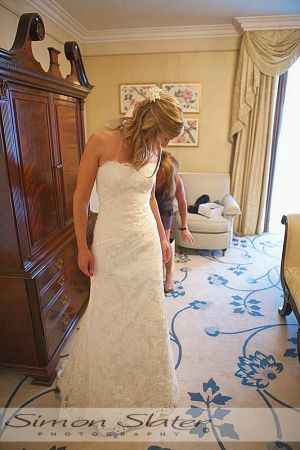 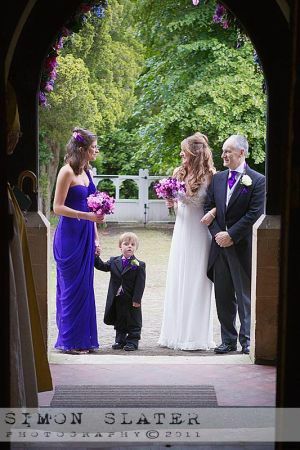 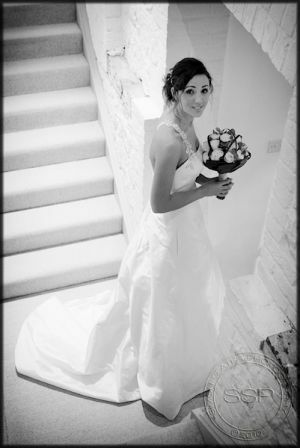 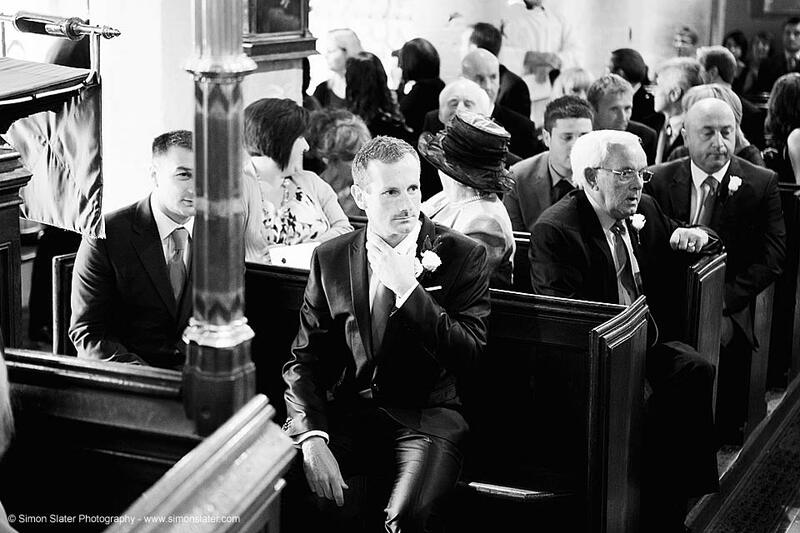 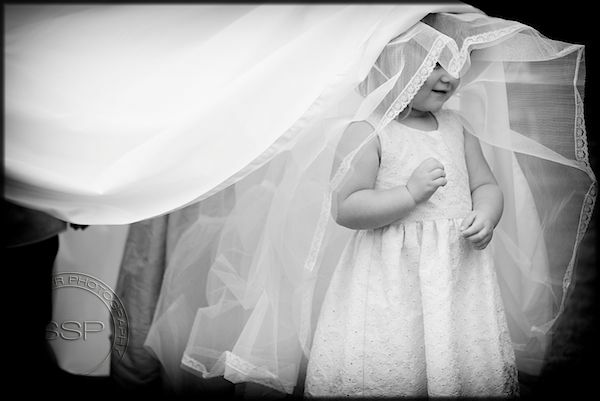 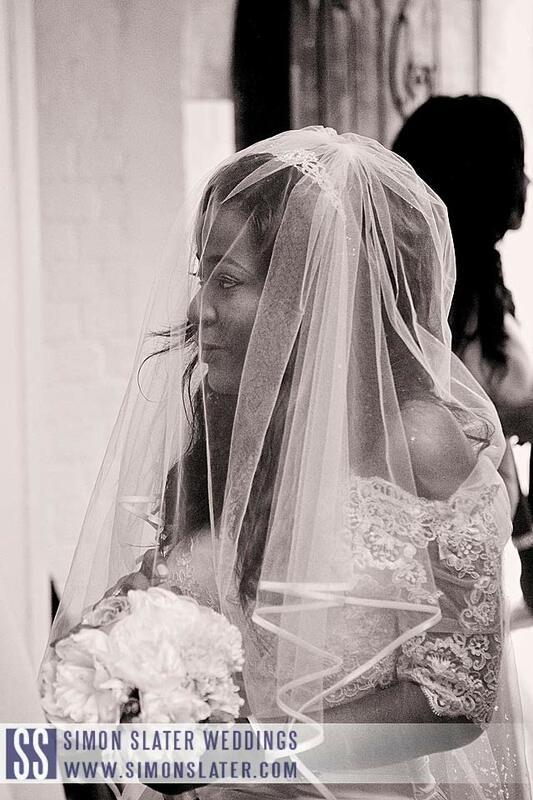 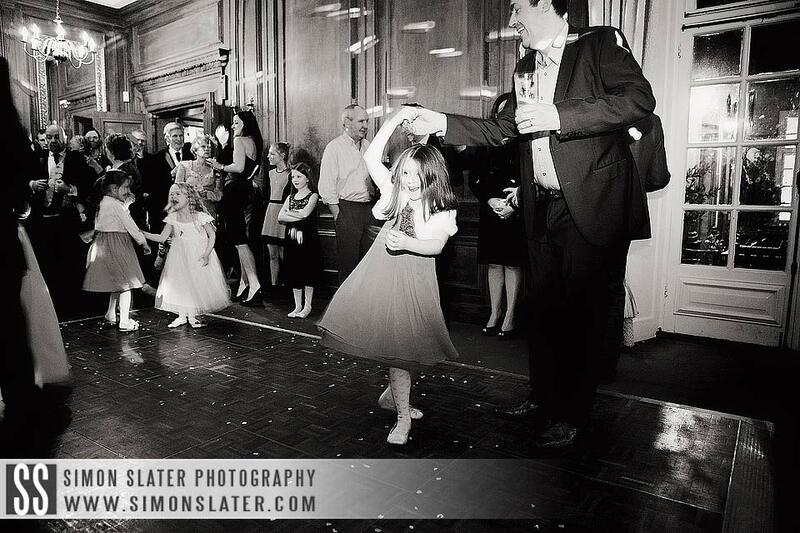 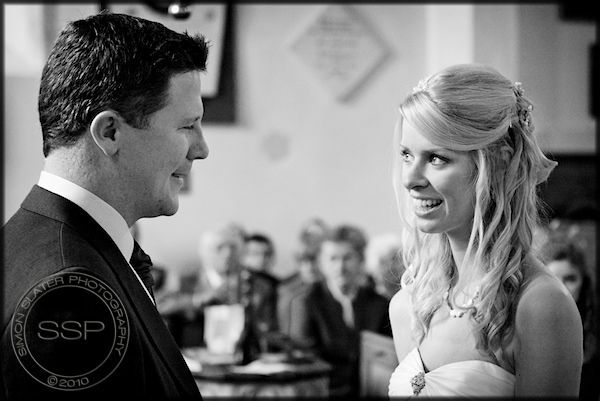 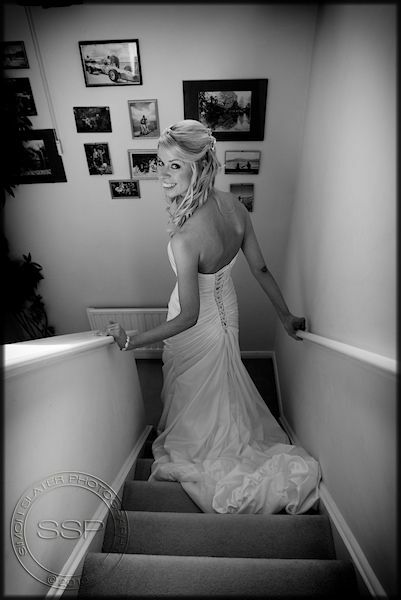 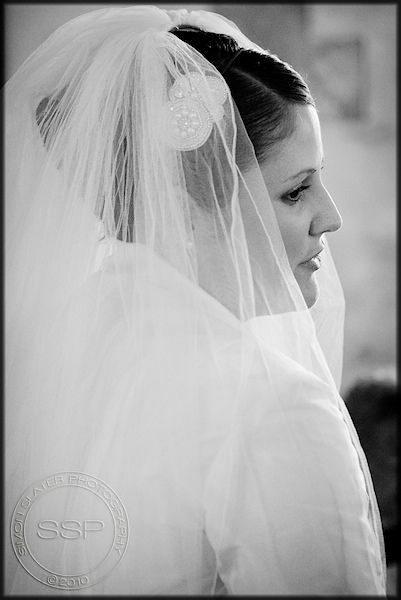 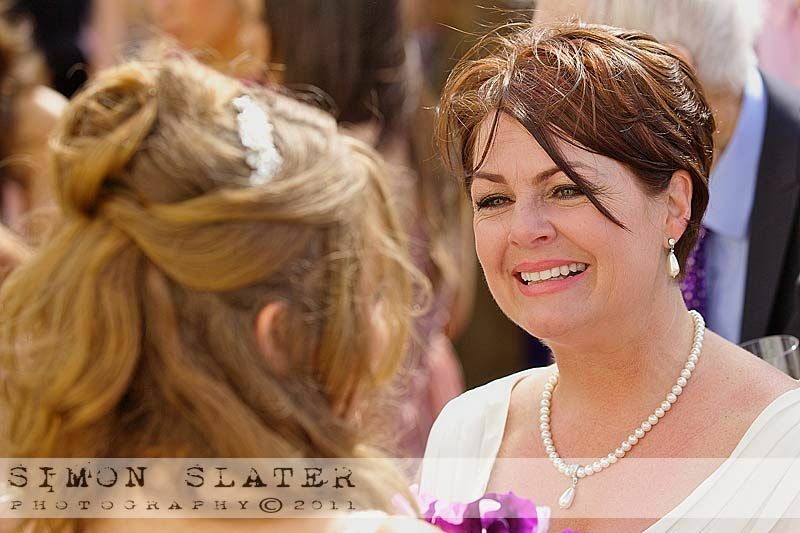 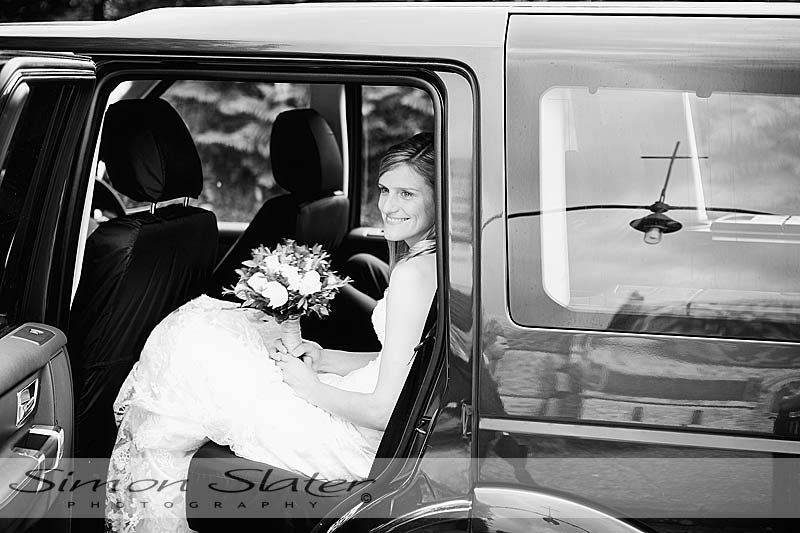 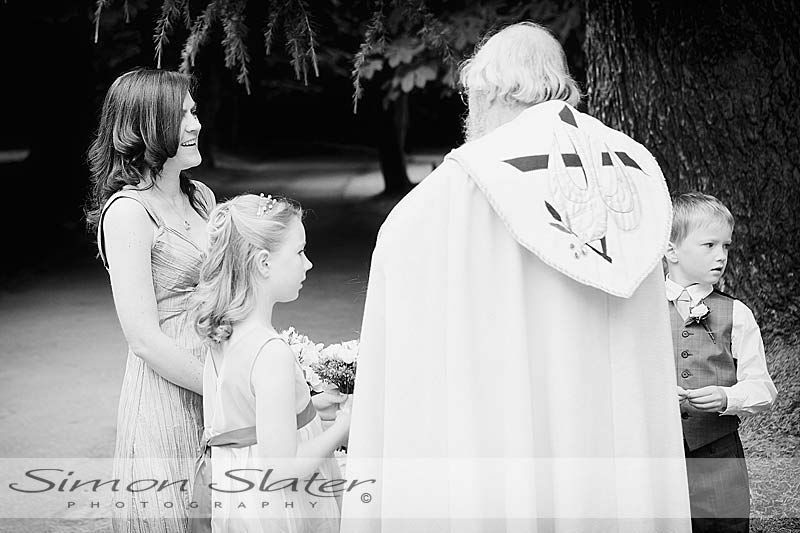 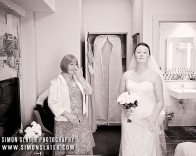 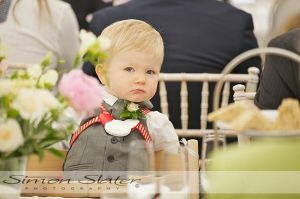 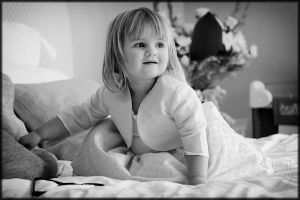 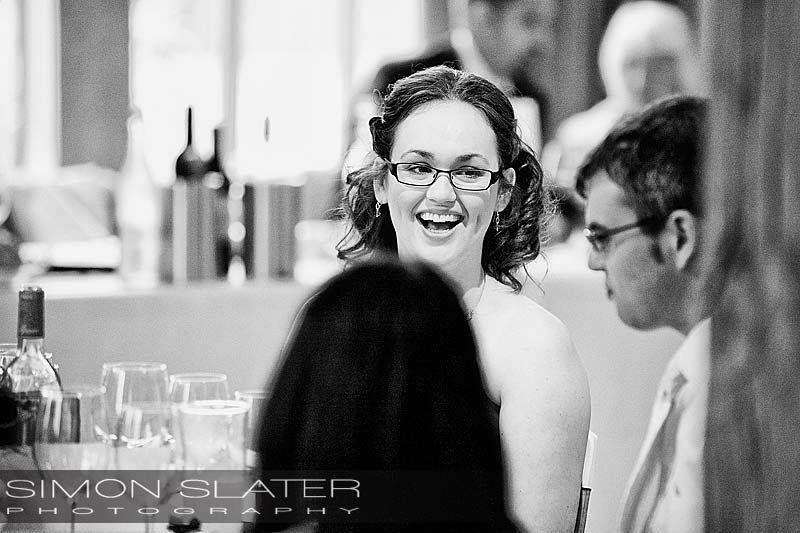 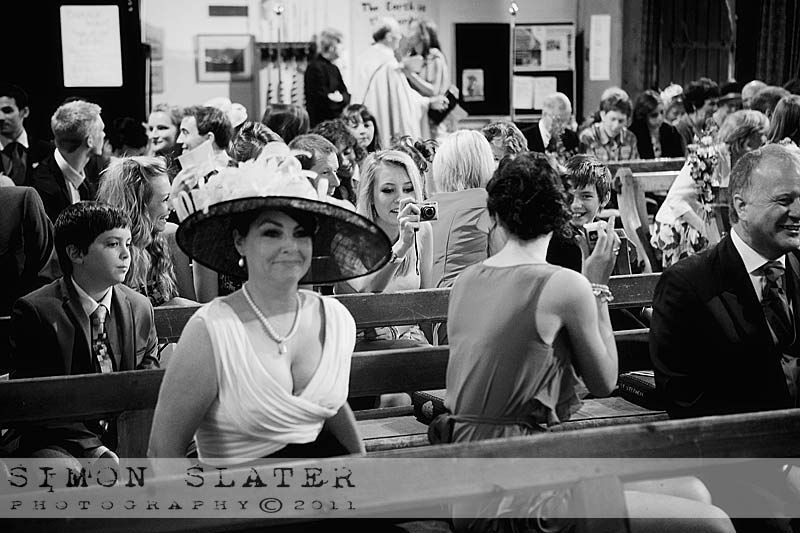 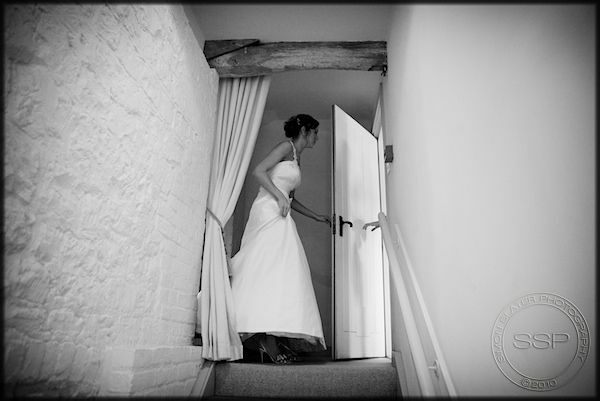 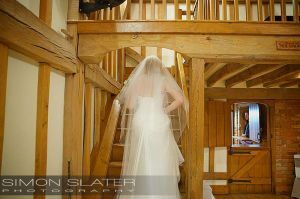 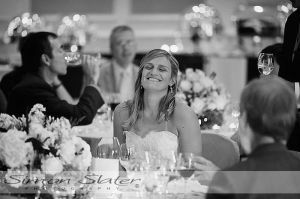 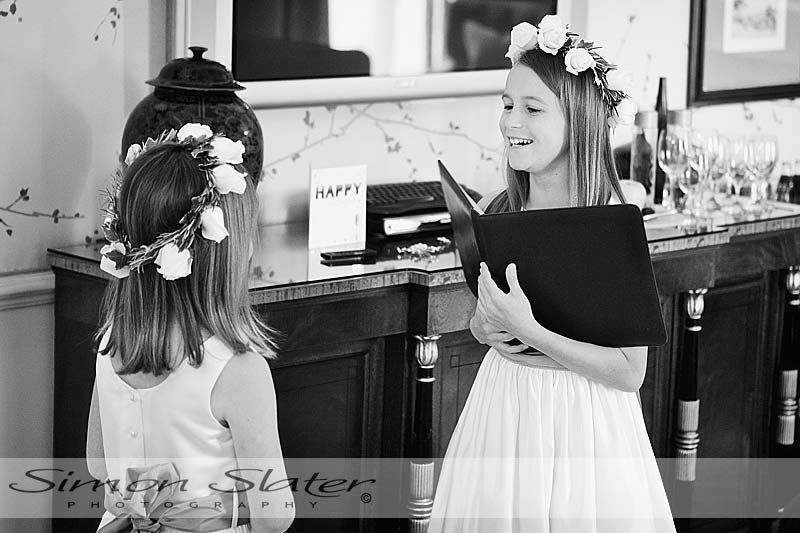 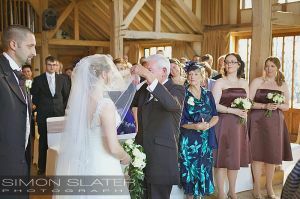 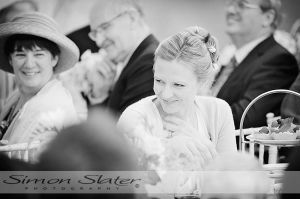 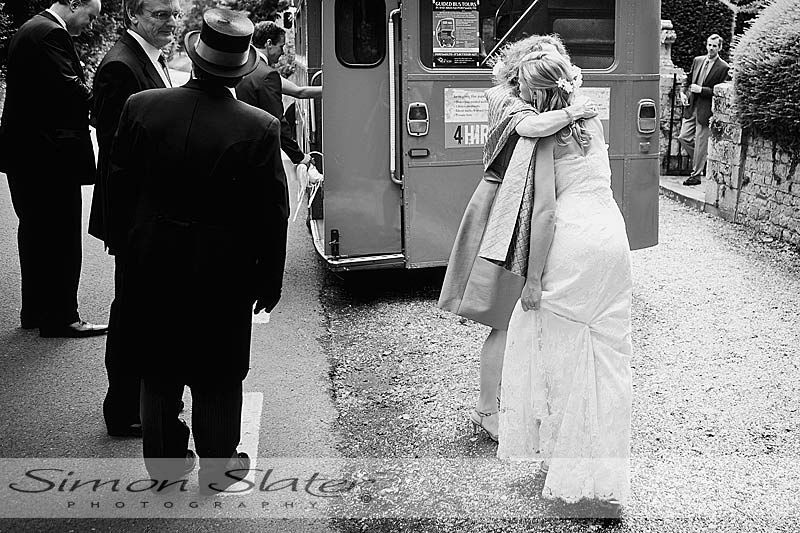 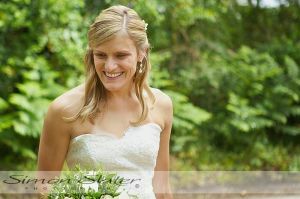 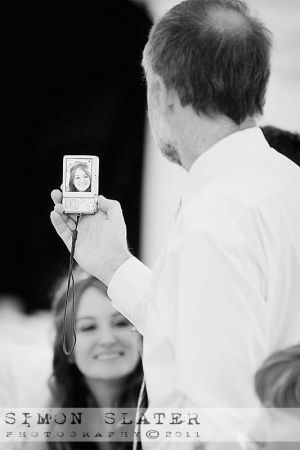 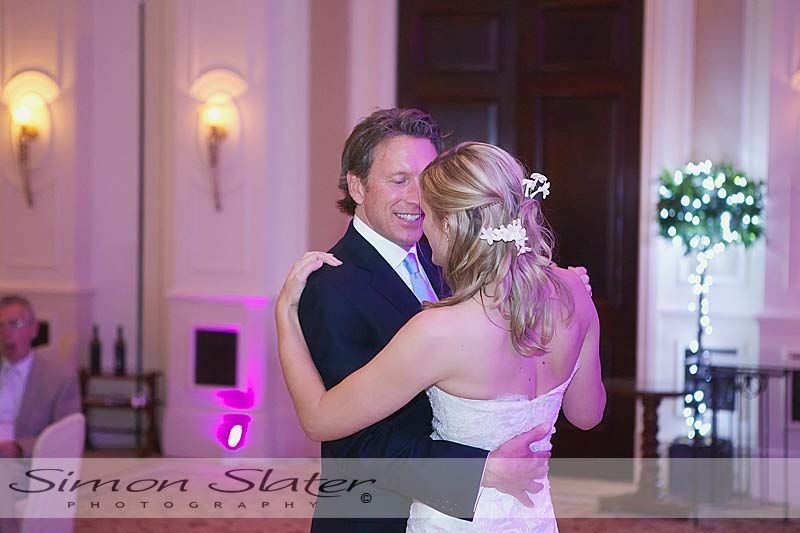 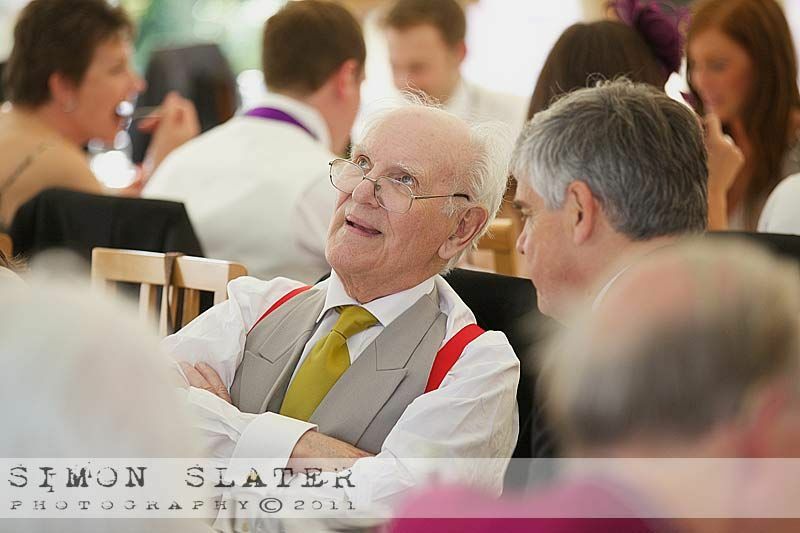 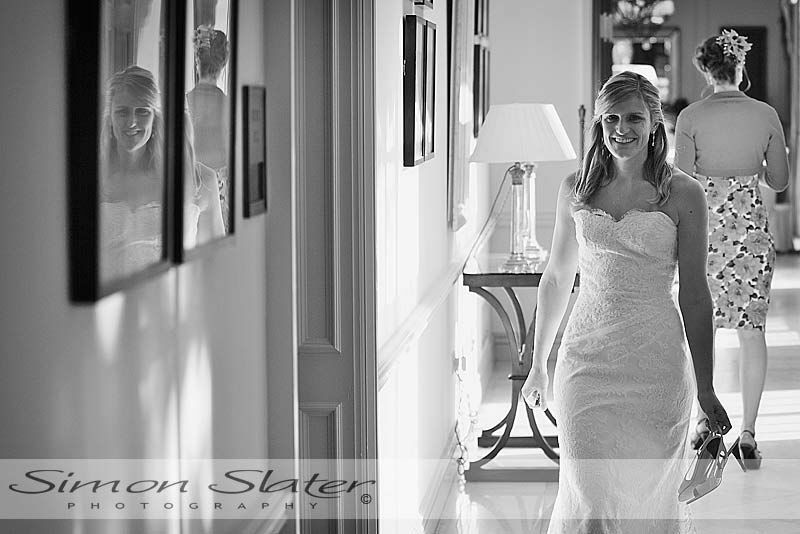 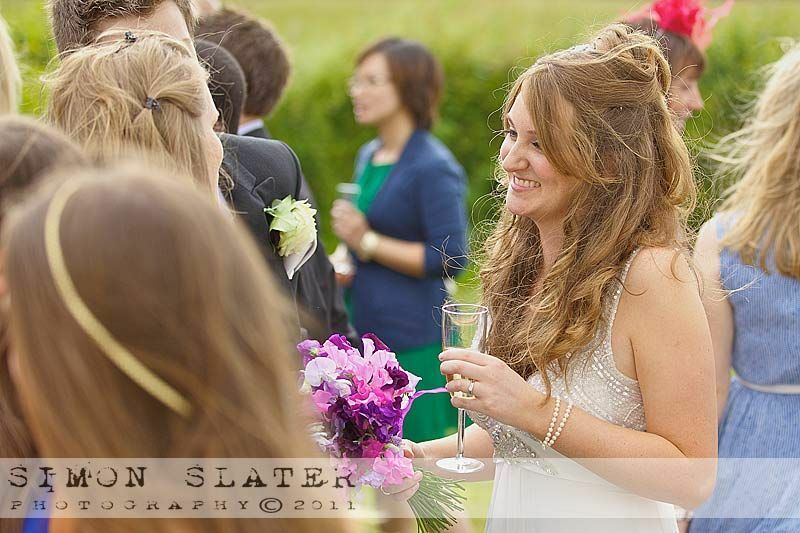 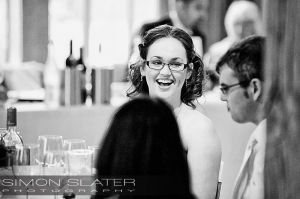 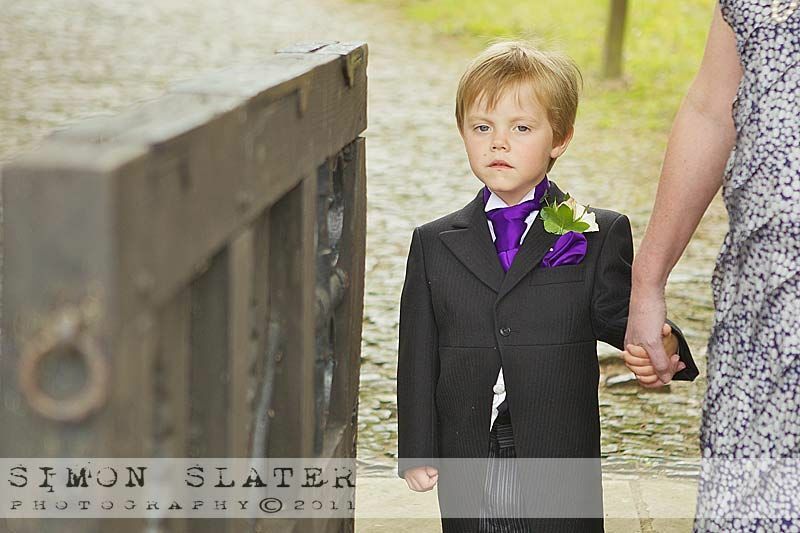 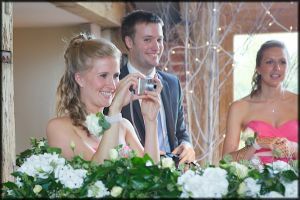 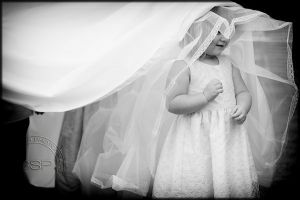 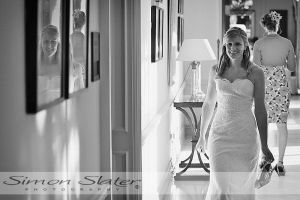 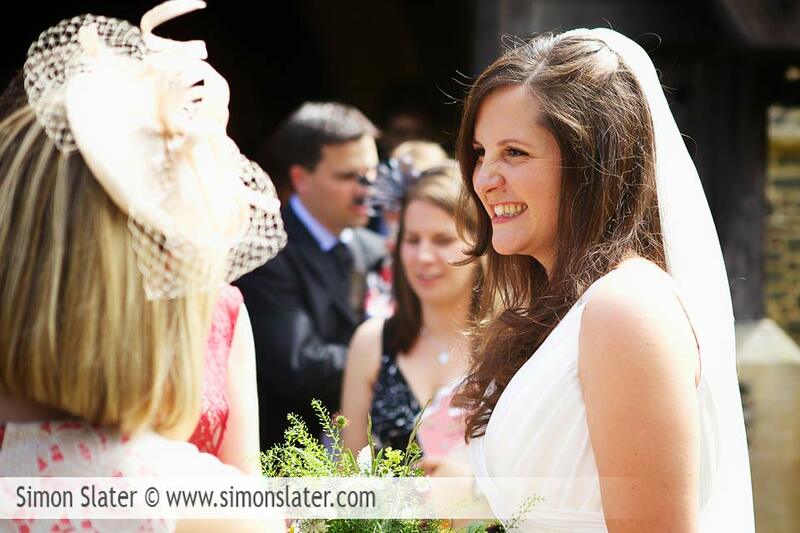 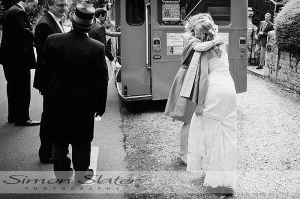 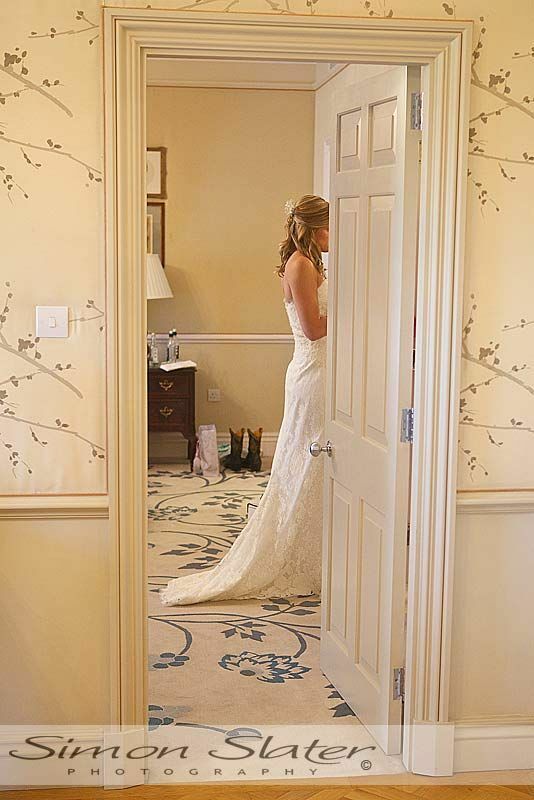 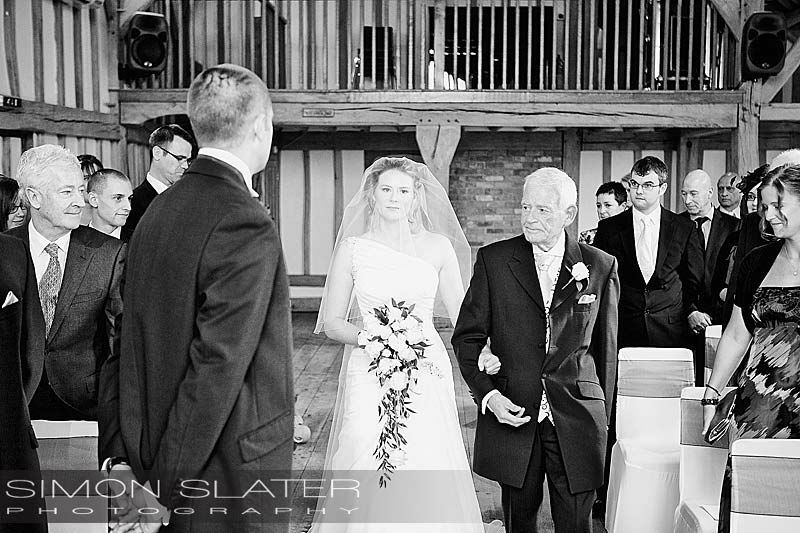 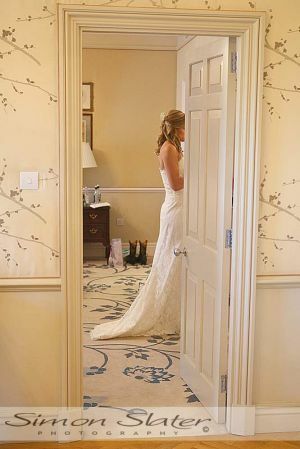 Sarah looked truly stunning before being walked up the aisle with her father to a slightly nervous looking groom. 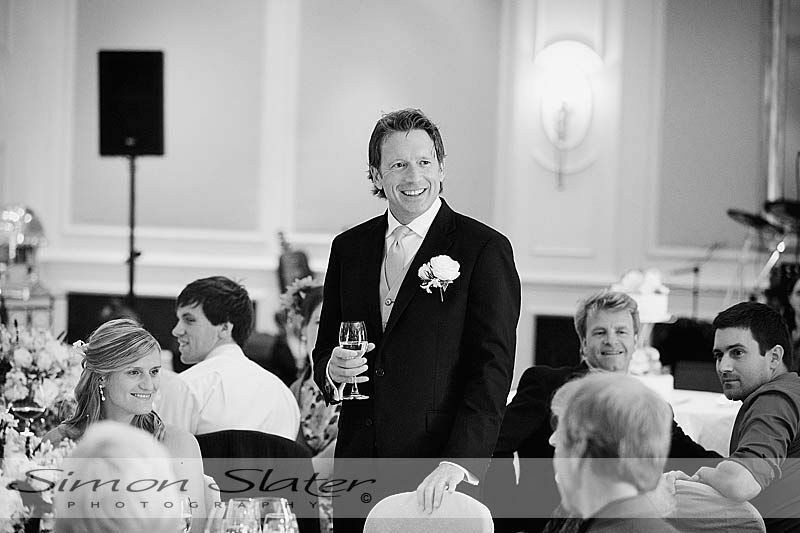 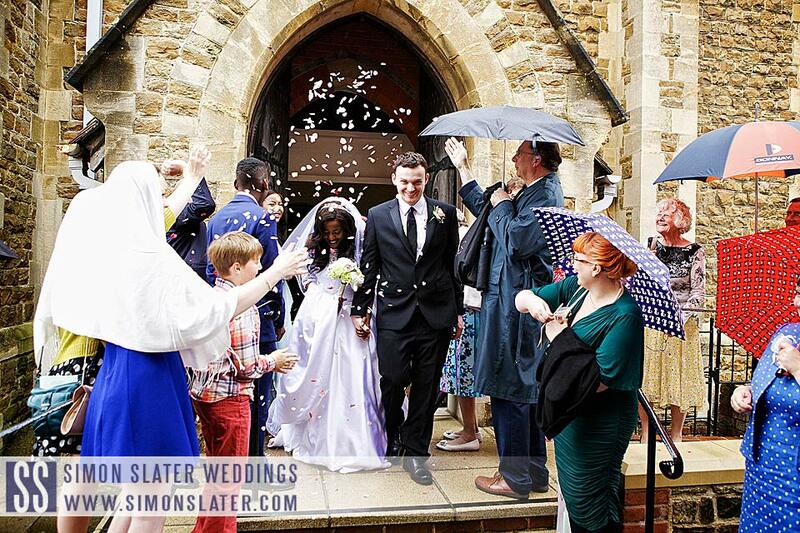 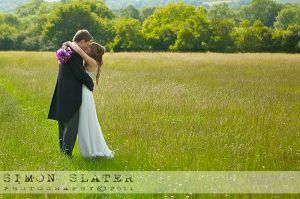 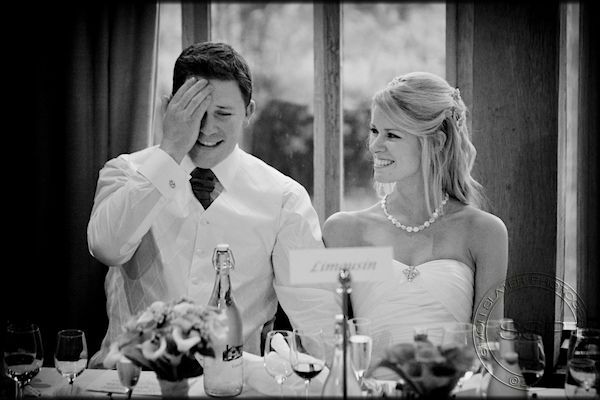 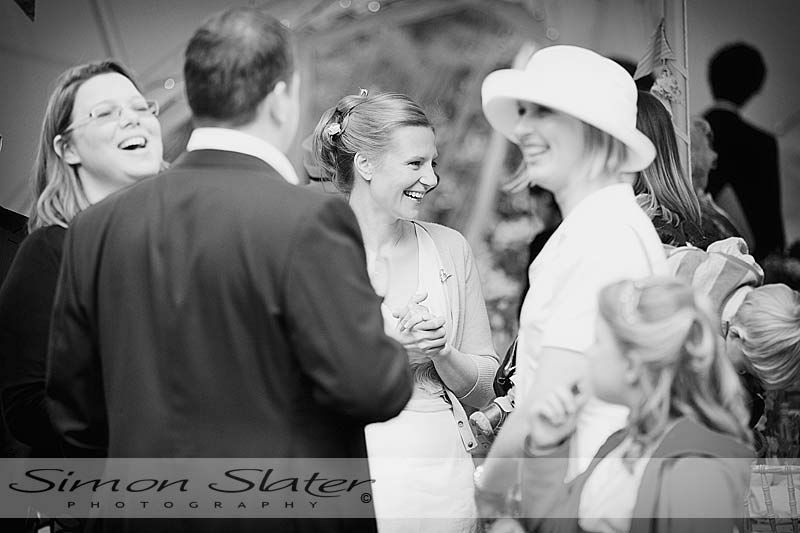 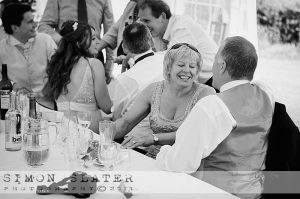 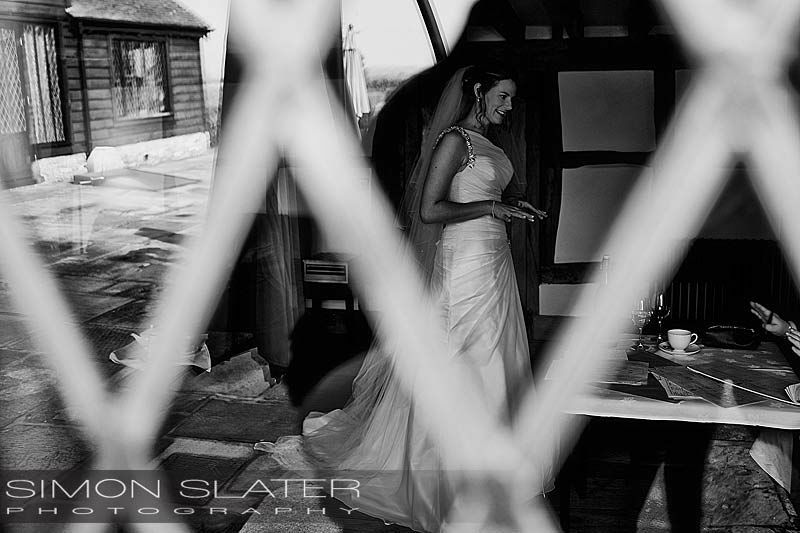 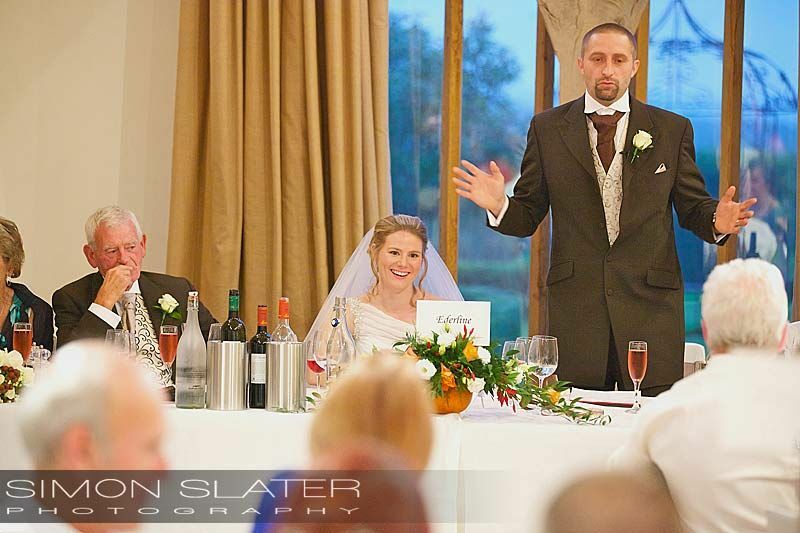 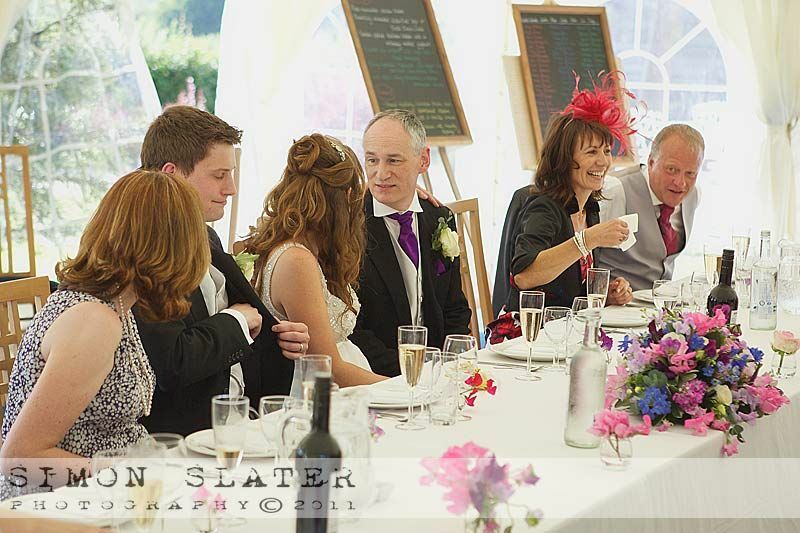 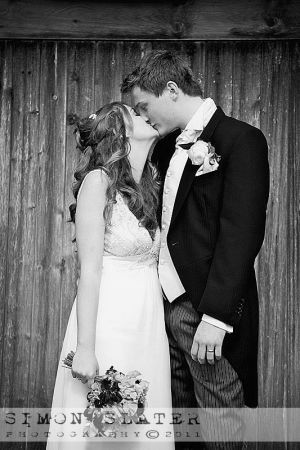 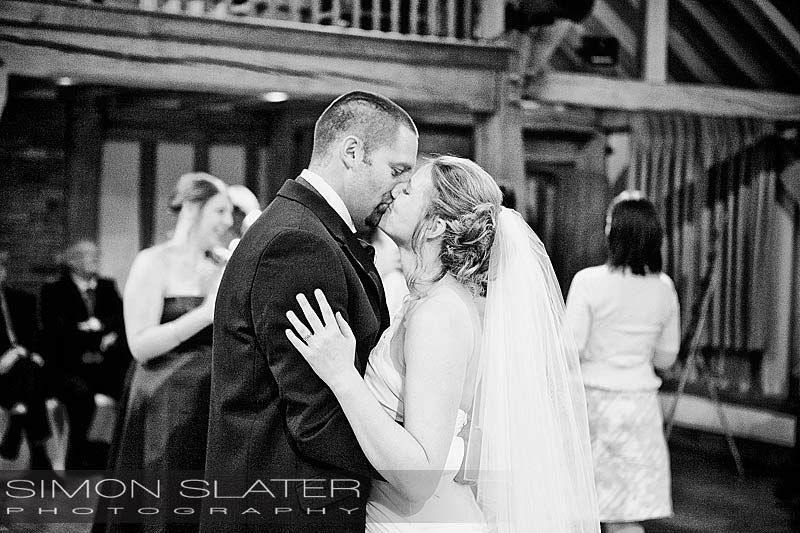 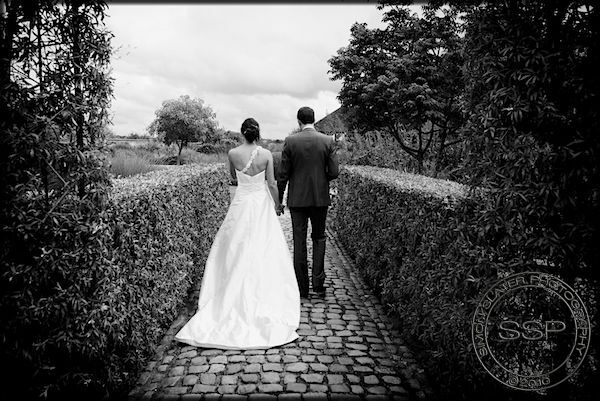 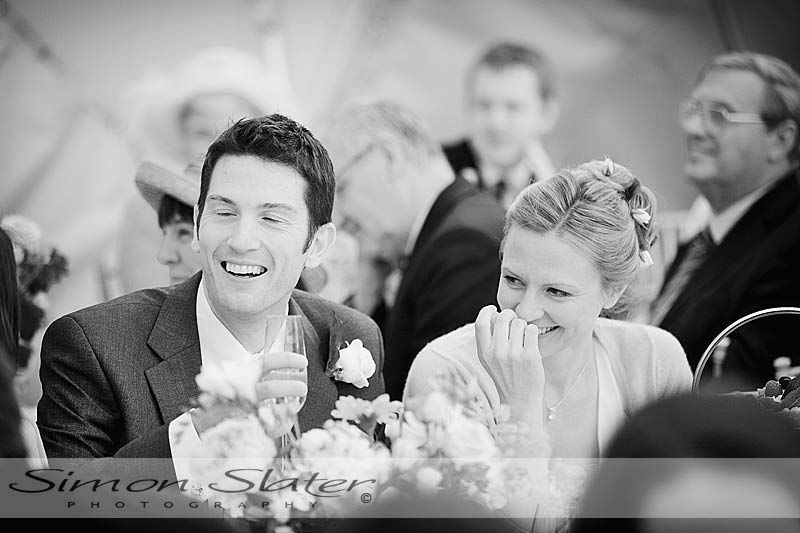 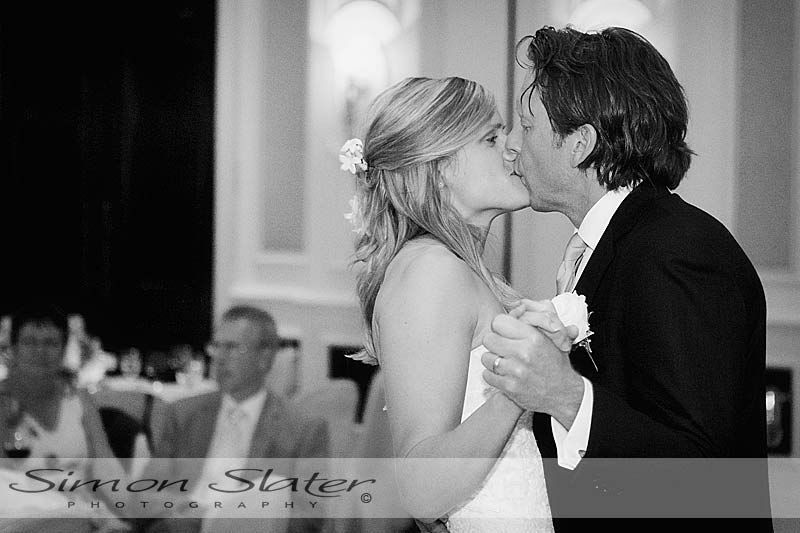 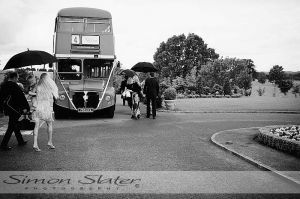 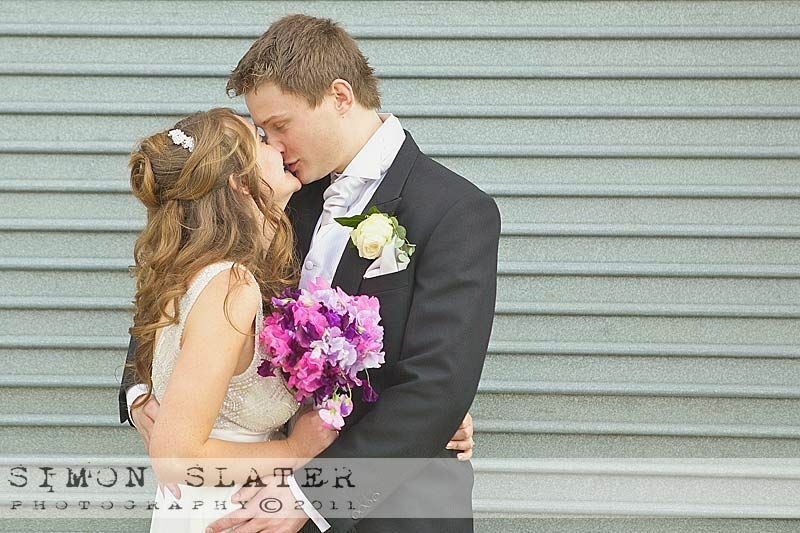 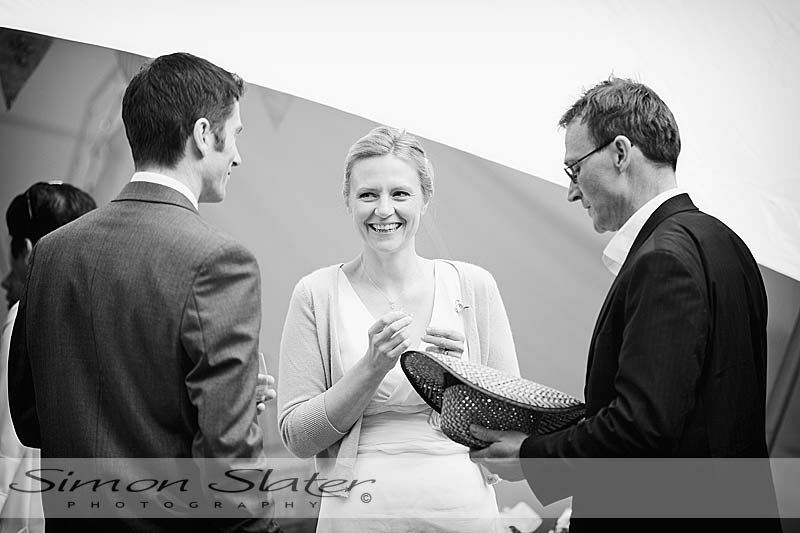 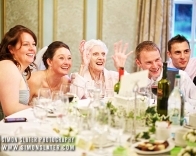 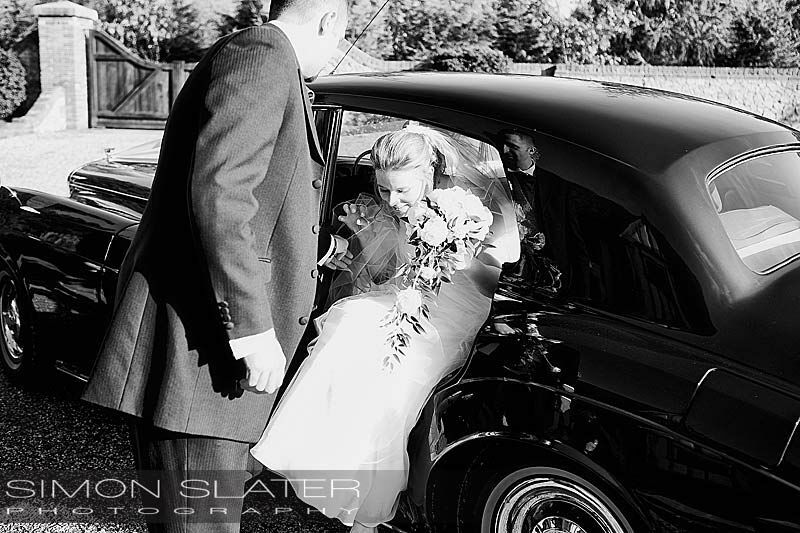 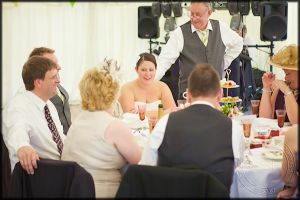 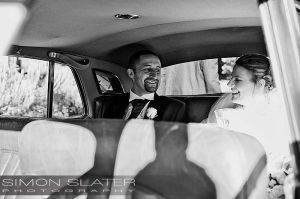 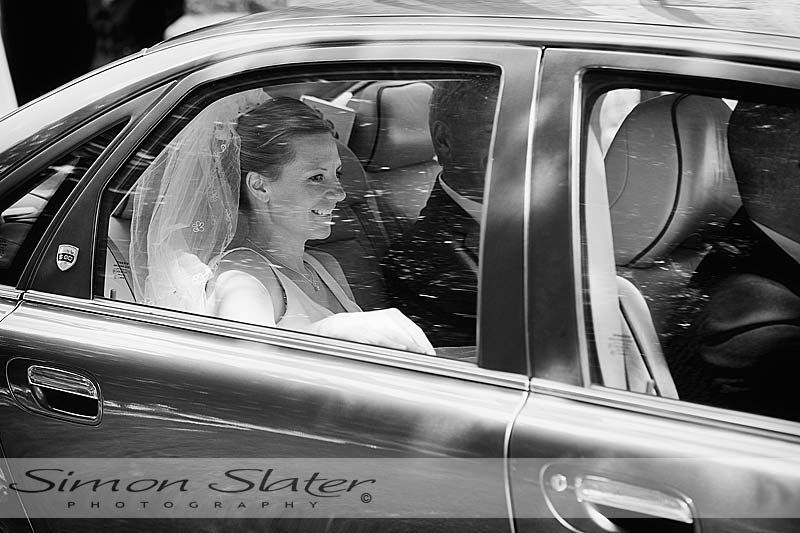 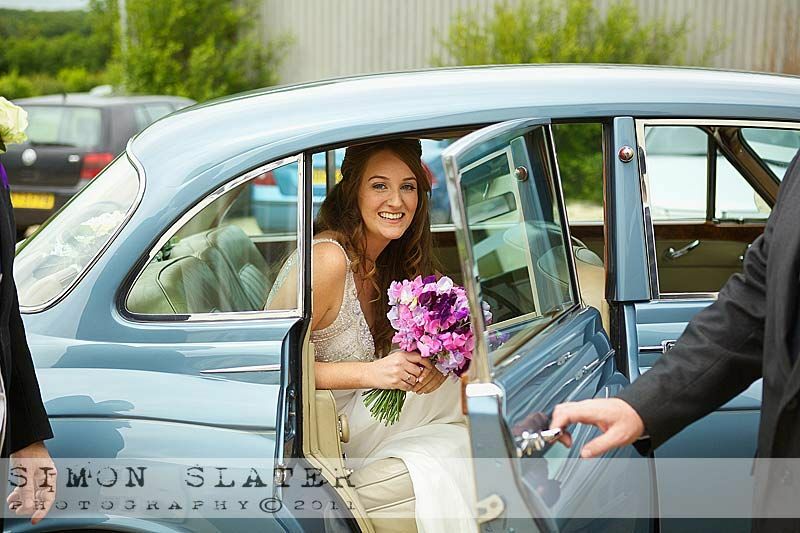 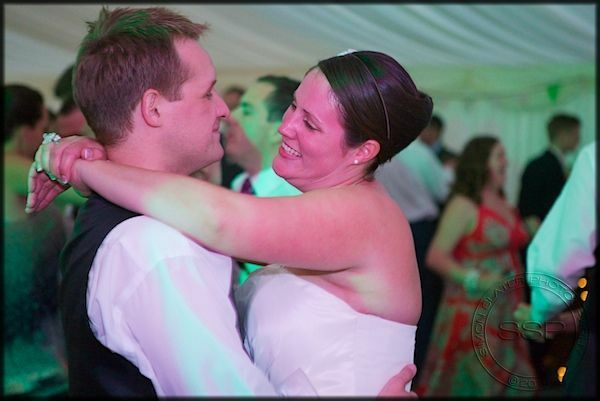 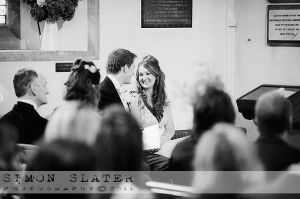 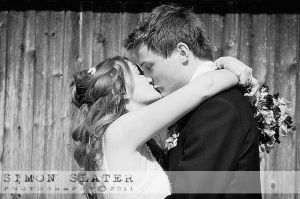 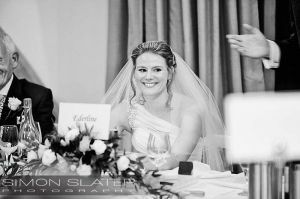 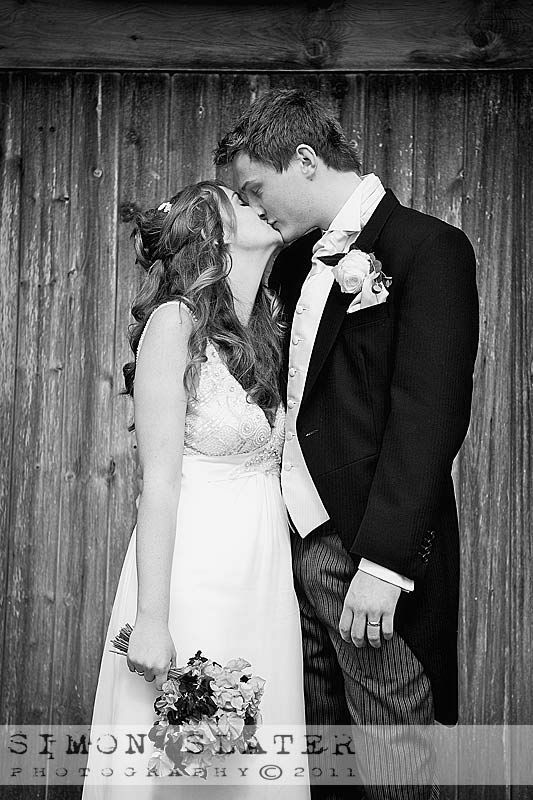 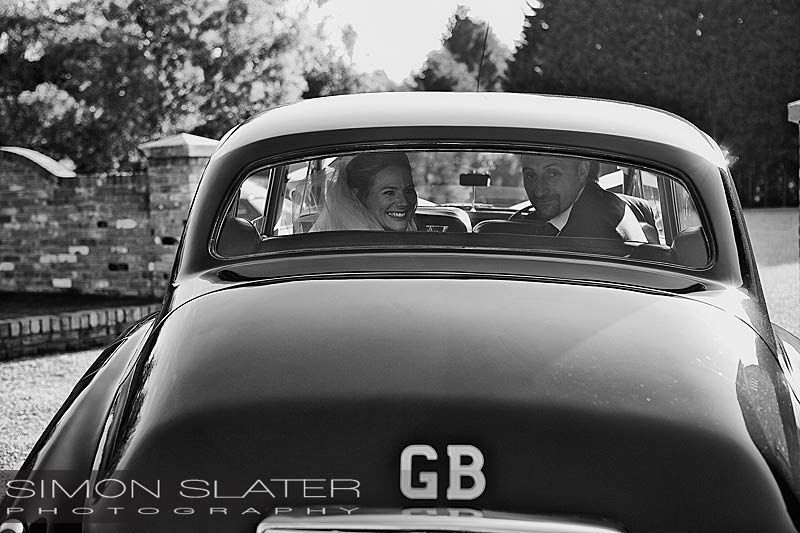 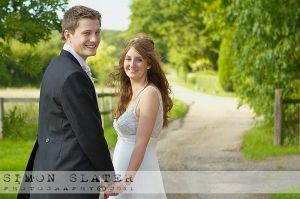 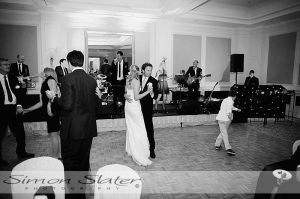 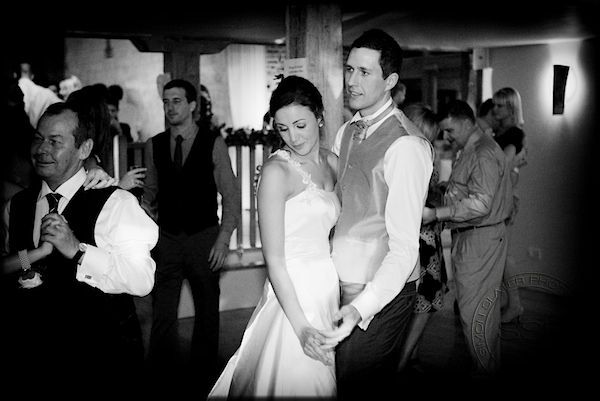 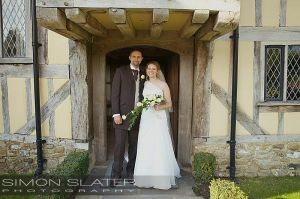 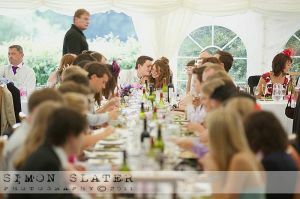 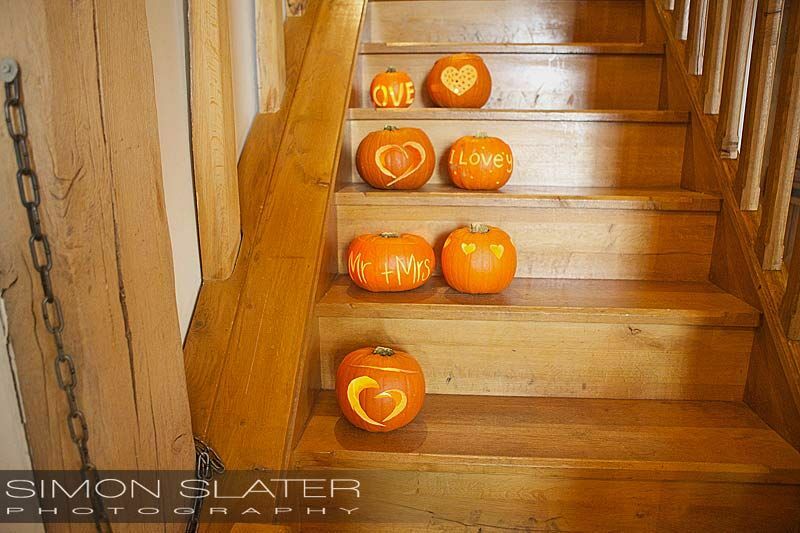 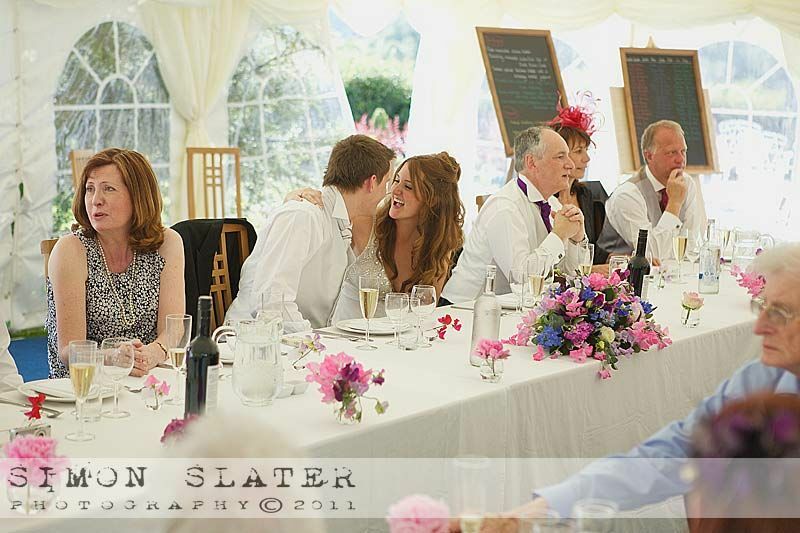 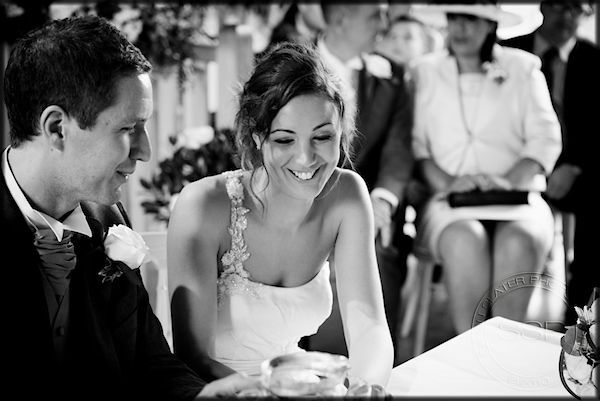 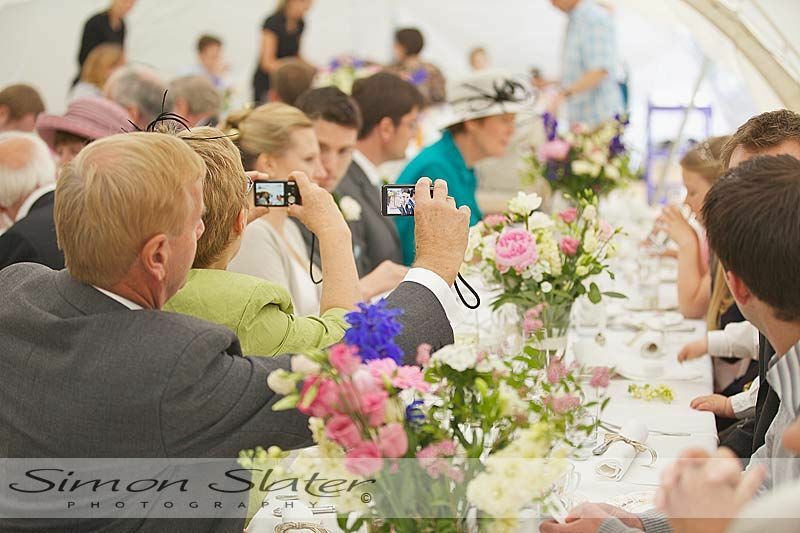 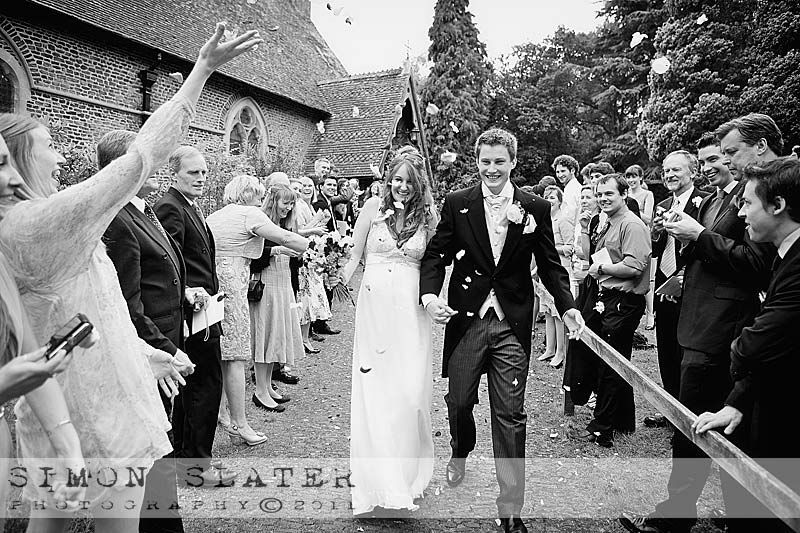 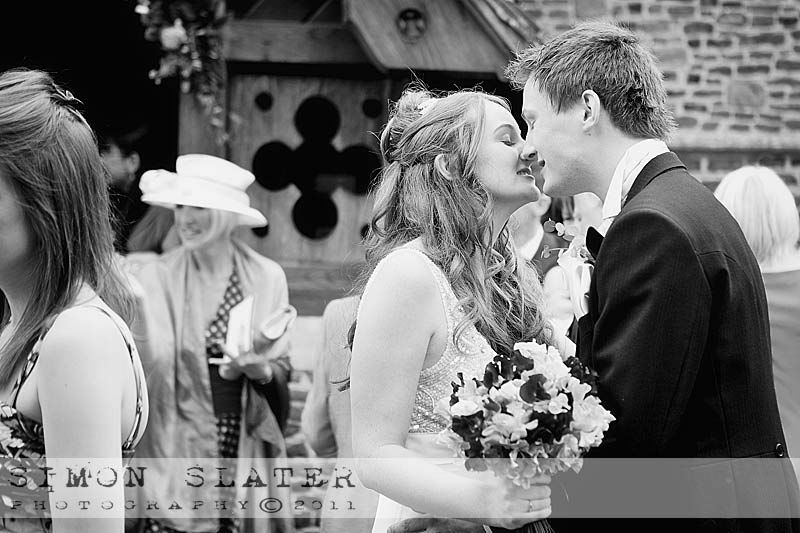 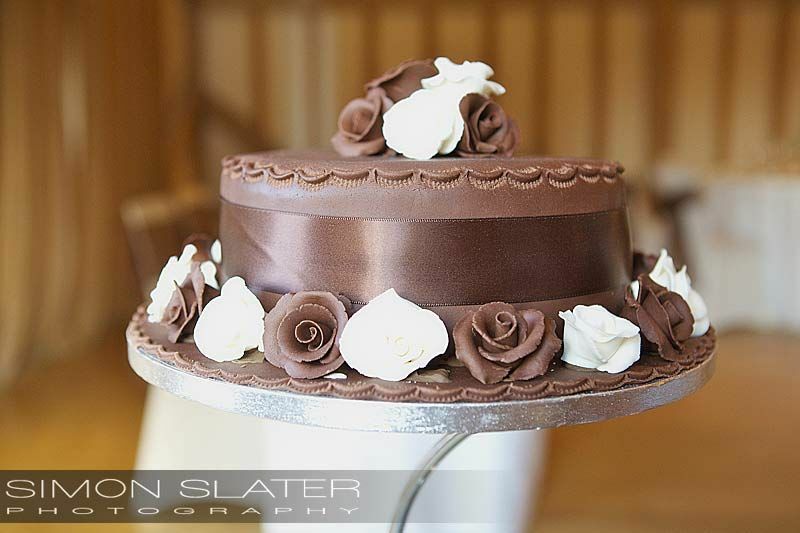 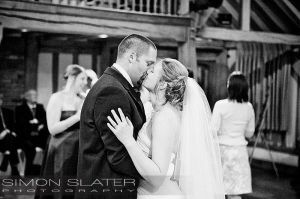 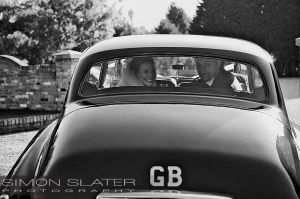 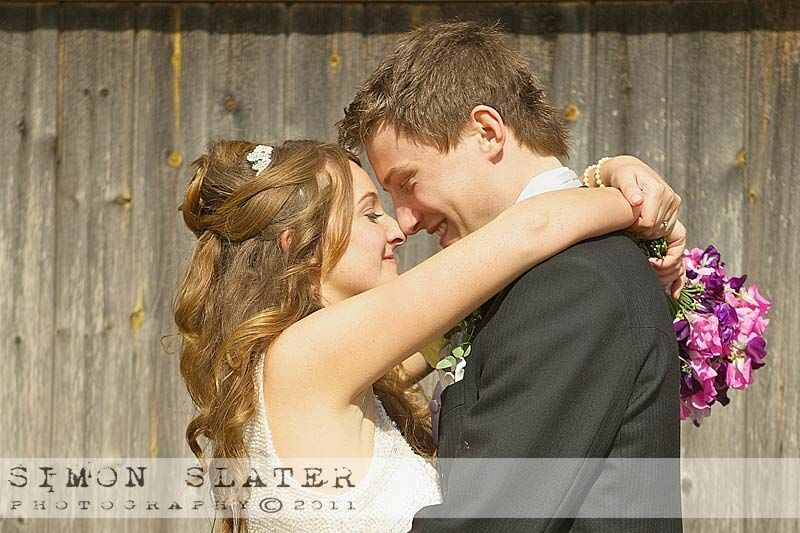 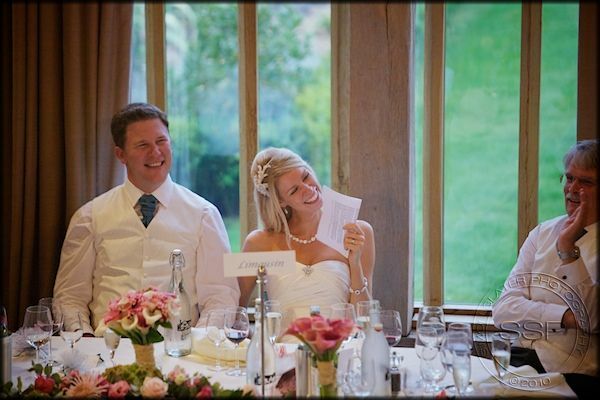 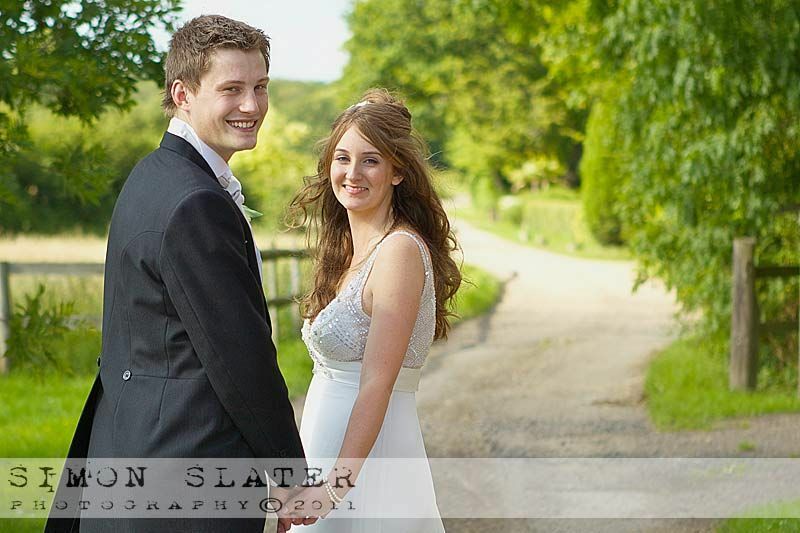 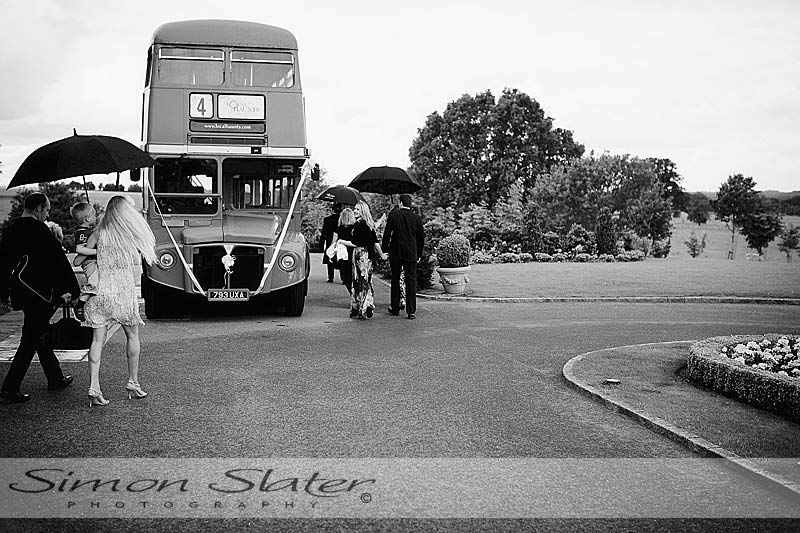 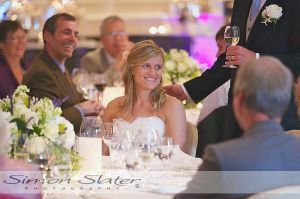 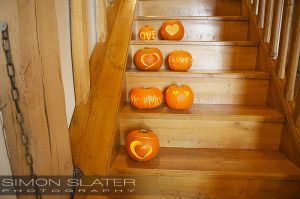 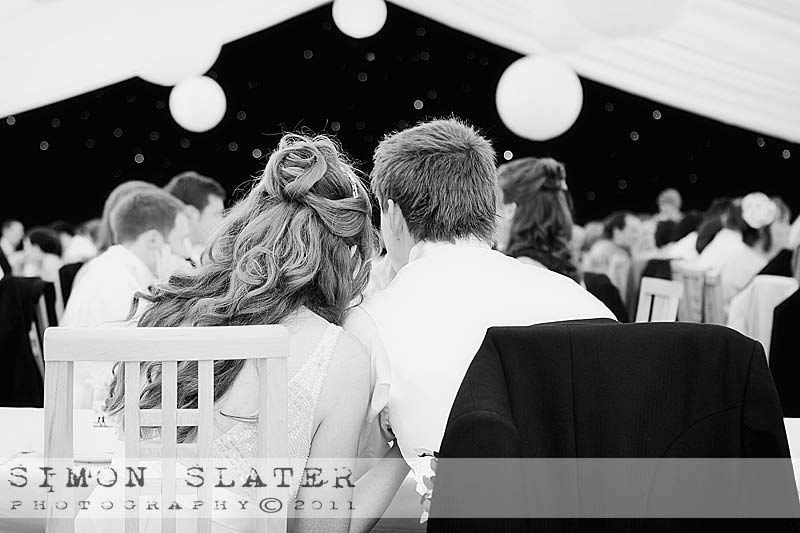 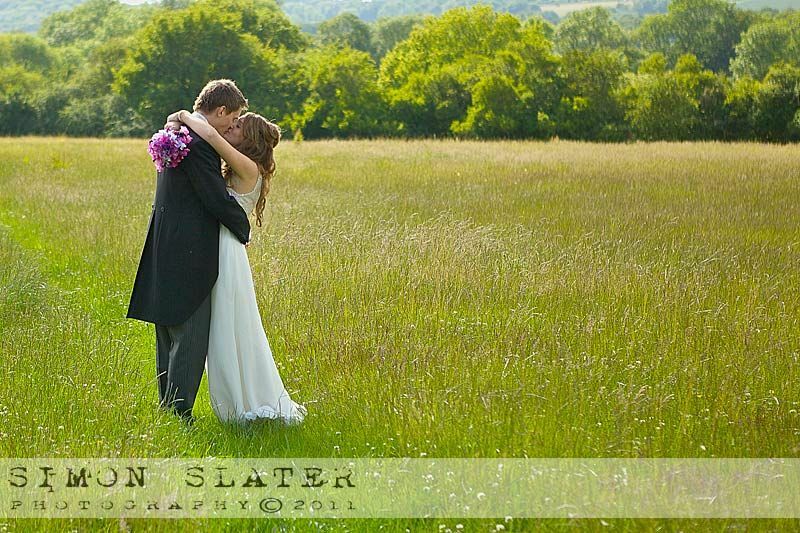 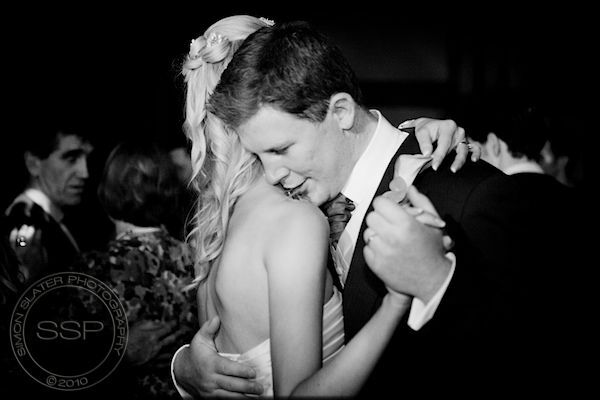 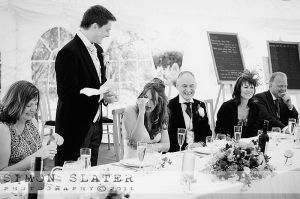 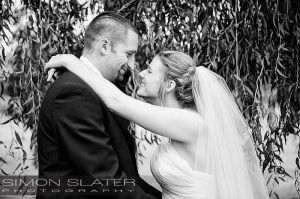 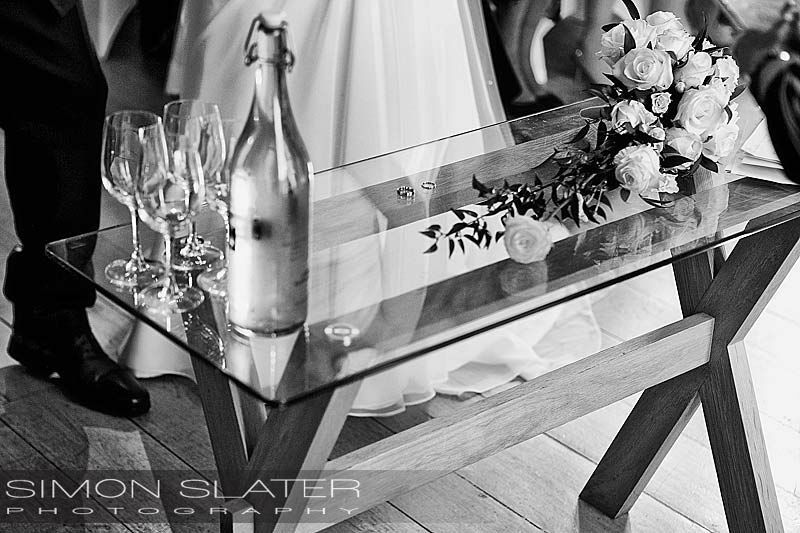 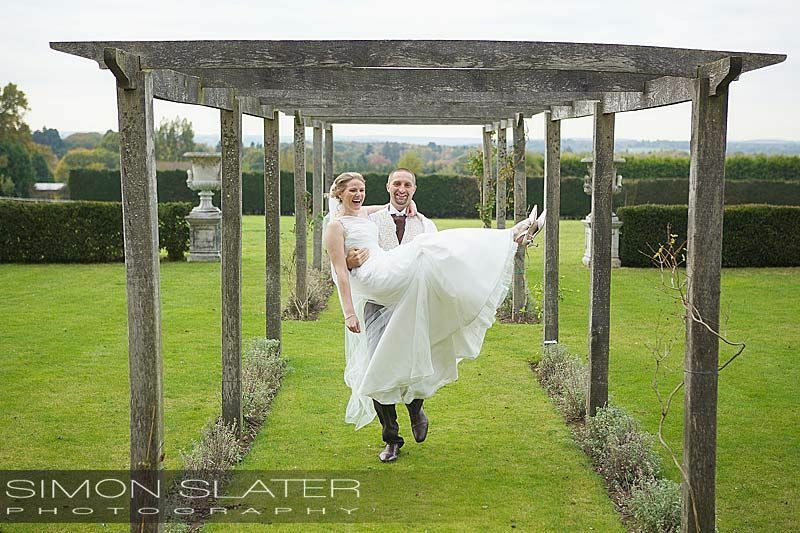 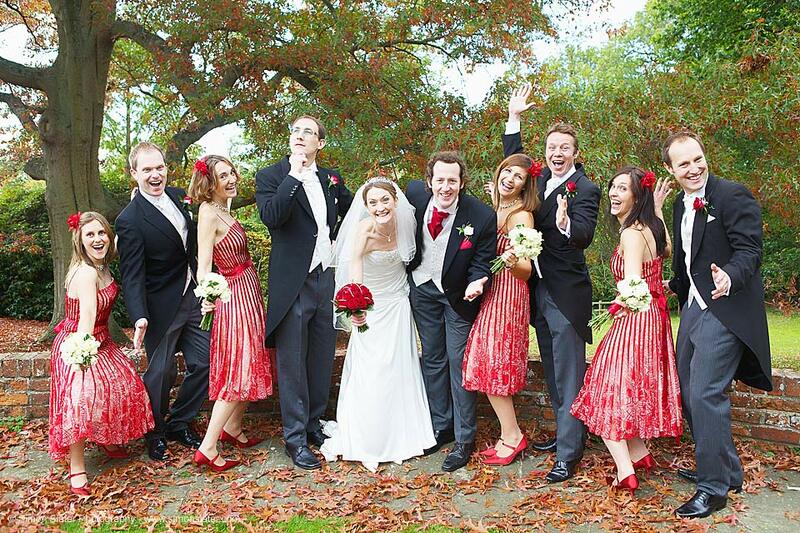 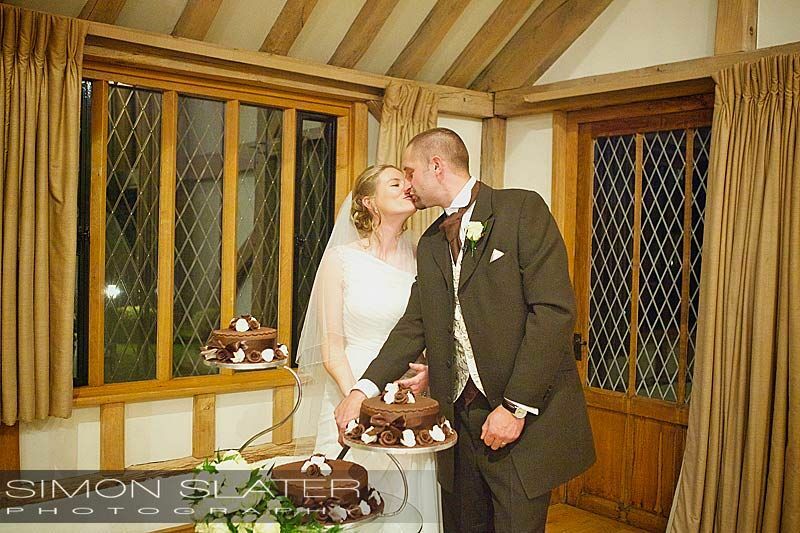 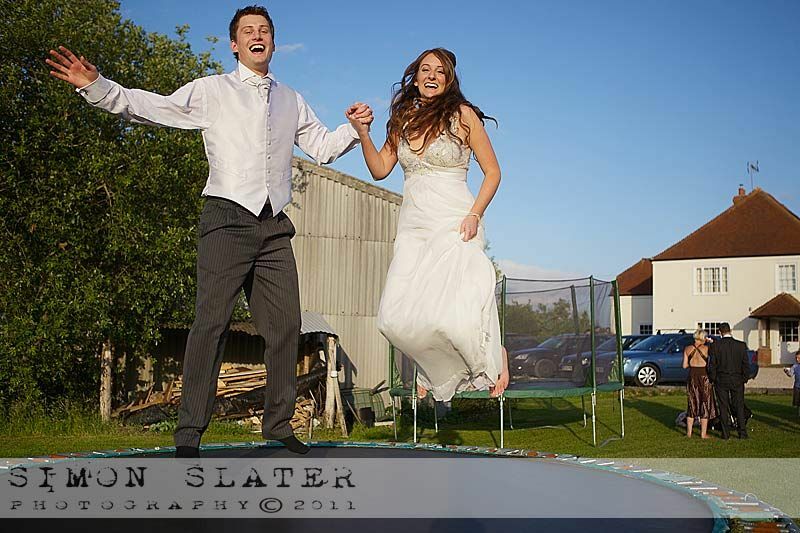 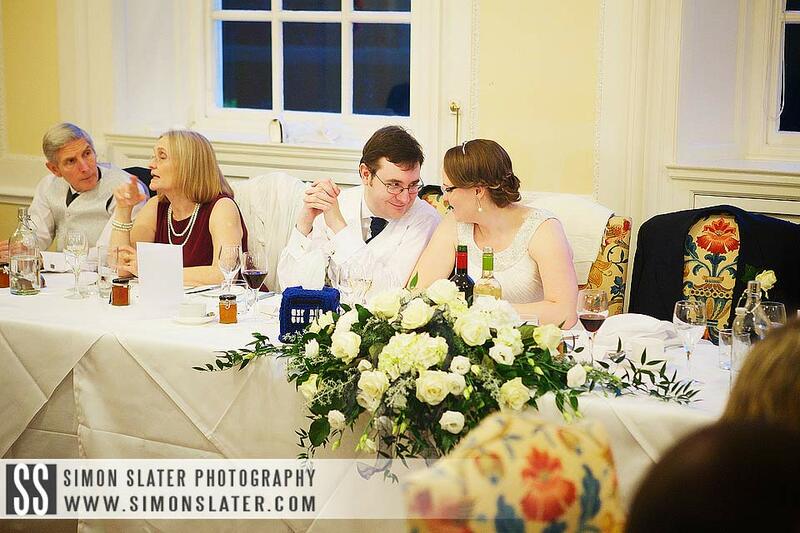 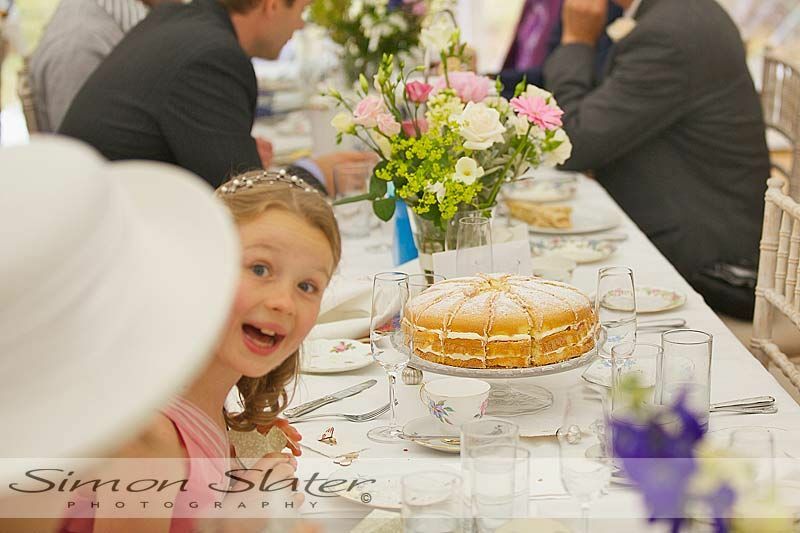 Sarah and Dan were then married by 14:30 hrs, Congratulations again to Mr & Mrs Battershill. 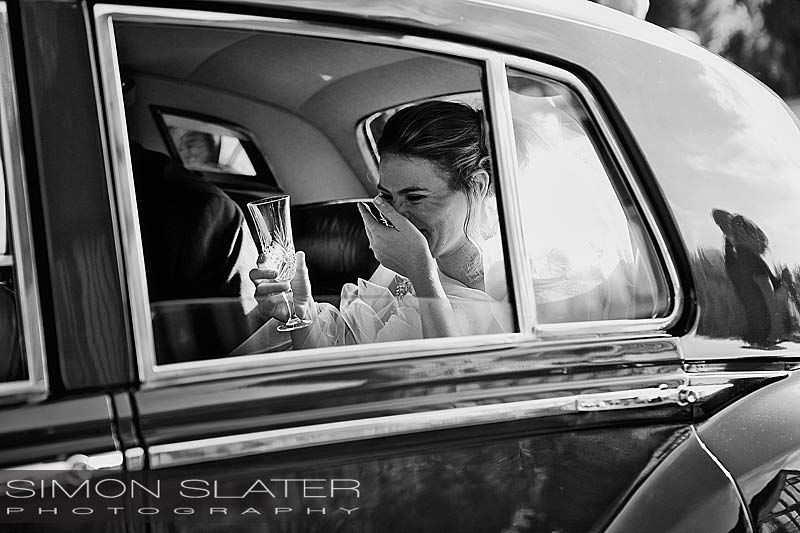 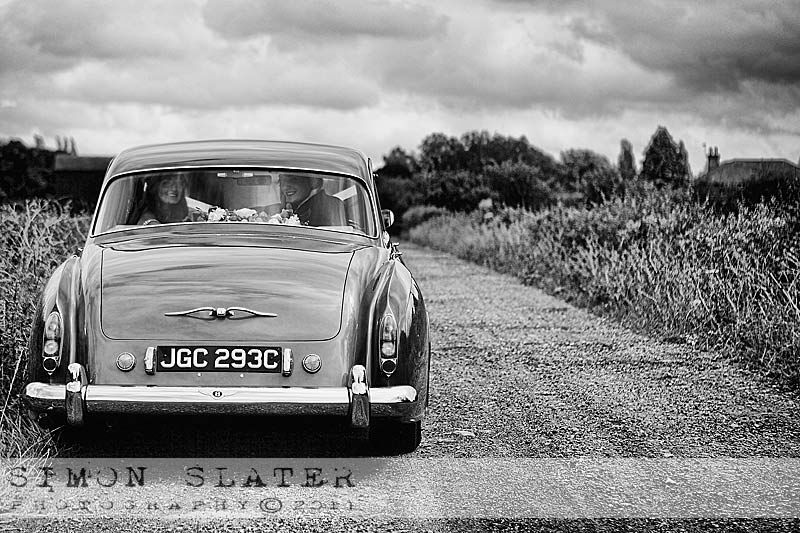 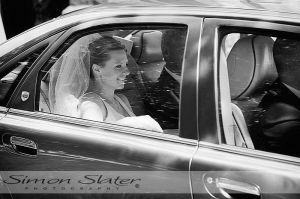 After the ceremony Sarah and Dan were pored some champagne for a short jaunt in the wedding car. They returned to be welcomed back by all their guests outside the front of Cain Manor in the glorious afternoon sunshine. 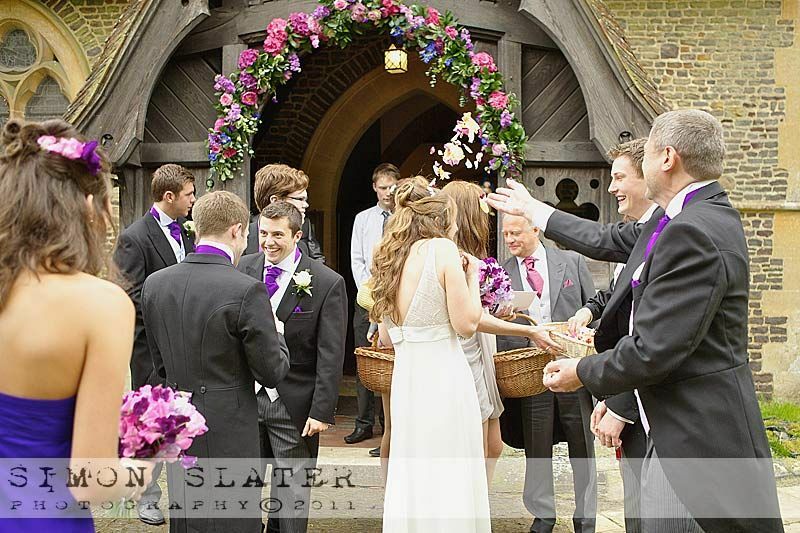 Some group photos were taken in front of this stunning Elizabethan Manor House before the guests were sat down ready to welcome in the newlyweds for the wedding breakfast. 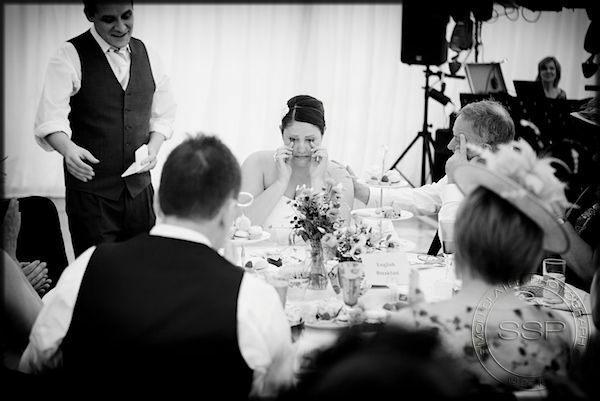 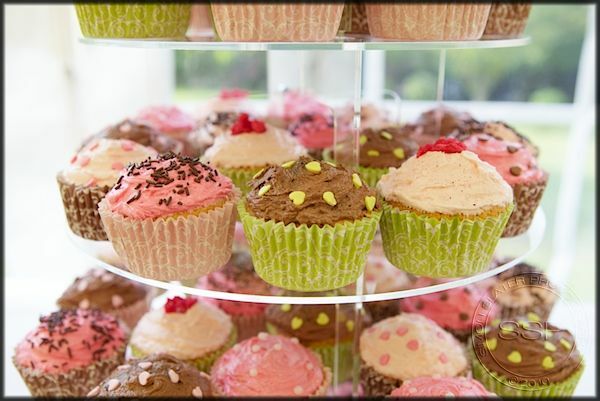 The wedding reception, speeches, cutting of the cake, first dance and evening celebrations were all held in the banqueting hall of Cain Manor and no doubt in to the early hours of Saturday morning. 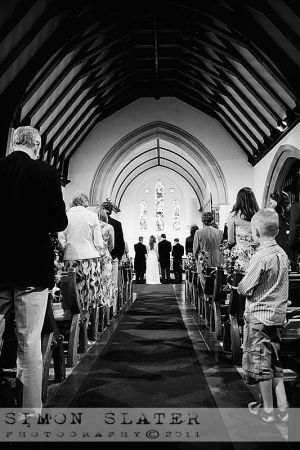 Towards the middle of June I had the pleasure of photographing Beth & Ben’s wedding at St. Luke’s Church ‘The Church in the Woods’ in Milland, Hampshire. 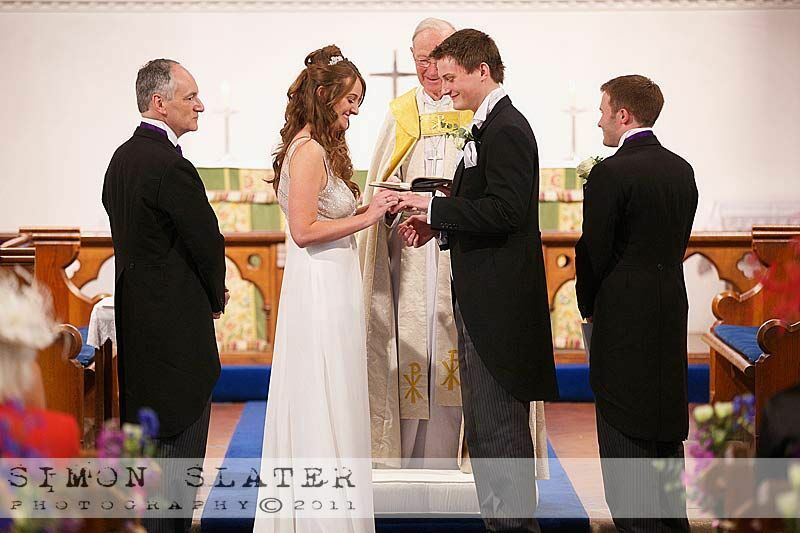 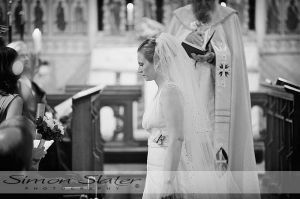 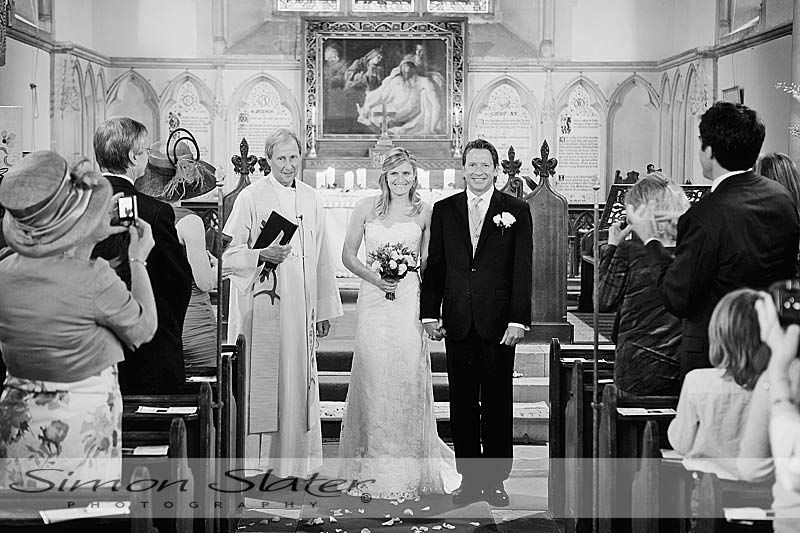 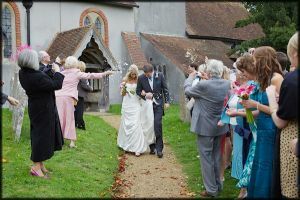 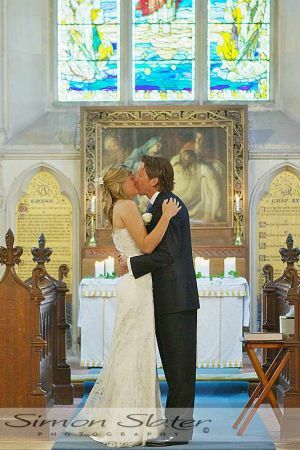 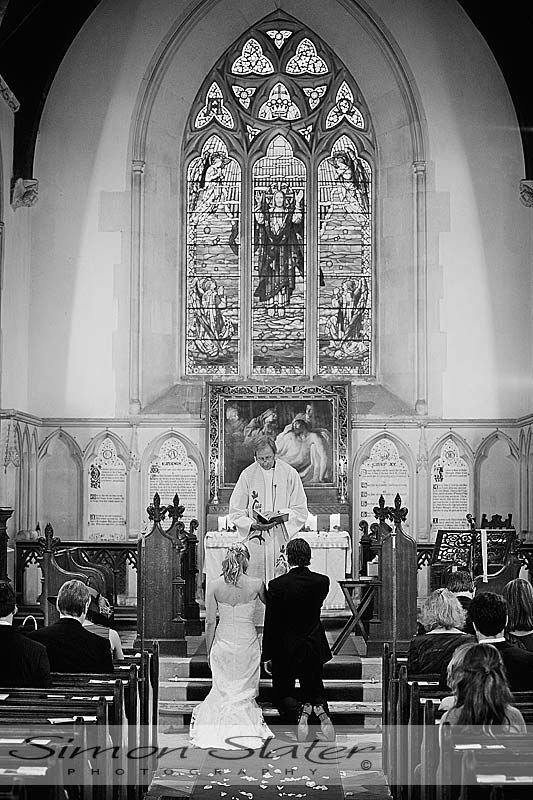 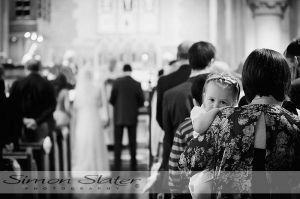 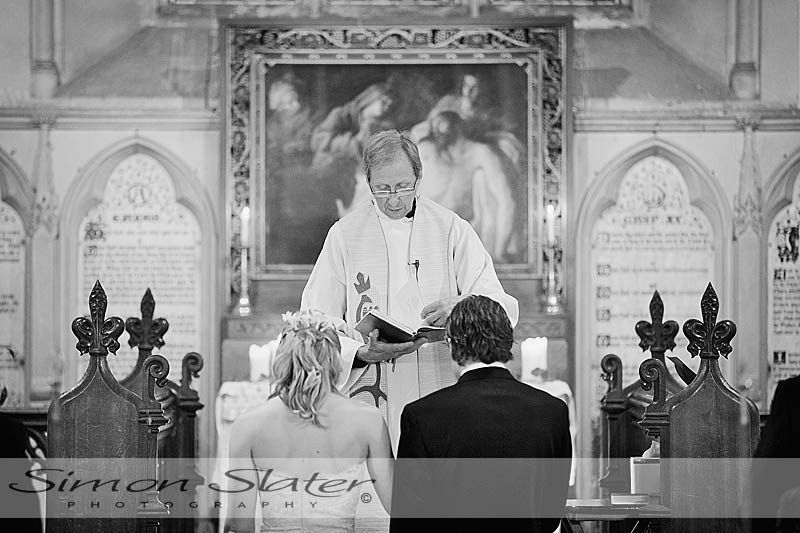 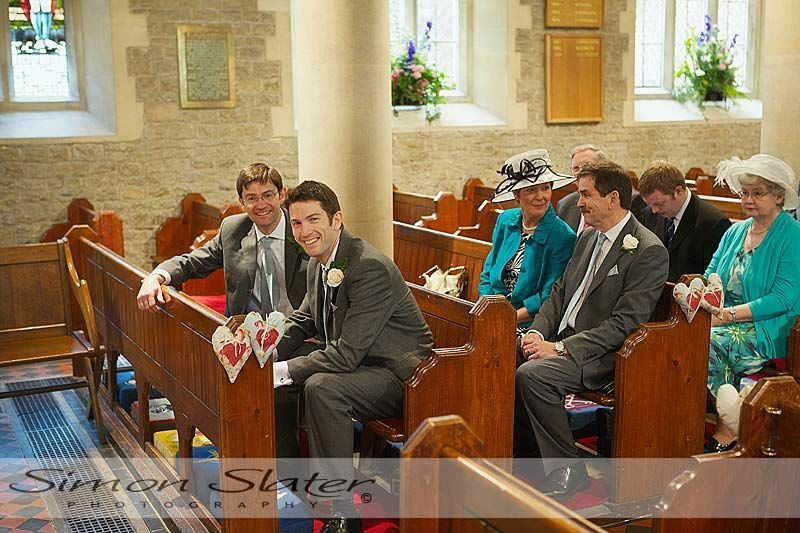 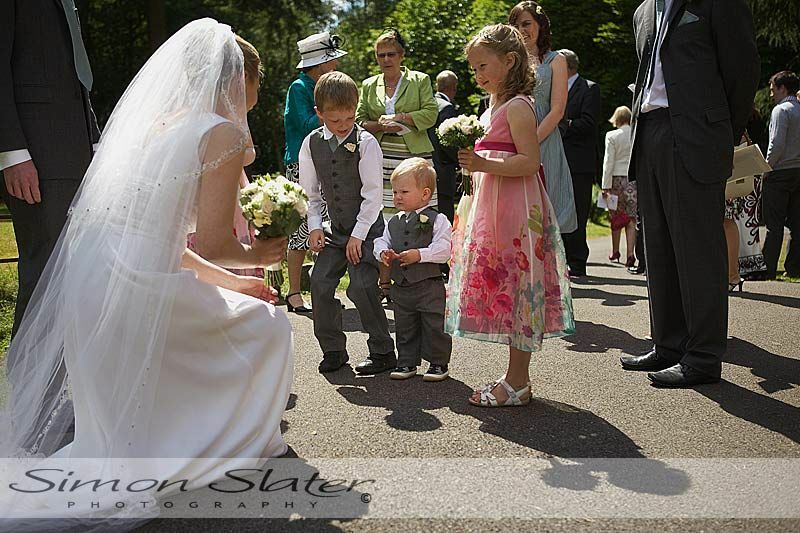 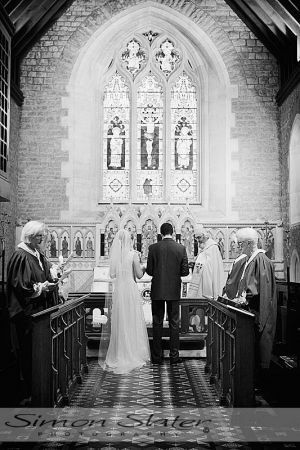 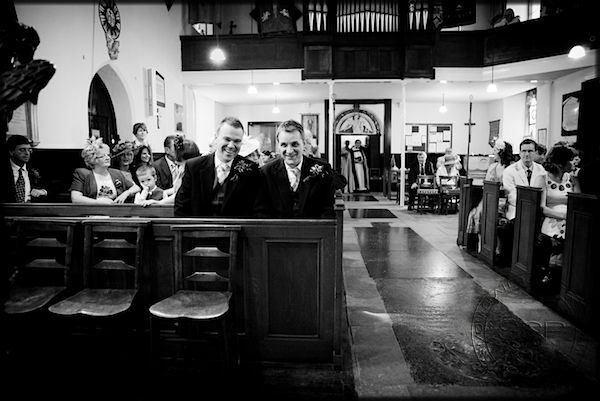 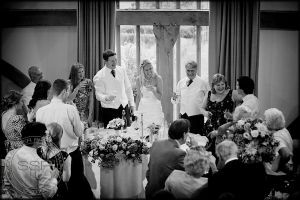 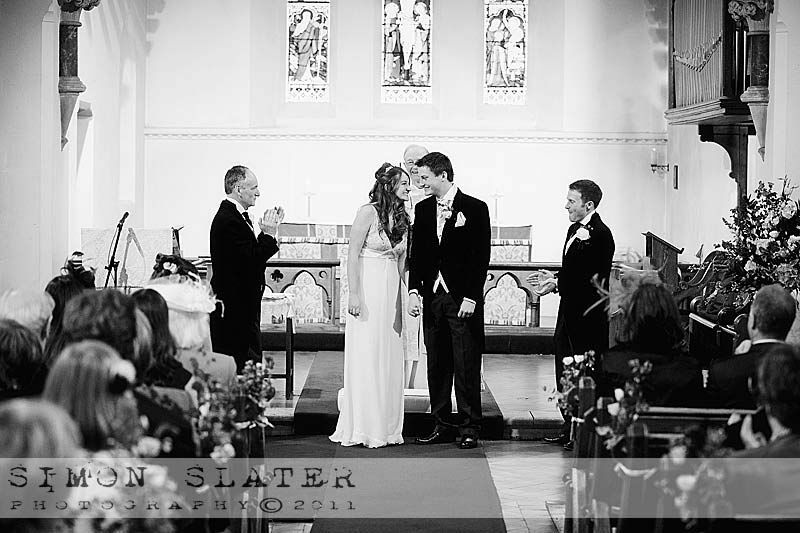 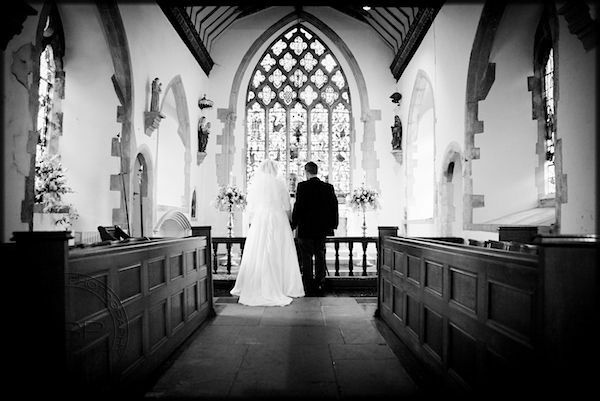 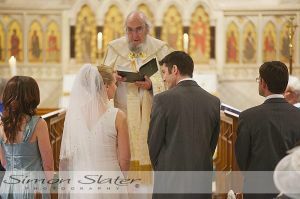 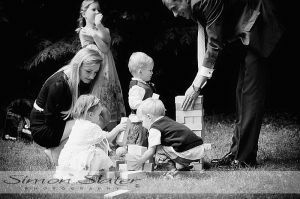 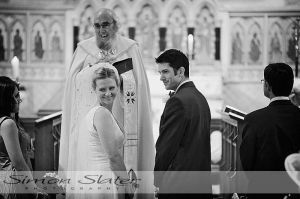 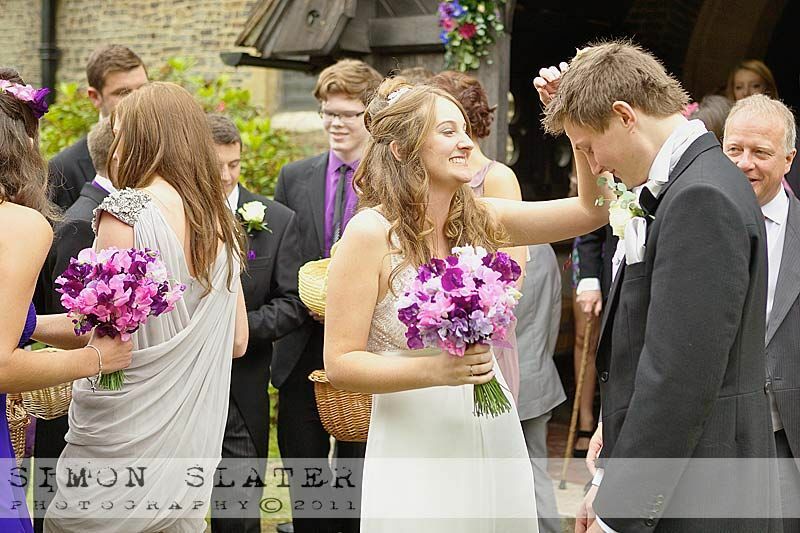 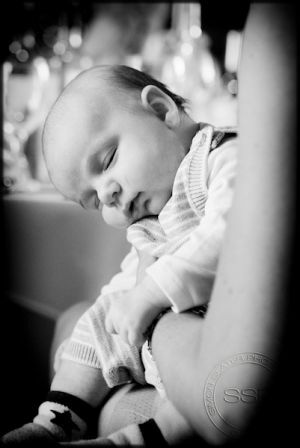 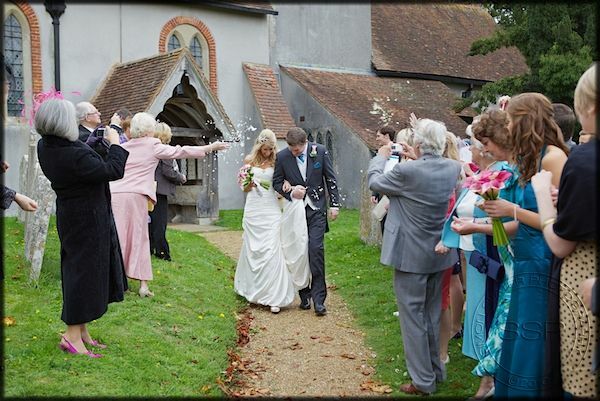 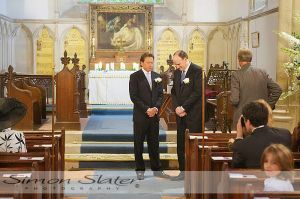 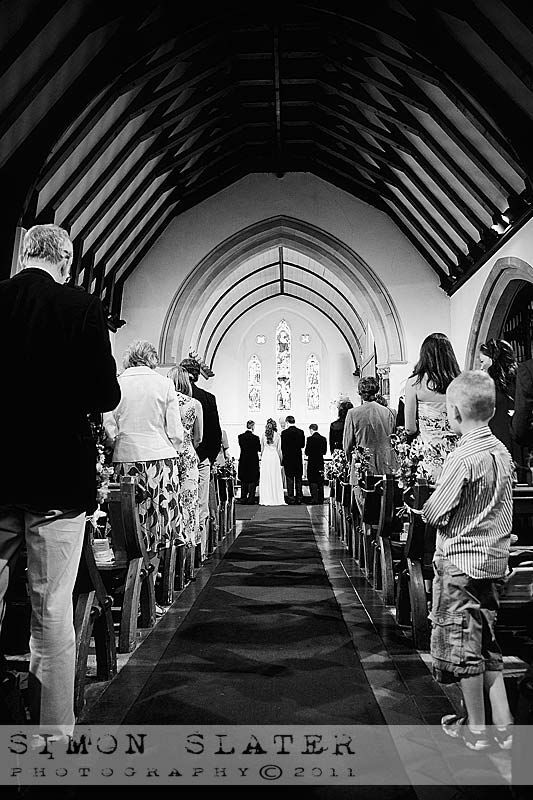 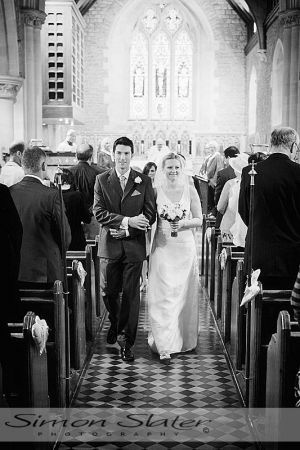 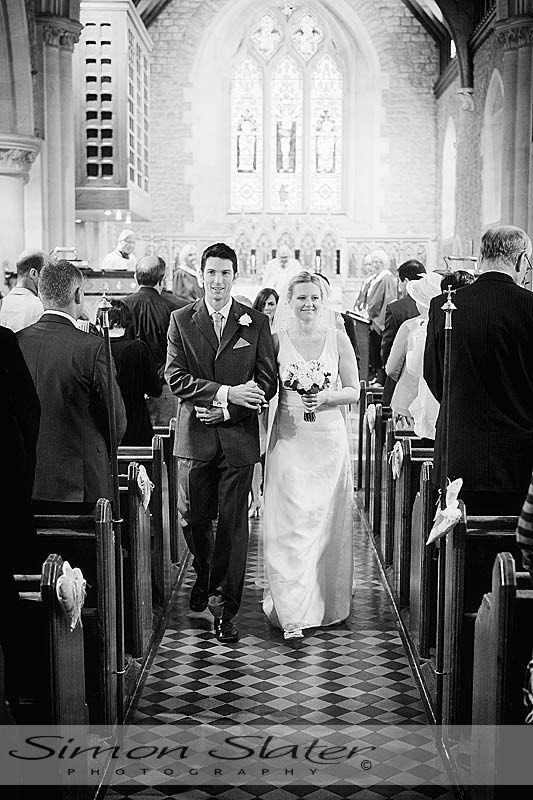 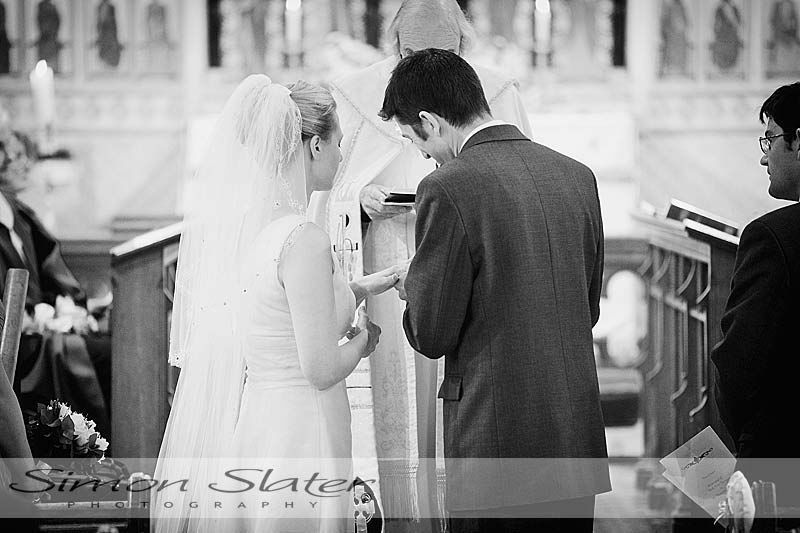 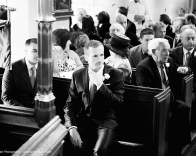 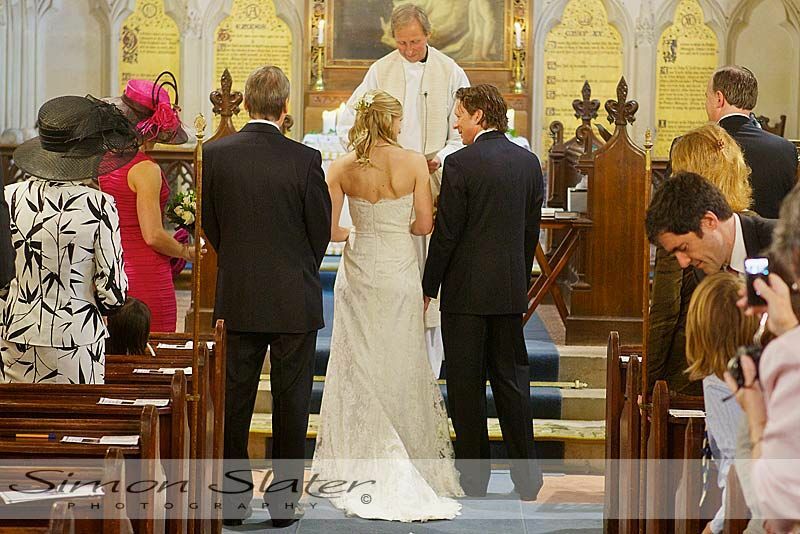 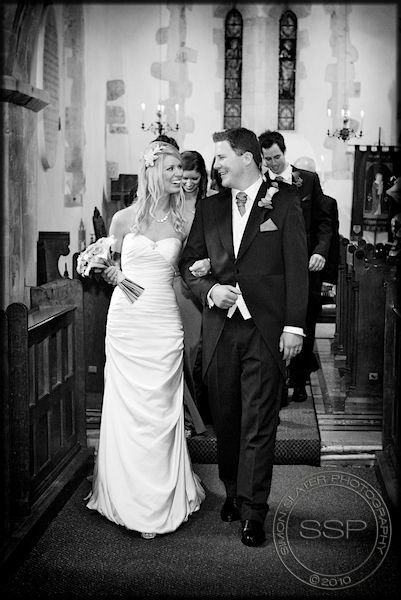 Beth & Ben were married in a lovely service in the church at 14:00 hrs on Saturday 11th June, 2011. 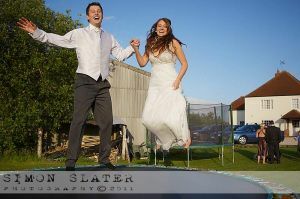 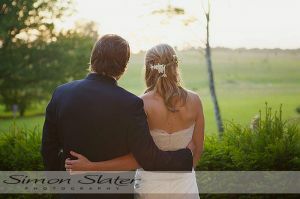 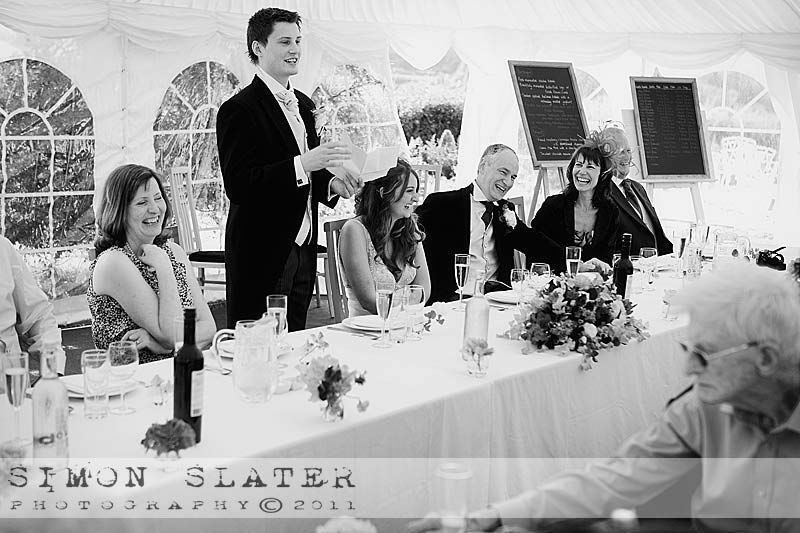 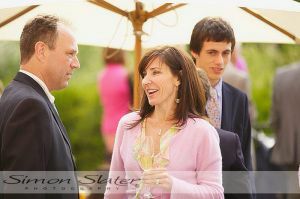 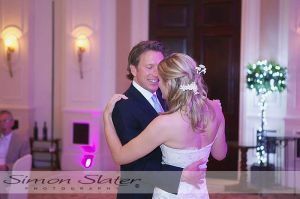 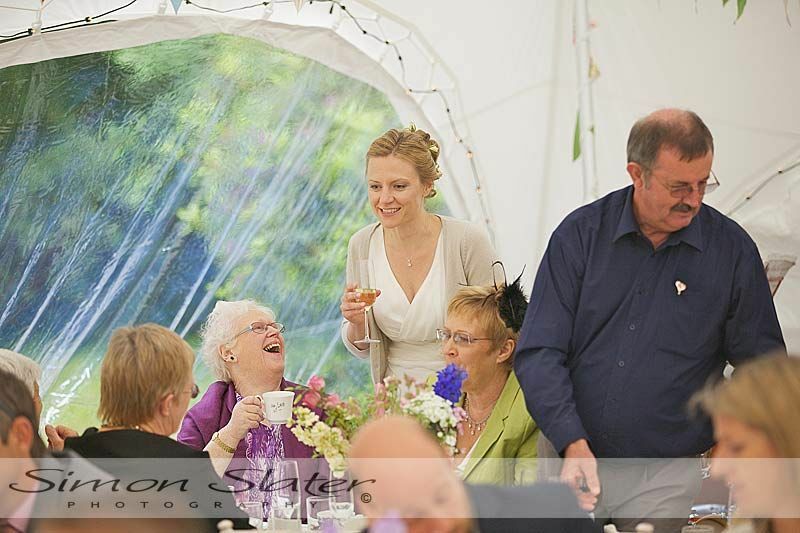 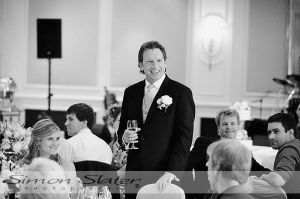 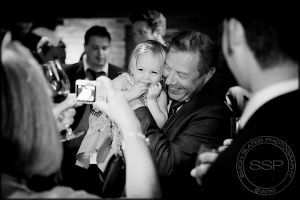 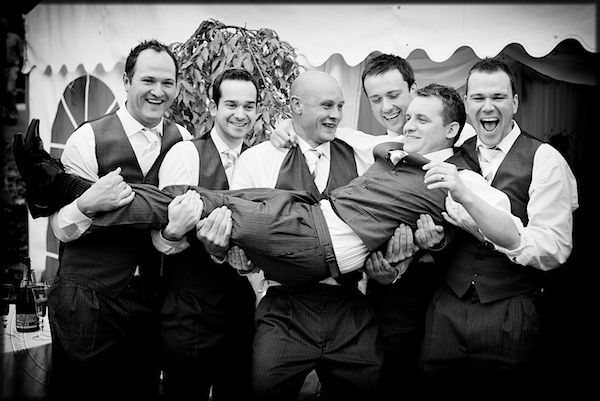 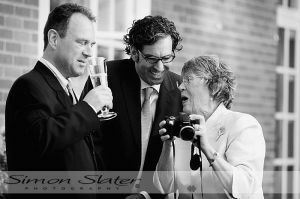 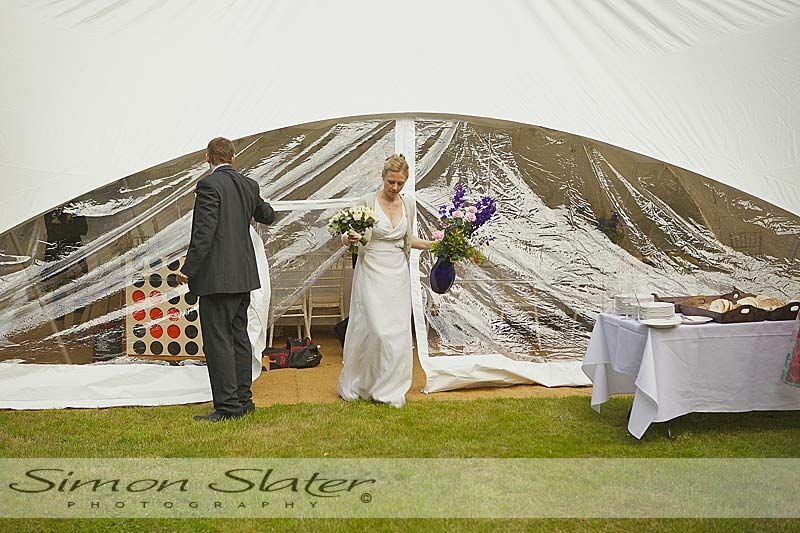 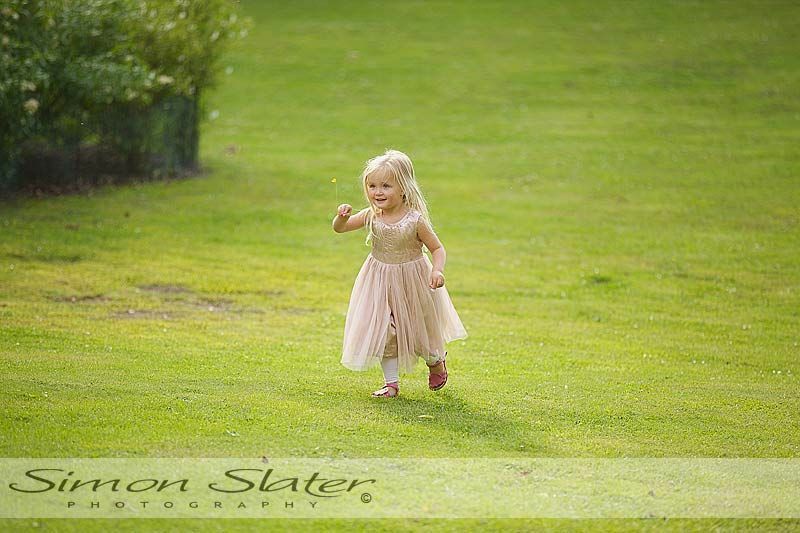 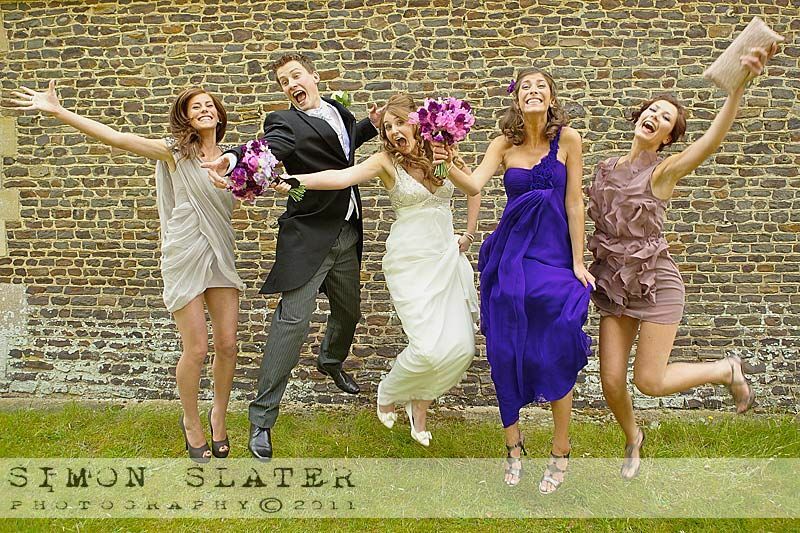 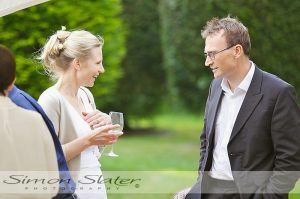 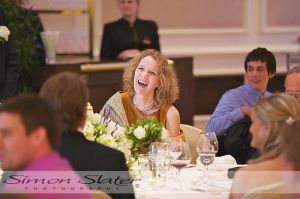 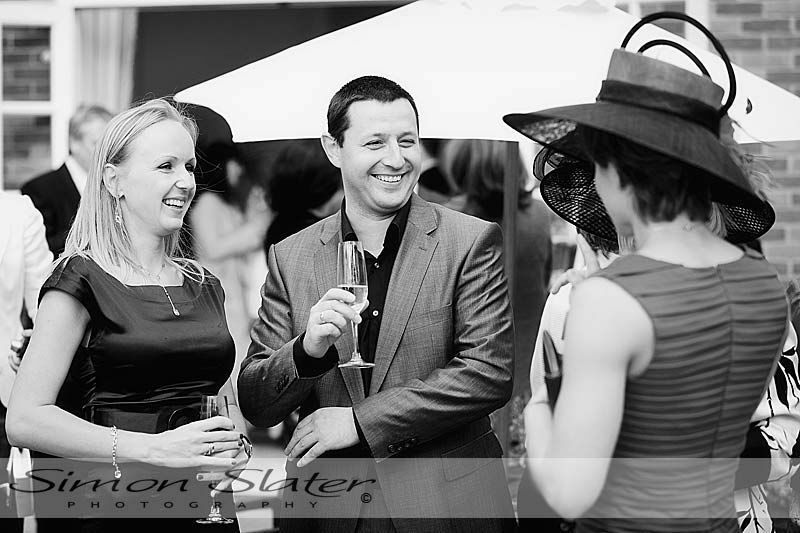 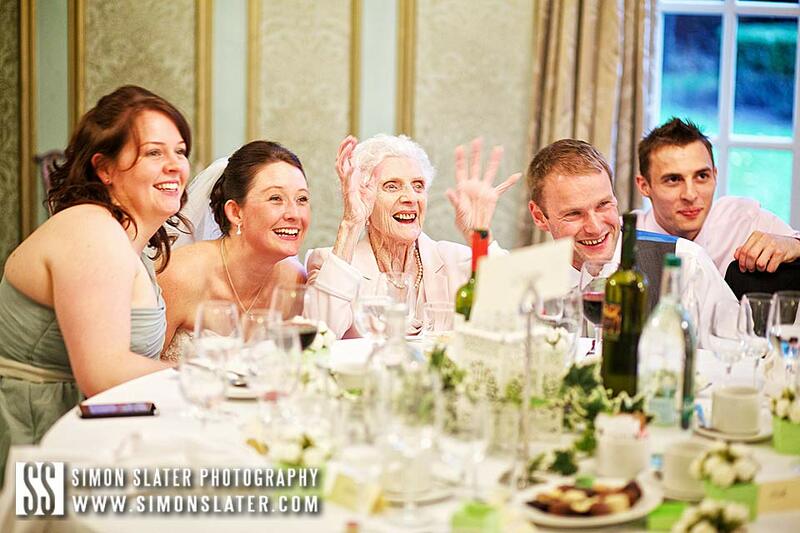 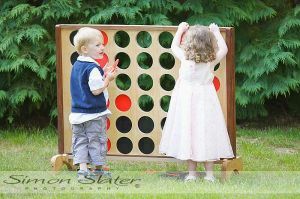 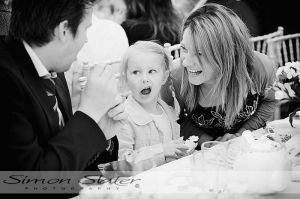 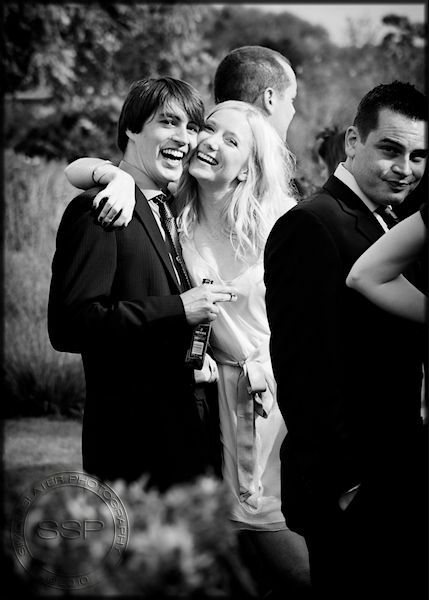 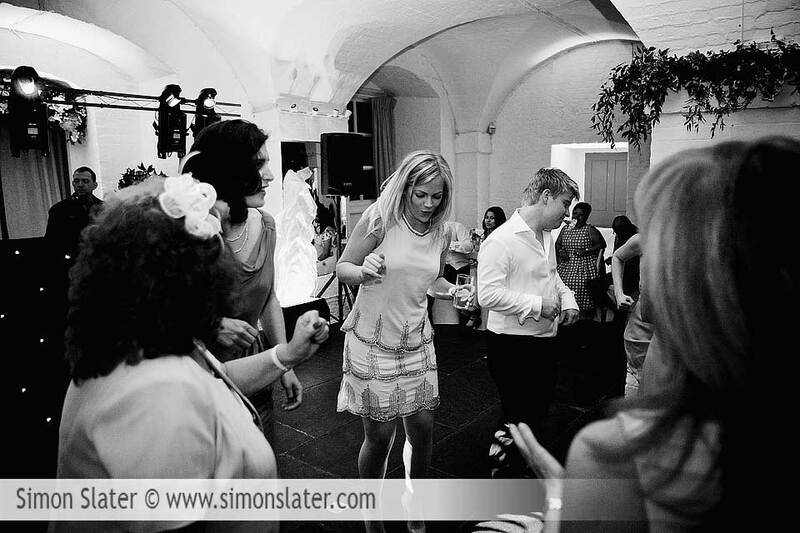 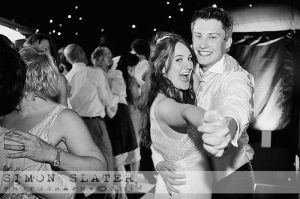 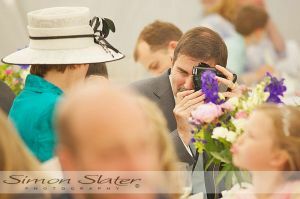 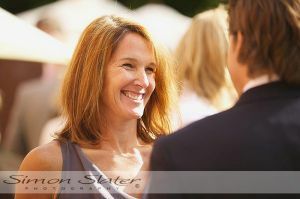 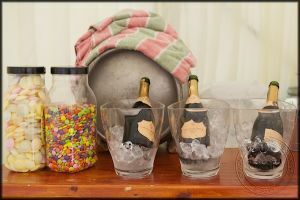 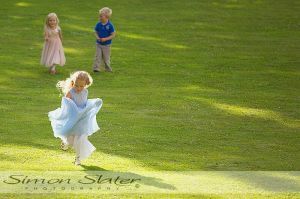 Another wedding weekend where the weather forecast threatened to spoil the party, but again it held off!! 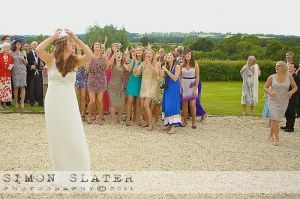 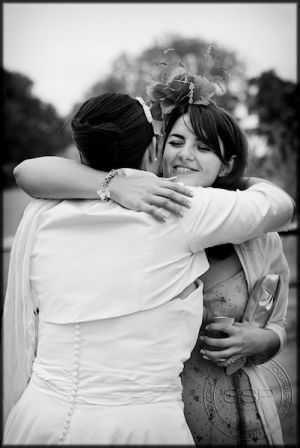 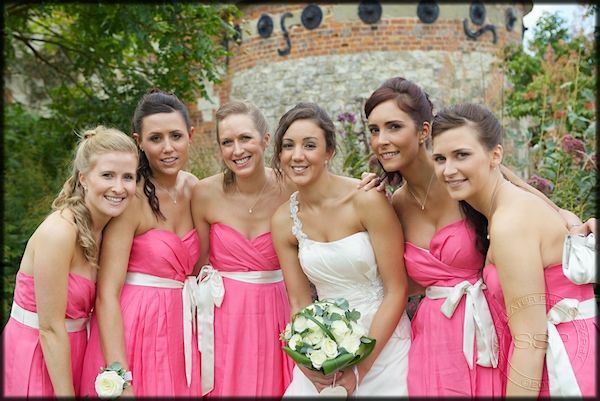 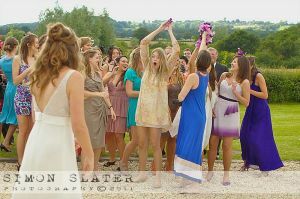 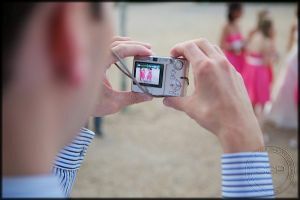 Nikki got ready at the venue with the help of all her bridesmaids at this stunning countryside venue. 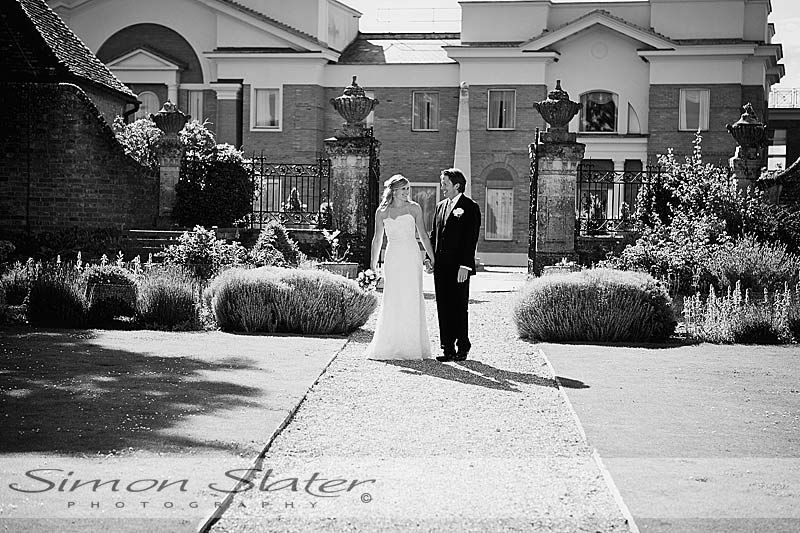 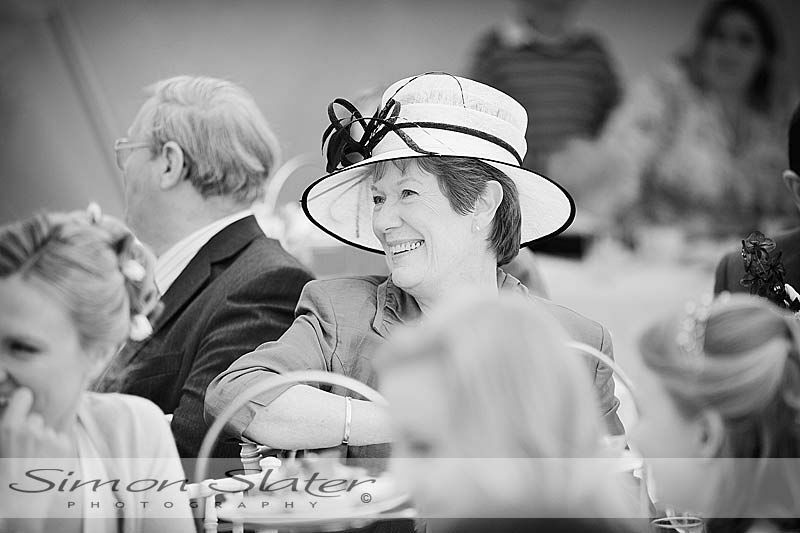 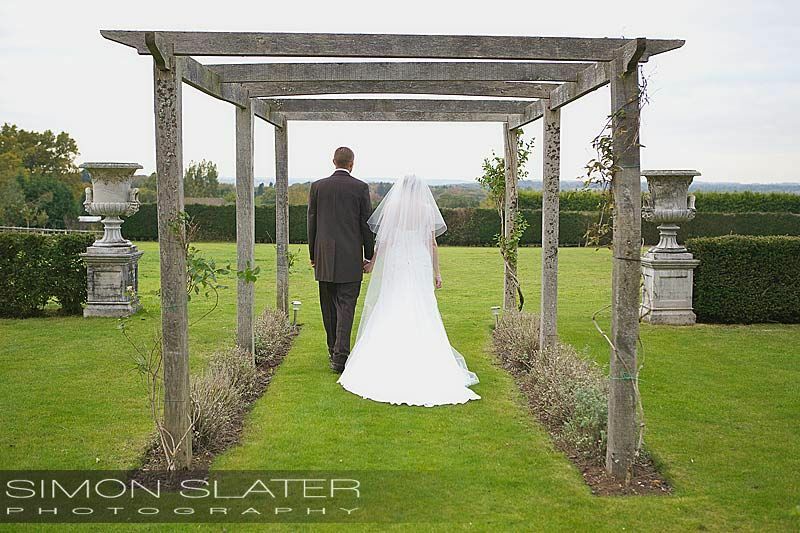 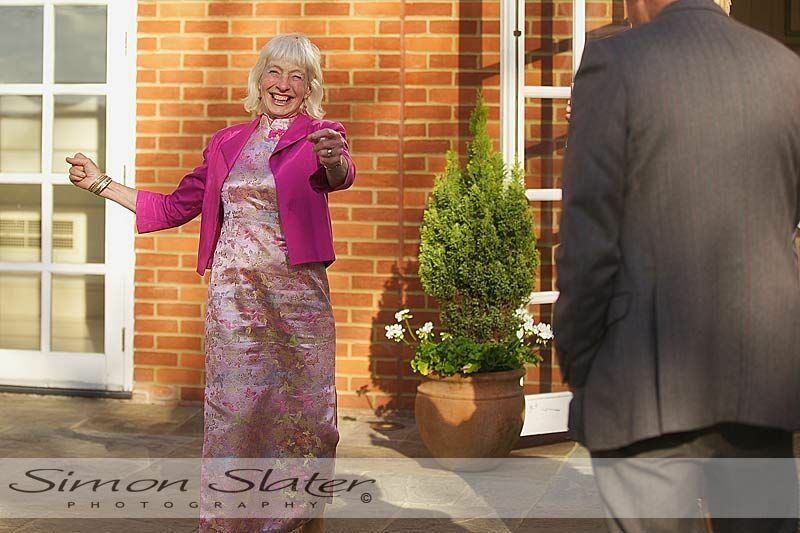 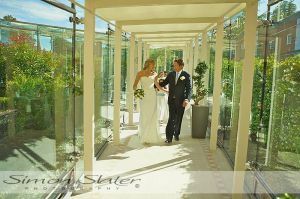 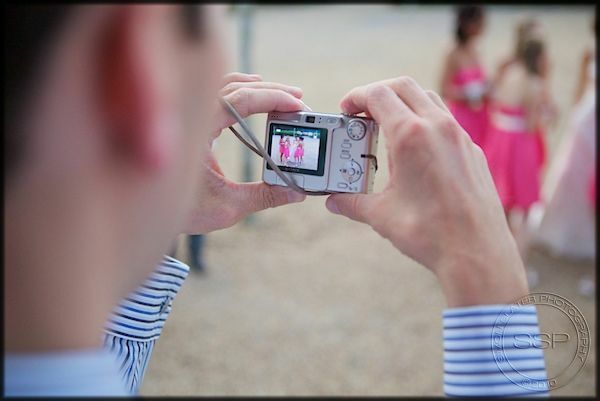 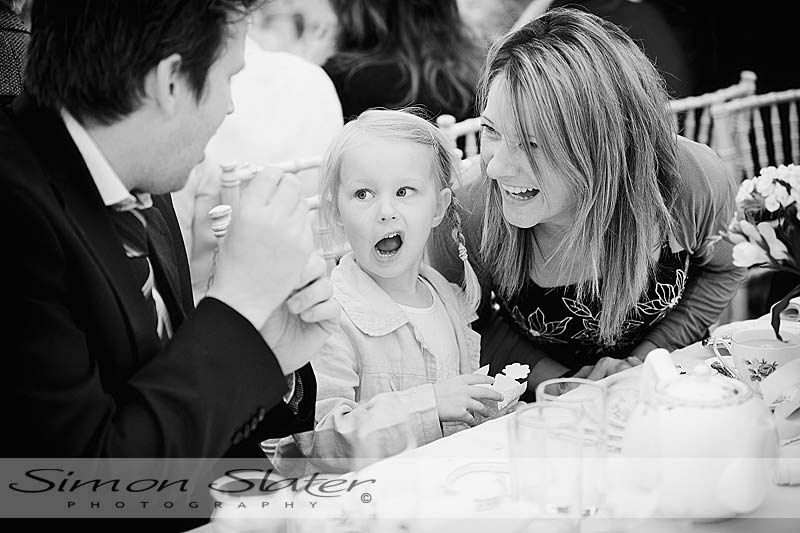 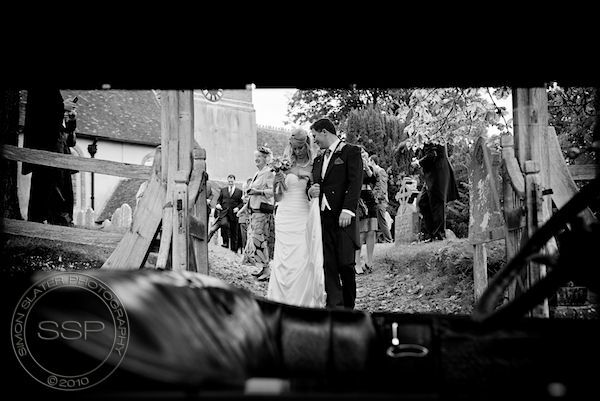 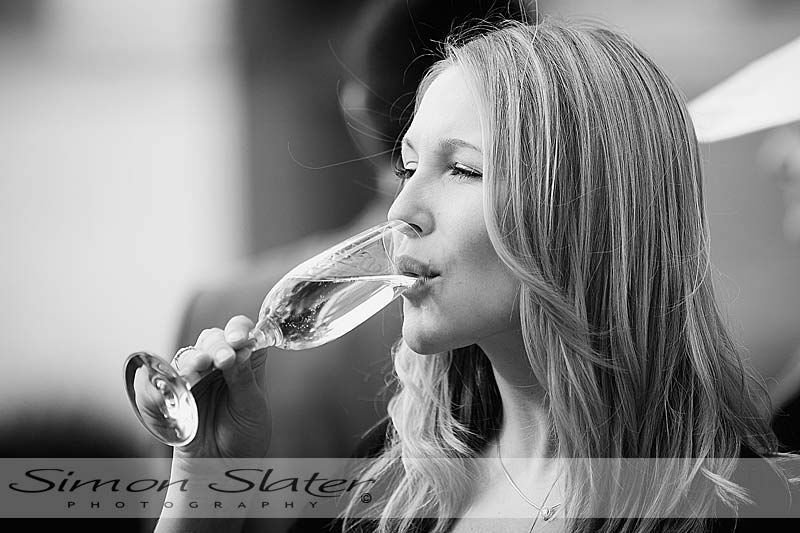 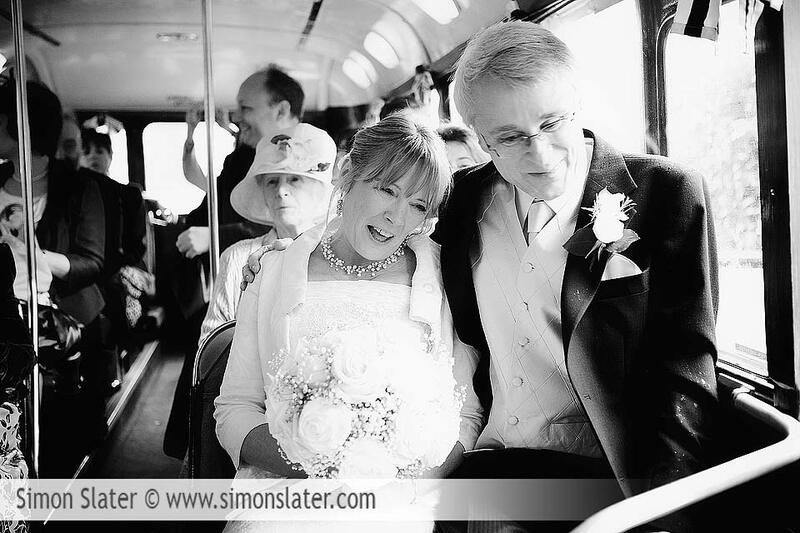 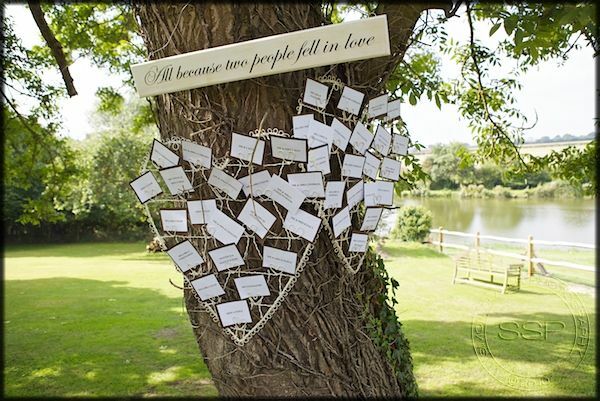 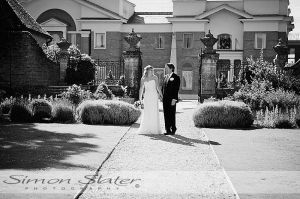 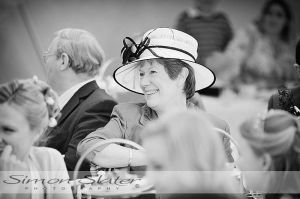 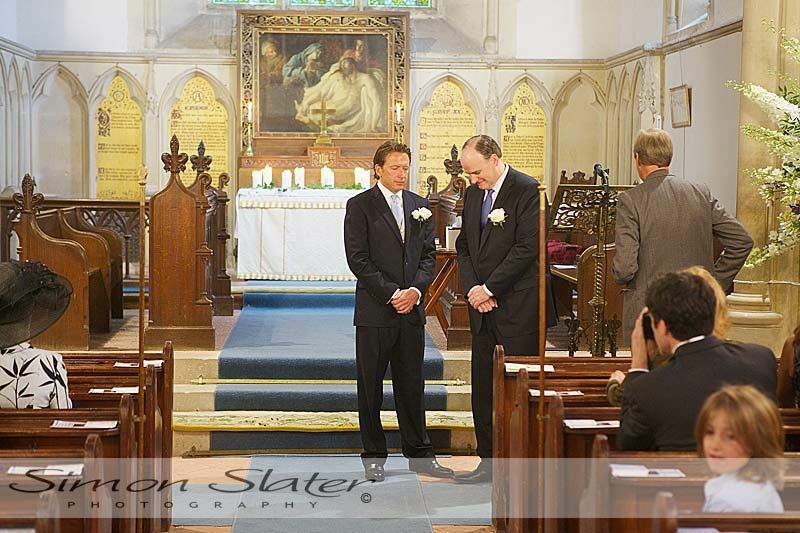 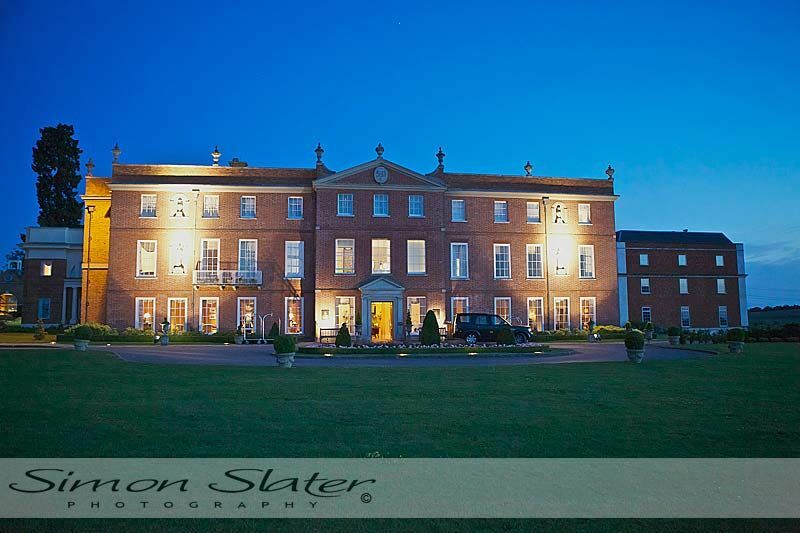 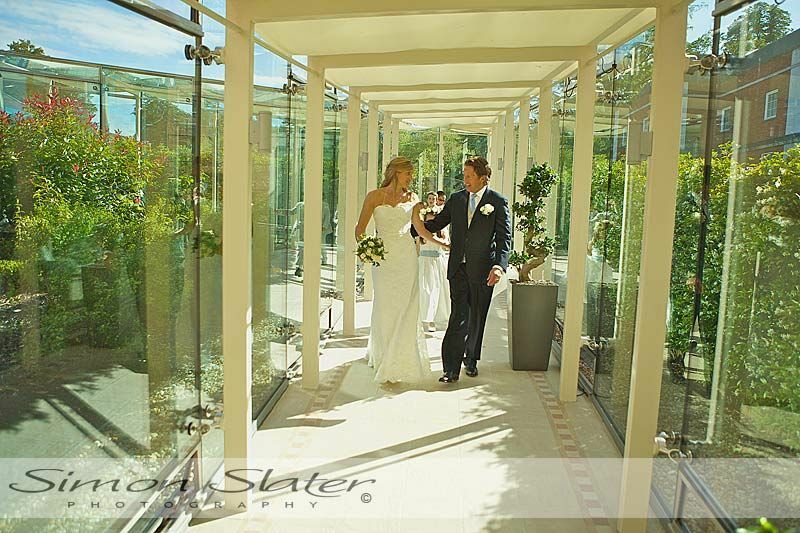 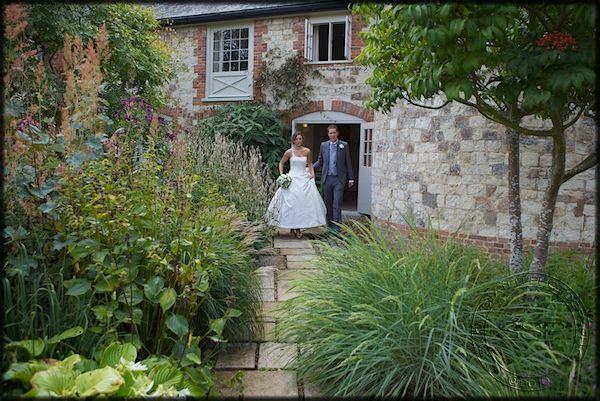 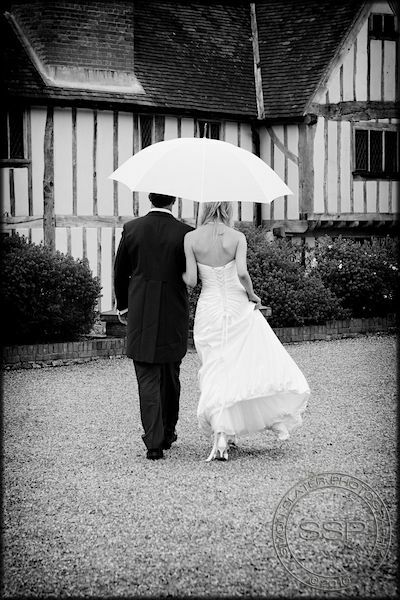 Nikki and Terry were then married at Bury Court, Hampshire on Saturday 11th September at 1400hrs. 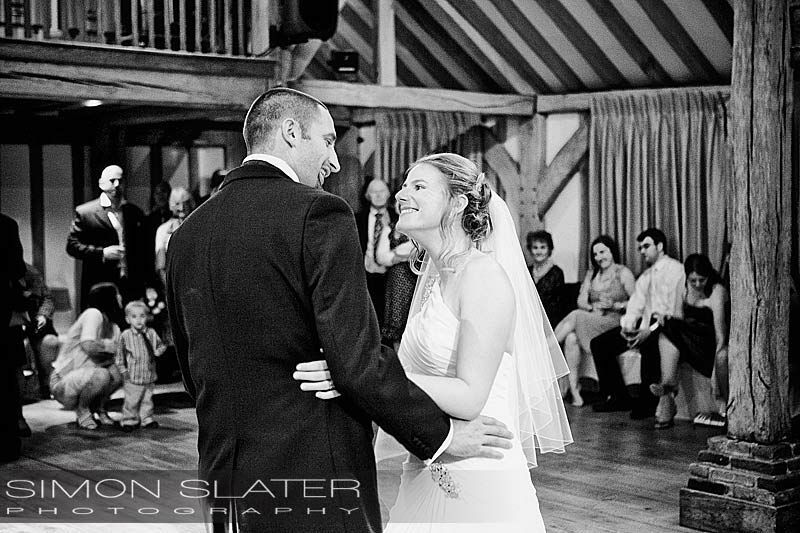 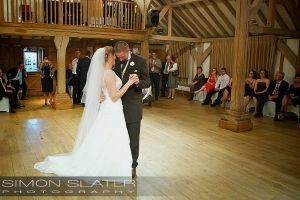 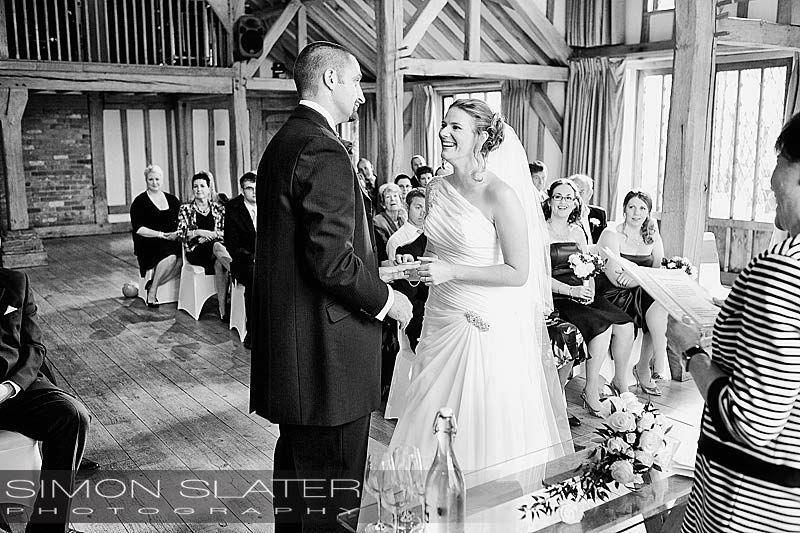 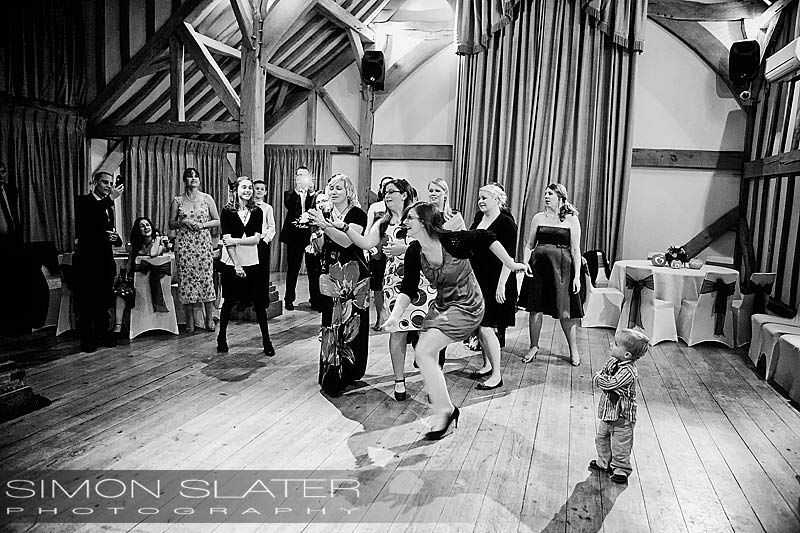 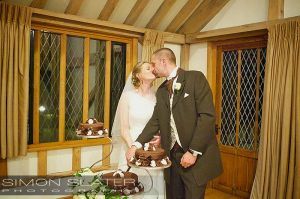 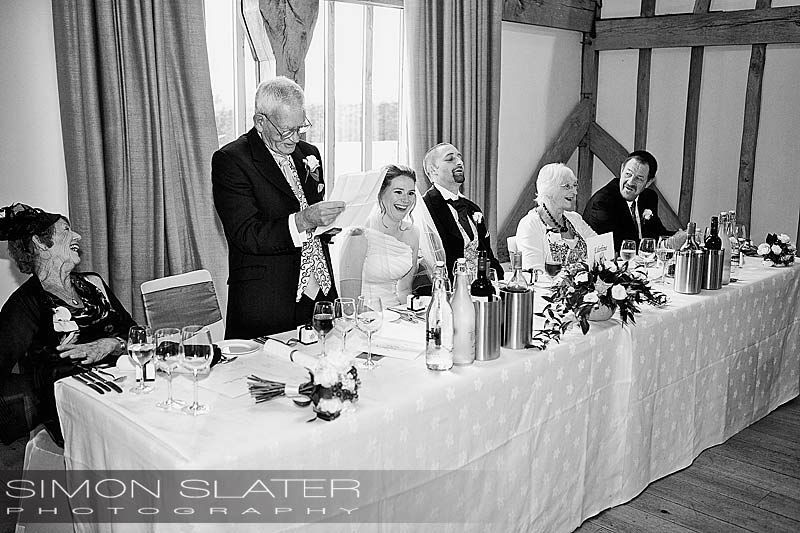 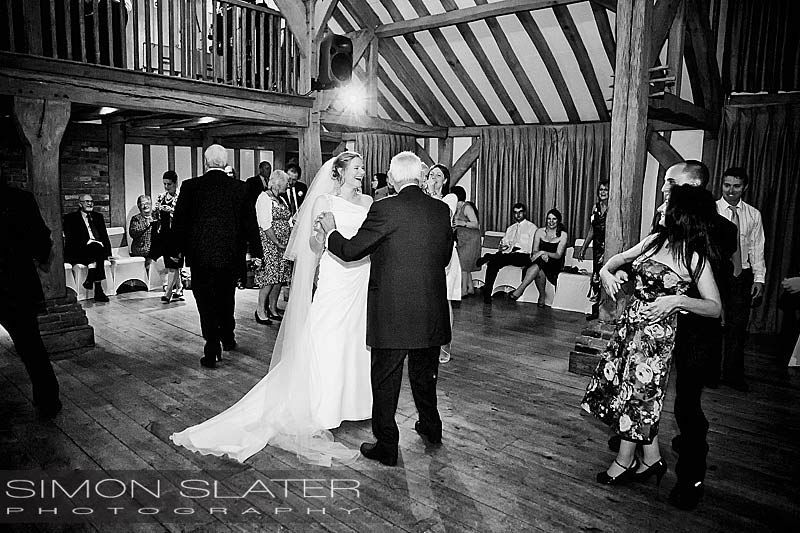 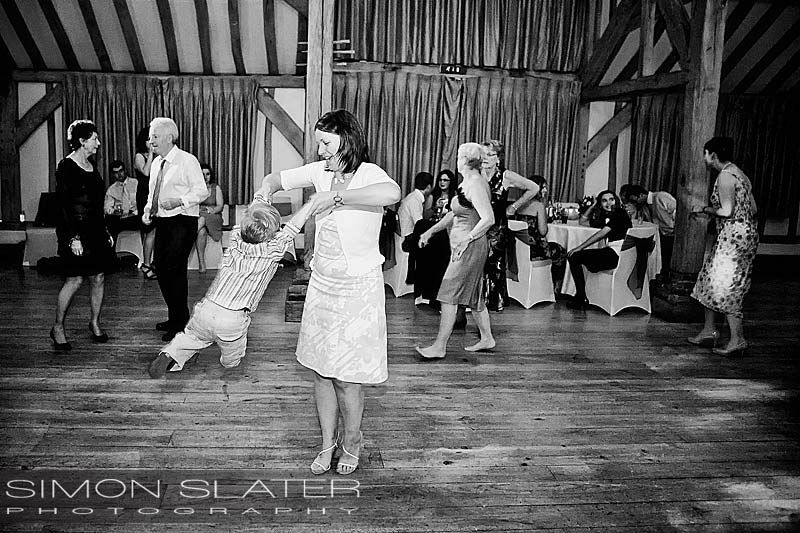 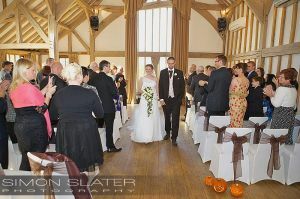 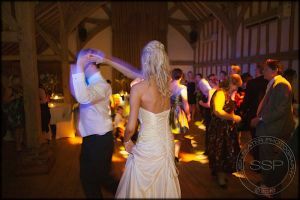 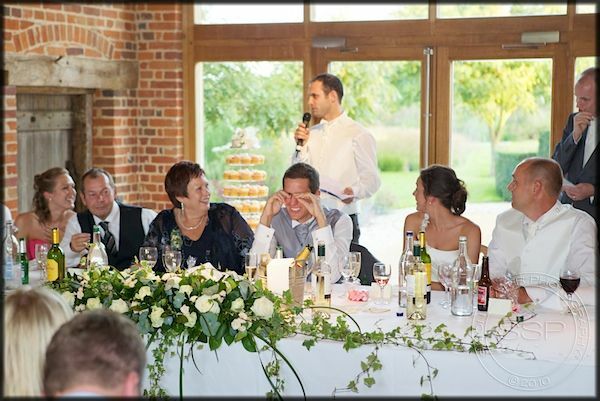 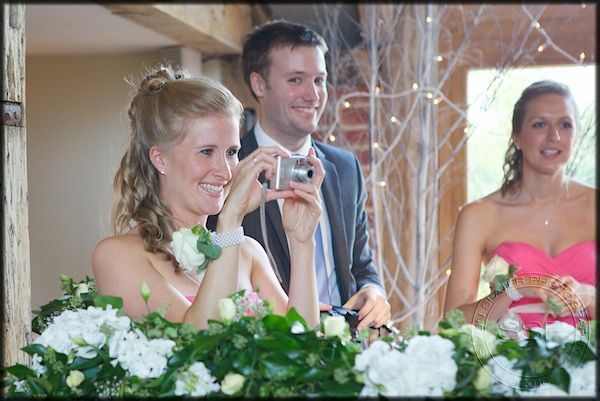 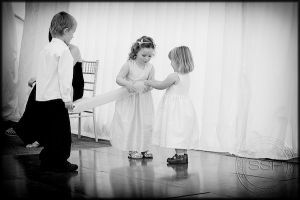 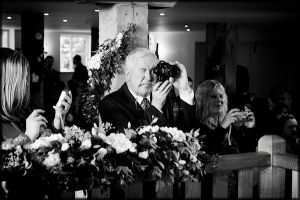 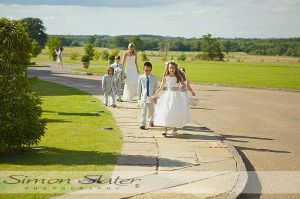 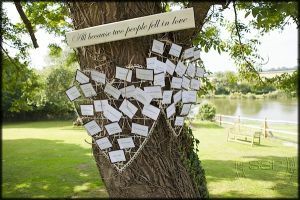 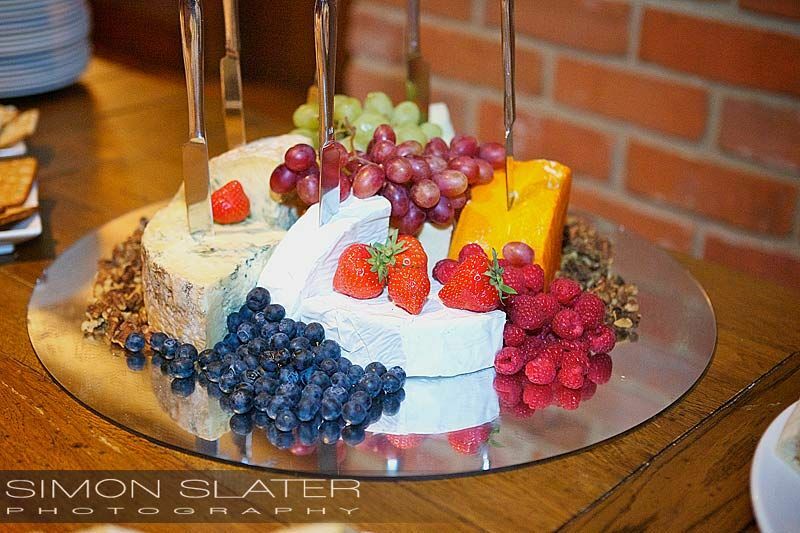 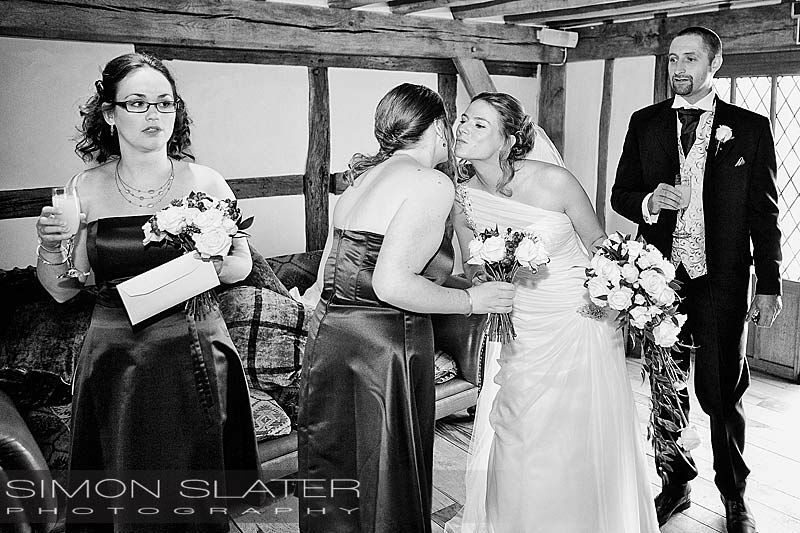 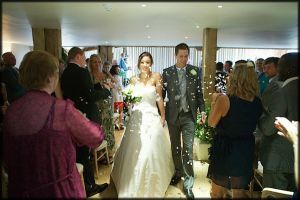 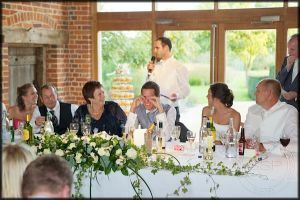 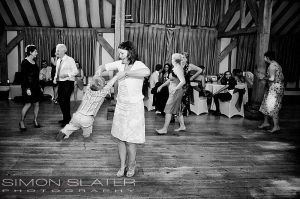 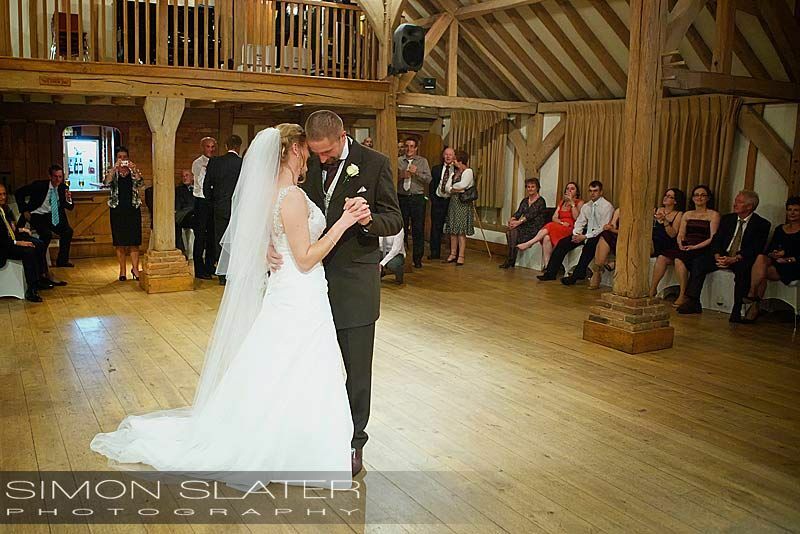 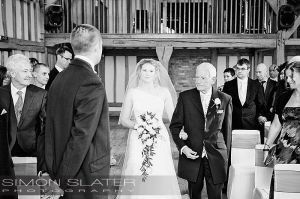 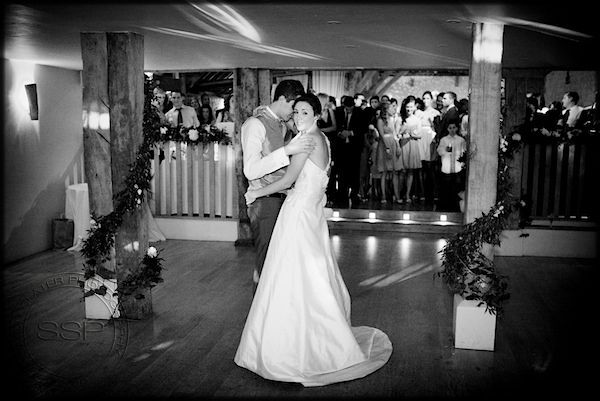 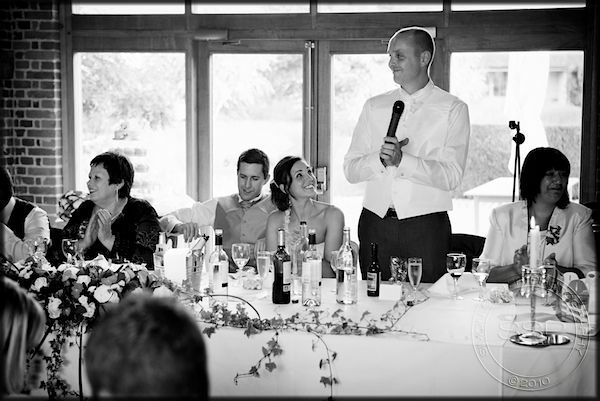 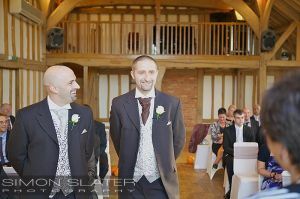 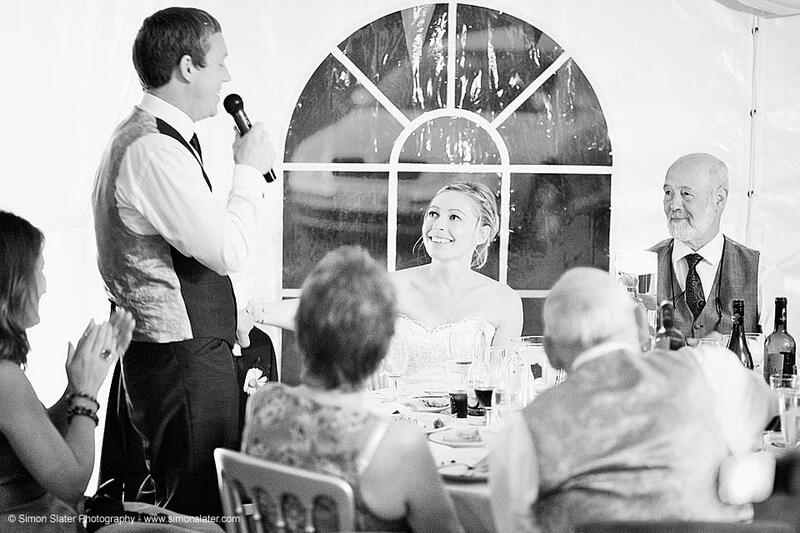 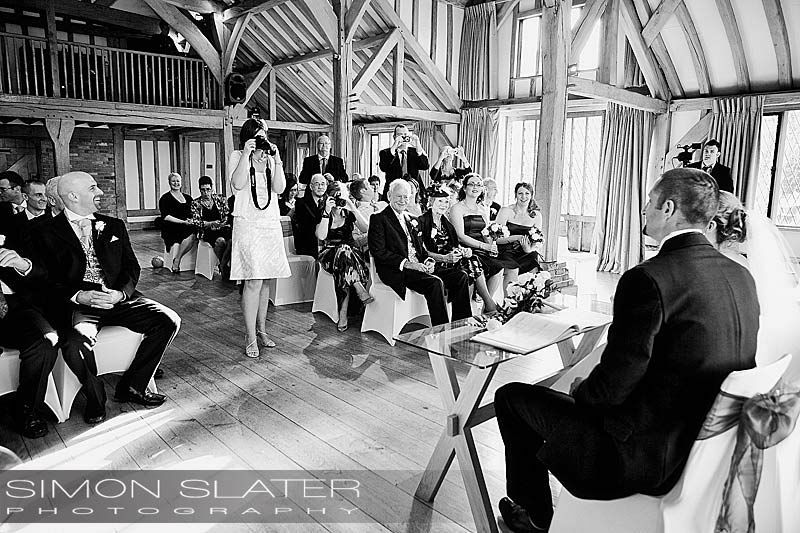 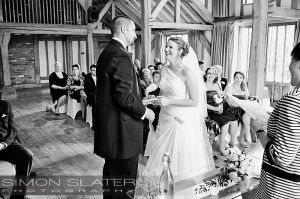 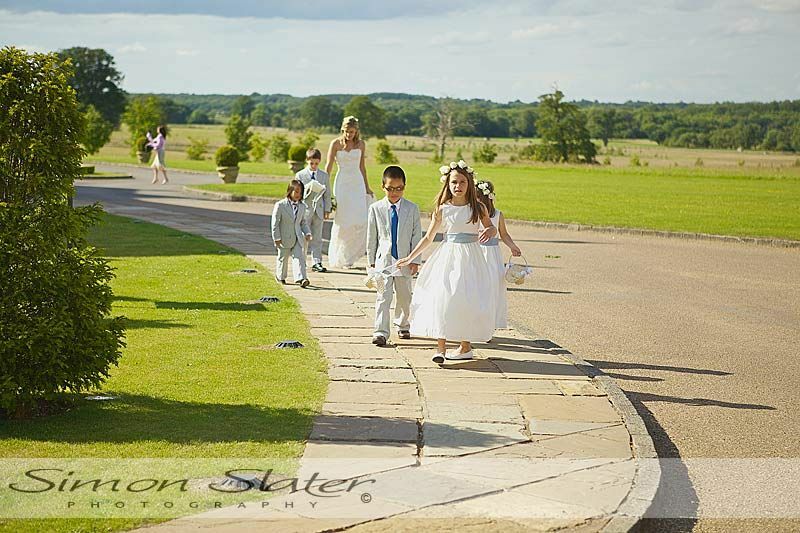 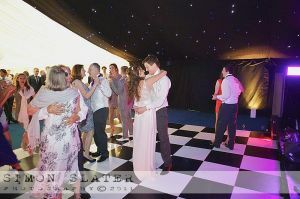 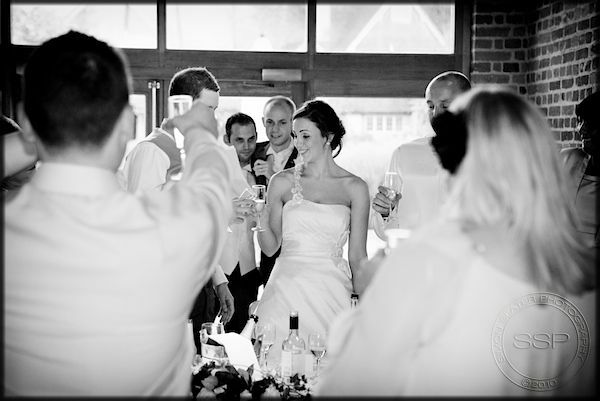 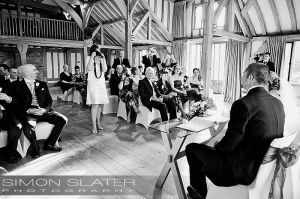 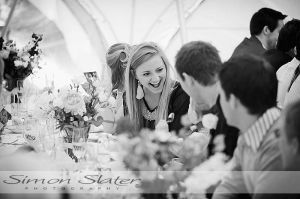 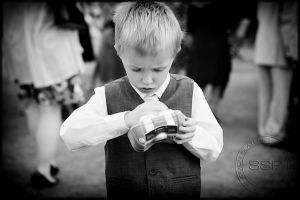 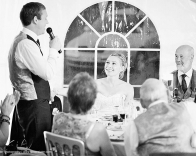 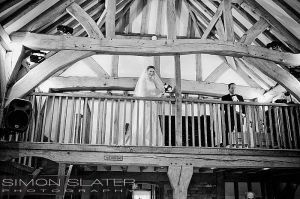 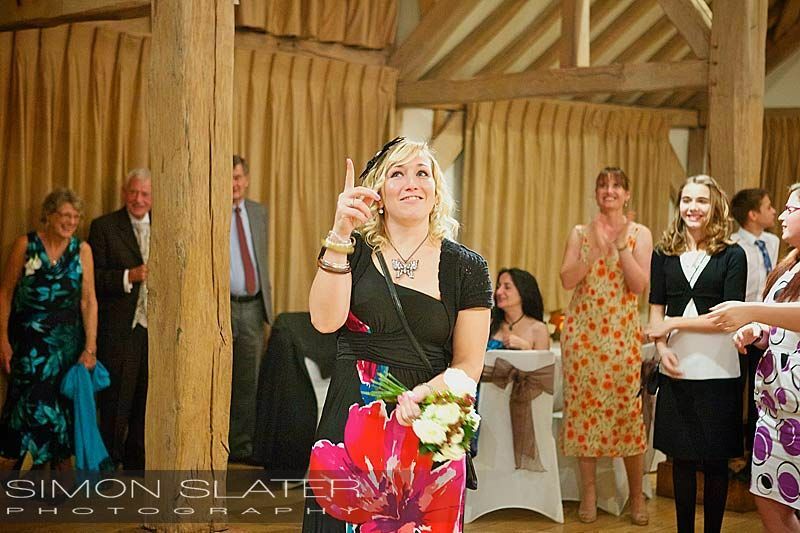 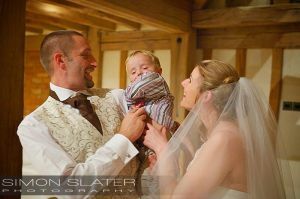 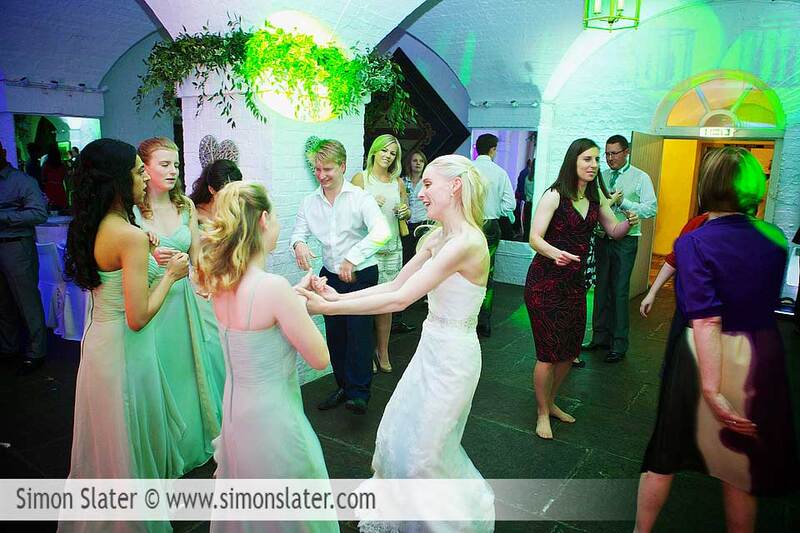 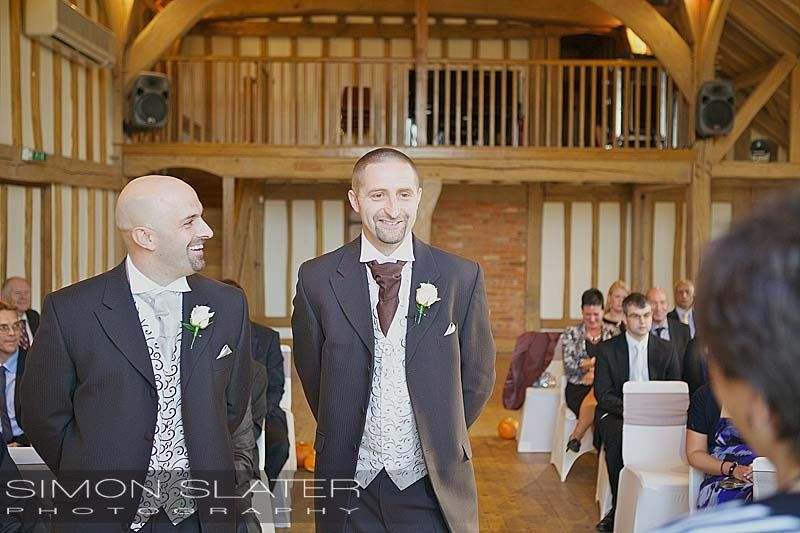 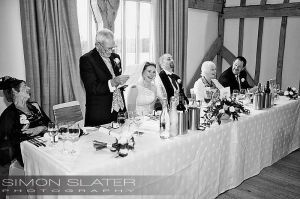 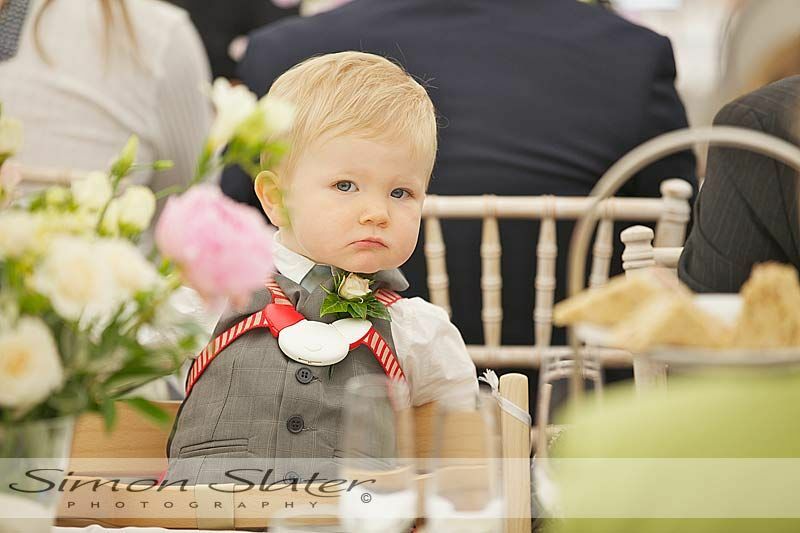 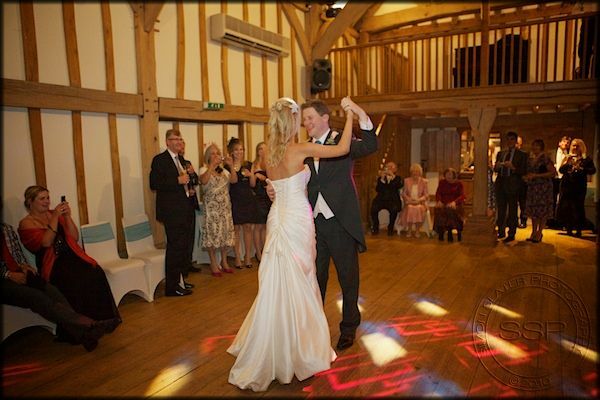 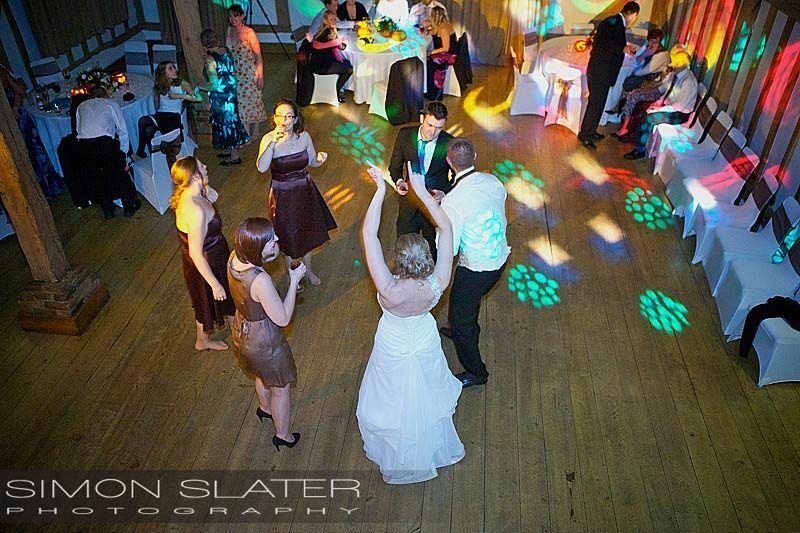 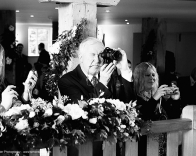 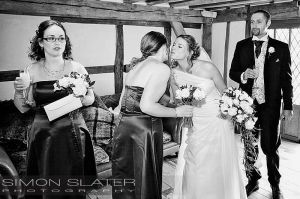 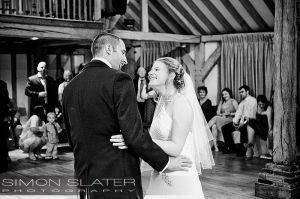 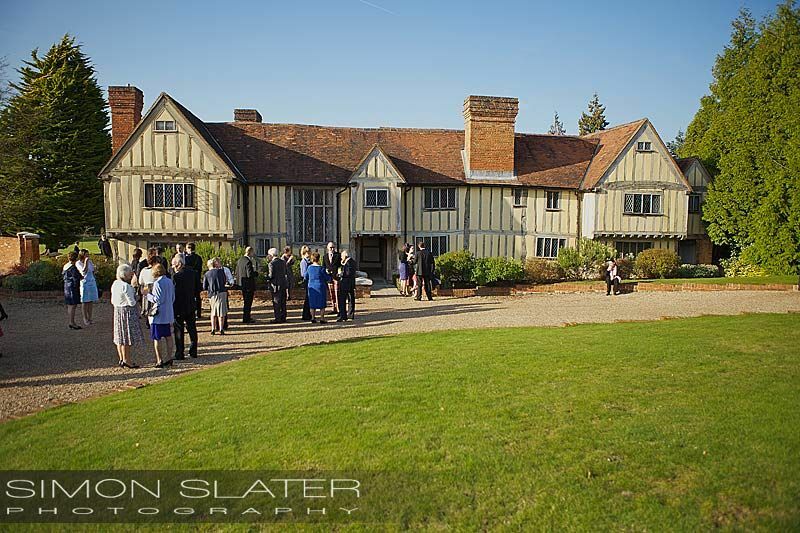 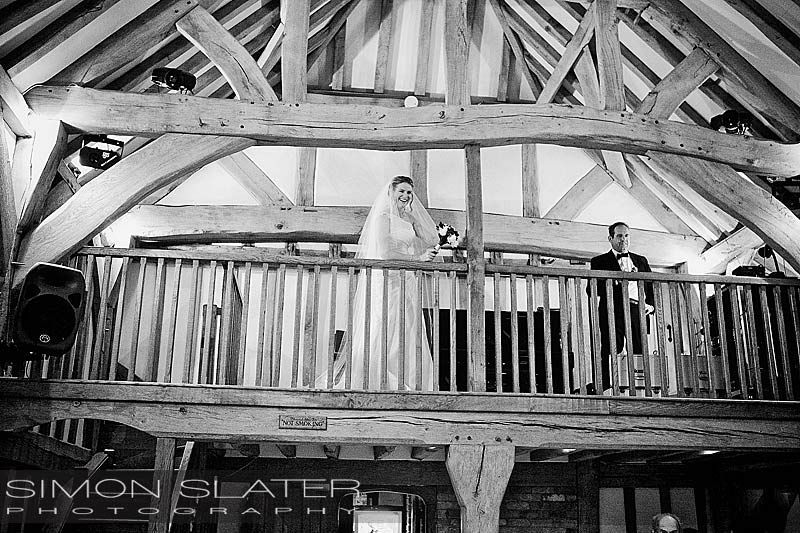 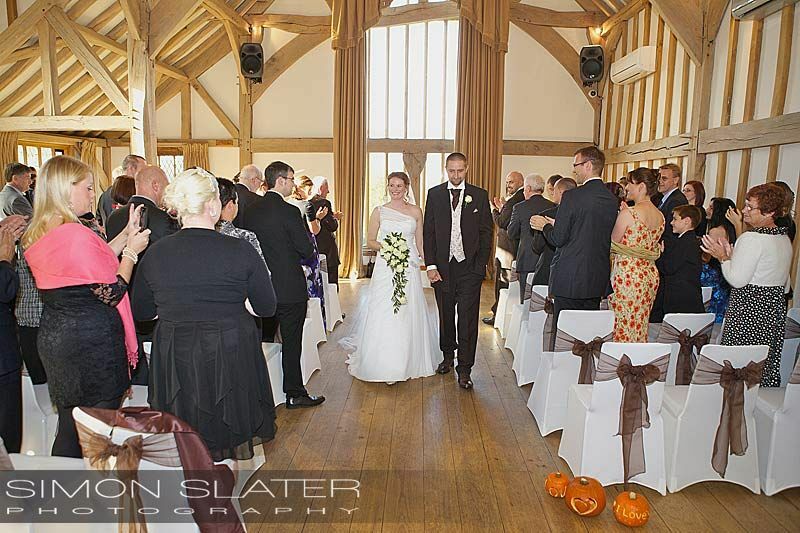 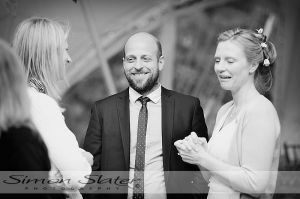 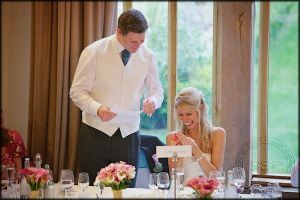 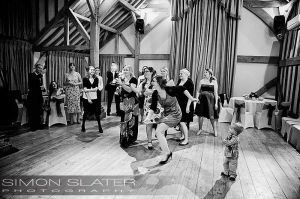 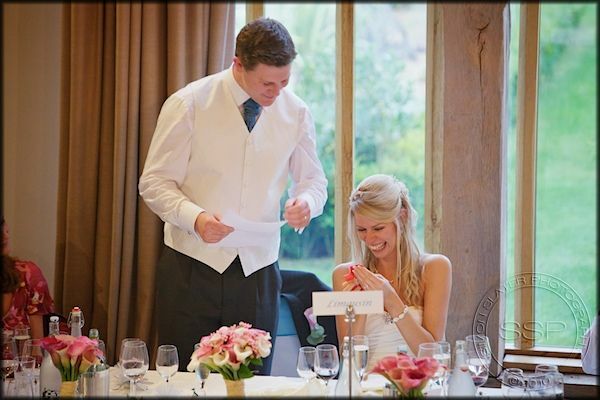 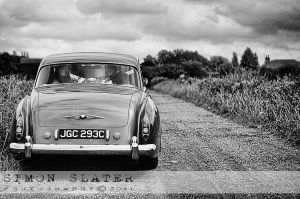 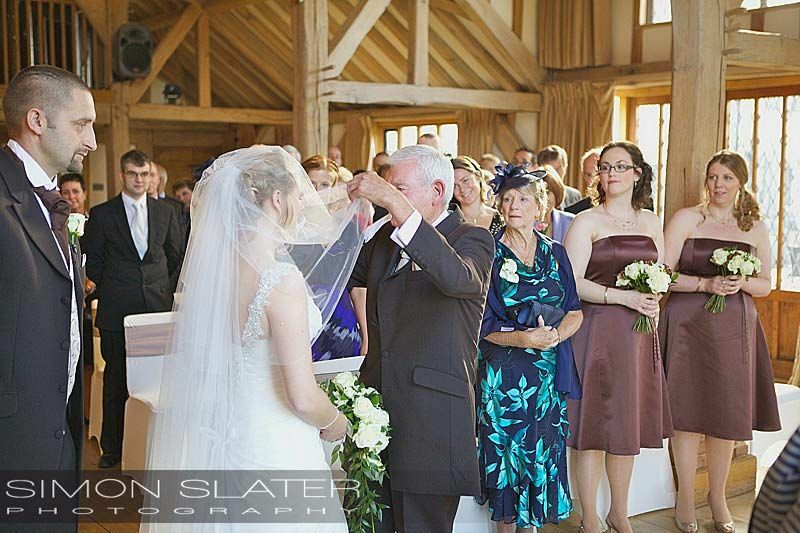 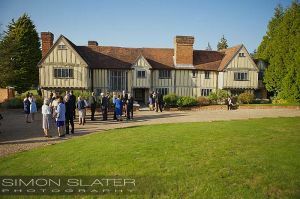 The wedding reception and celebrations were also held at Bury Court in Hampshire, a very impressive barn offering a combination of rustic and modern styles.